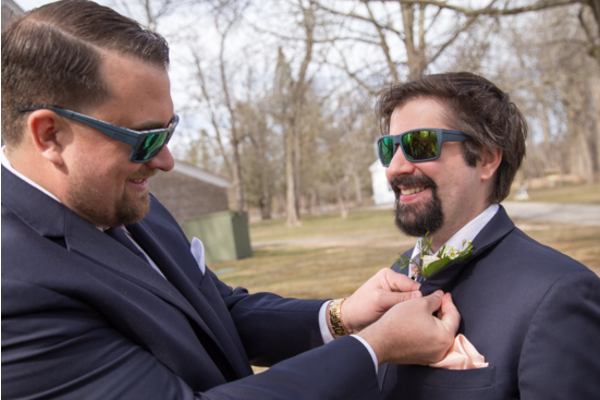 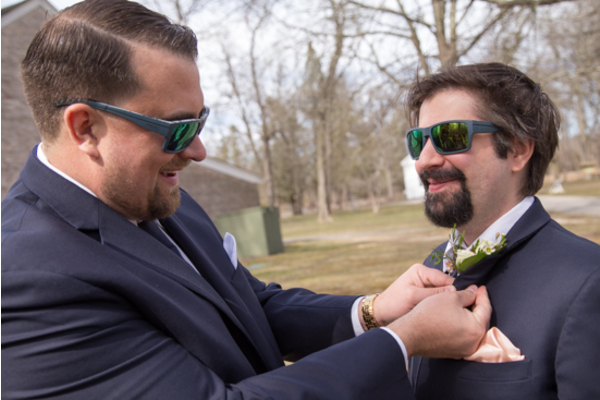 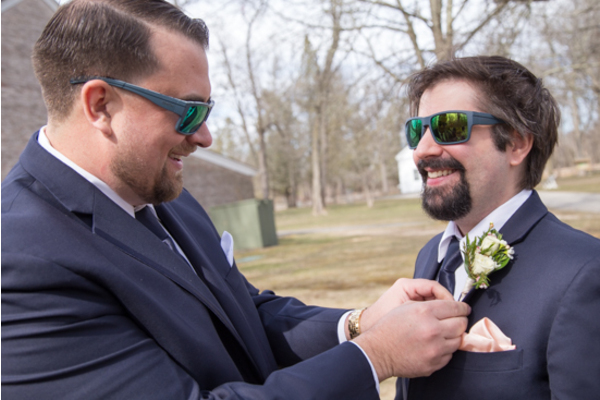 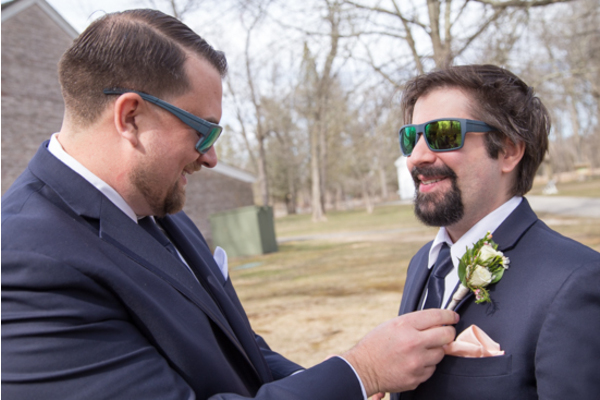 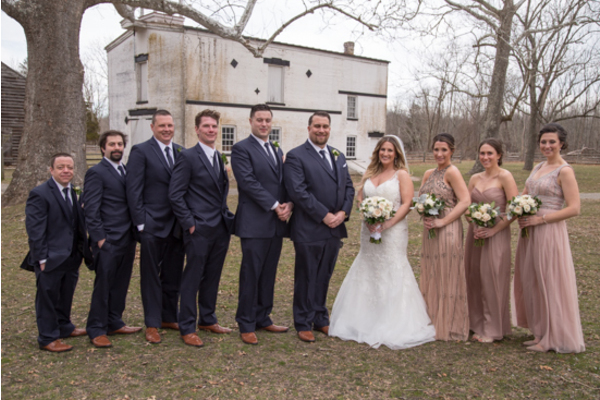 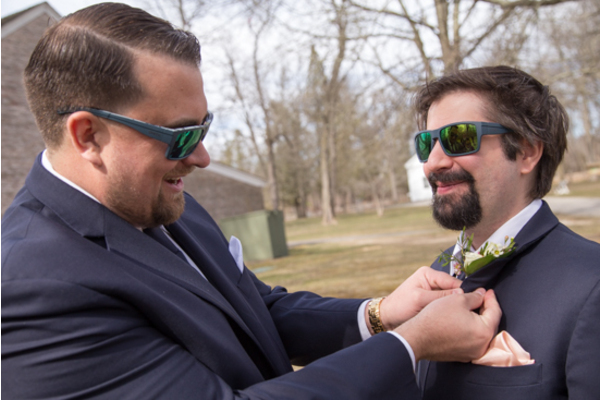 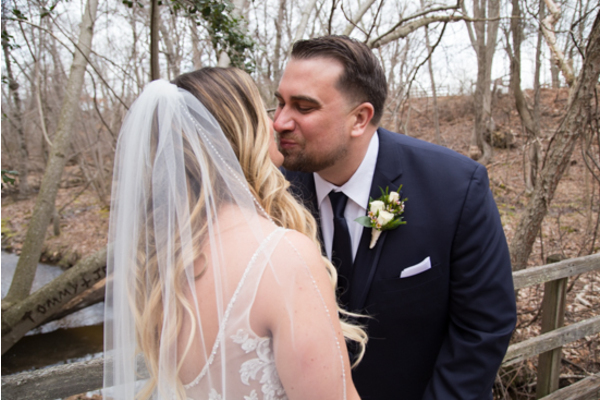 Congratulations to Ali and Sean on their recent marriage! 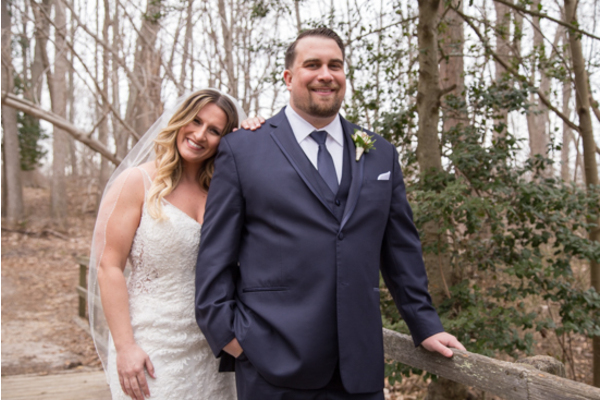 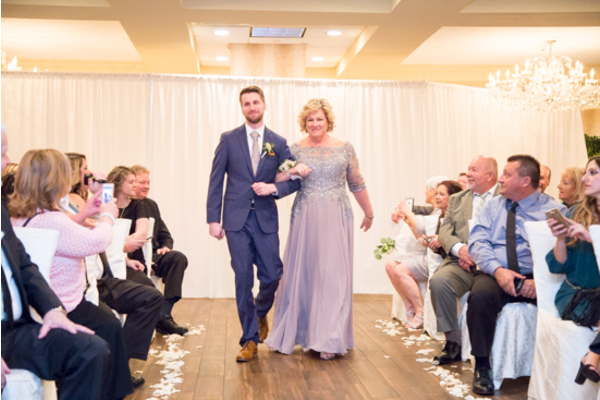 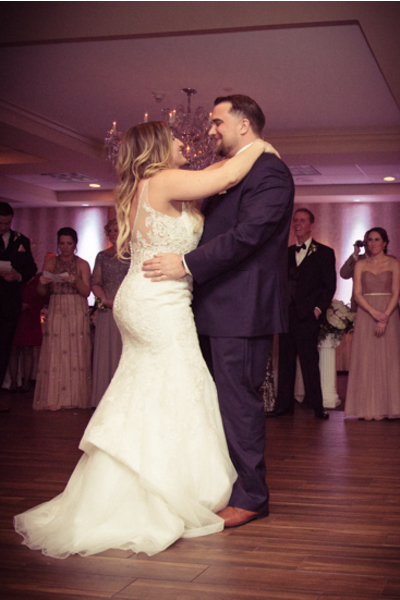 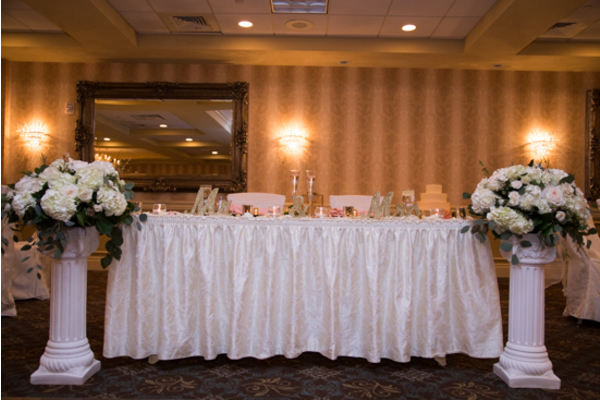 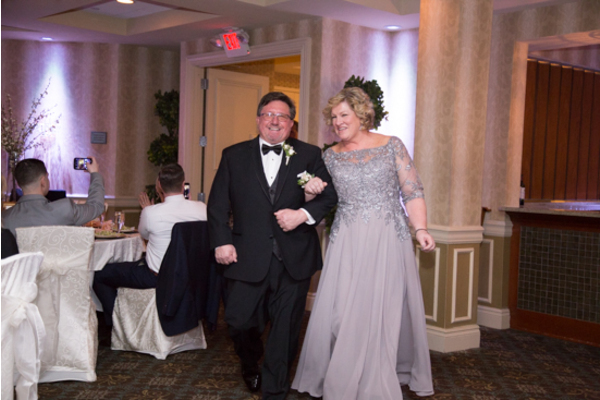 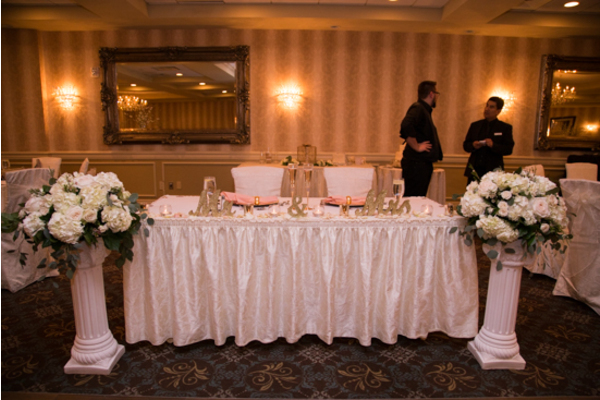 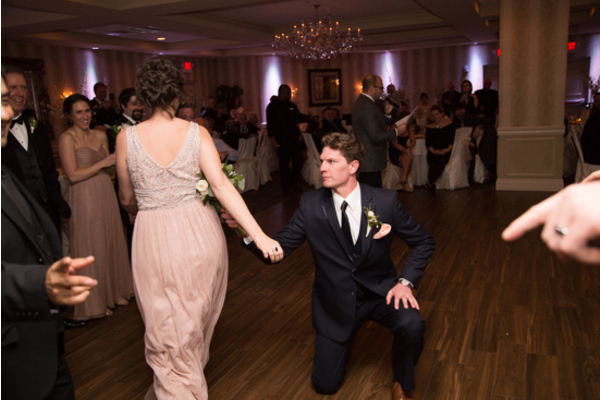 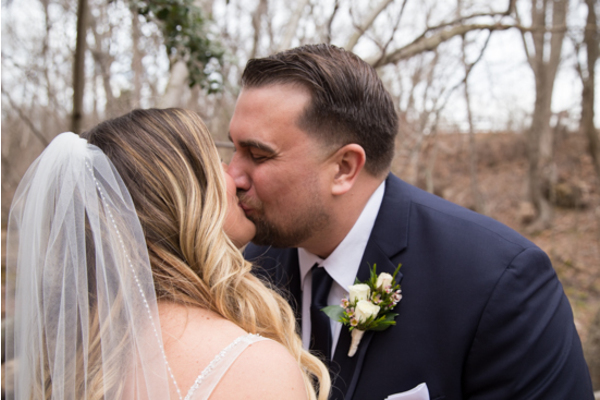 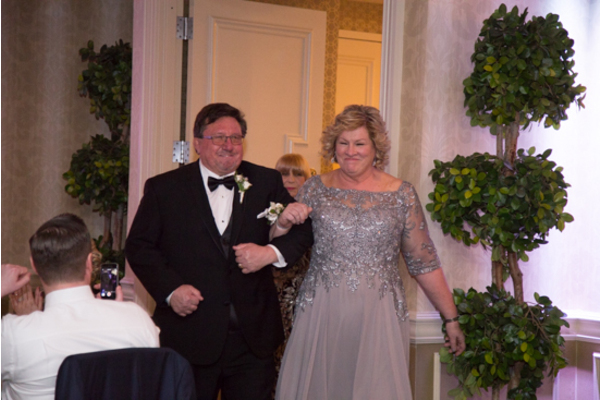 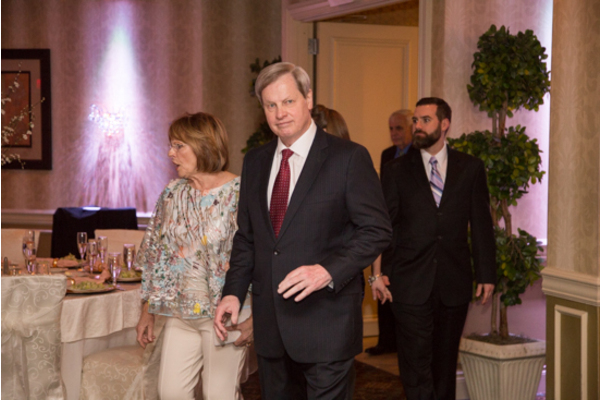 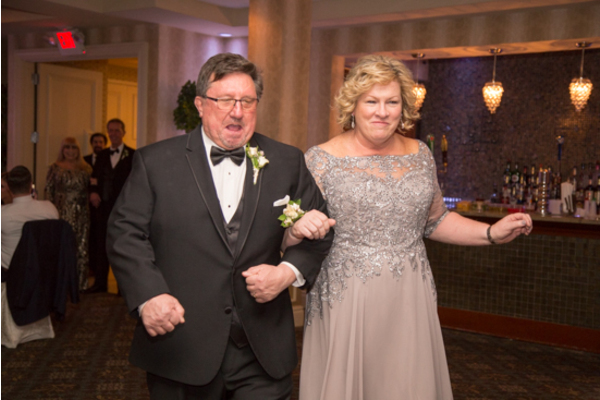 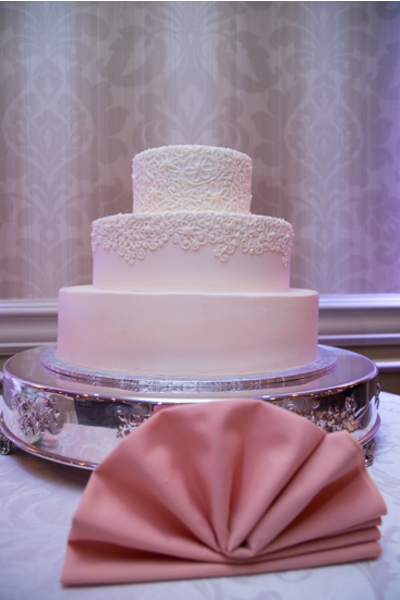 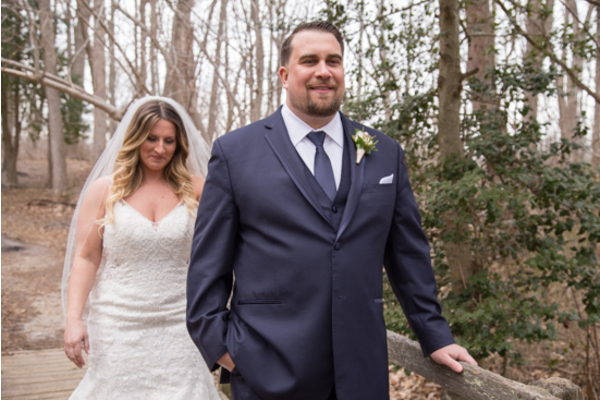 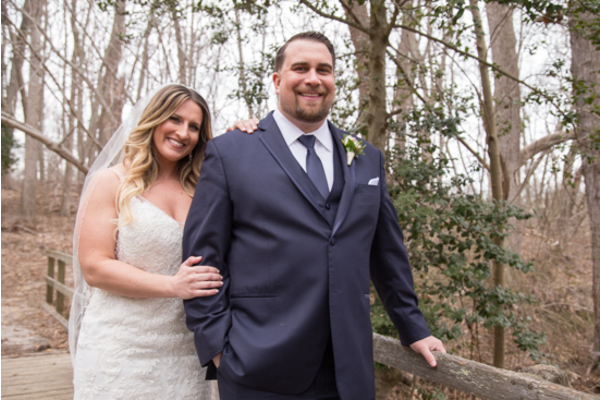 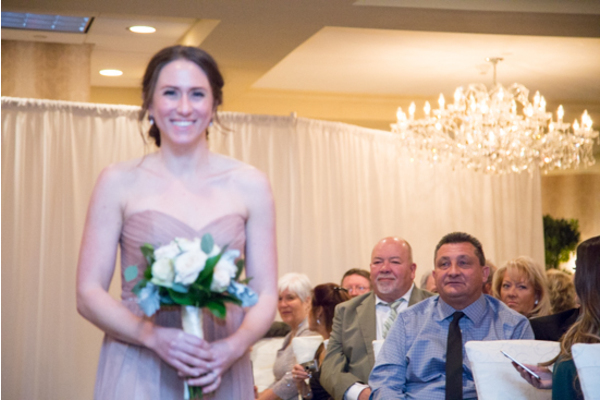 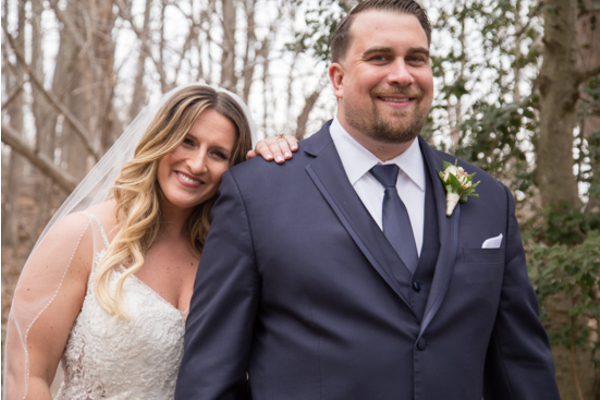 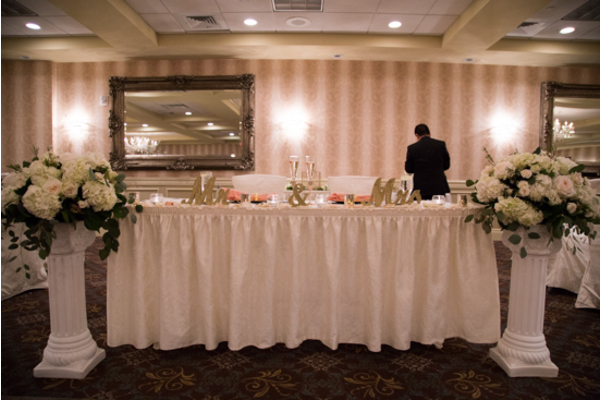 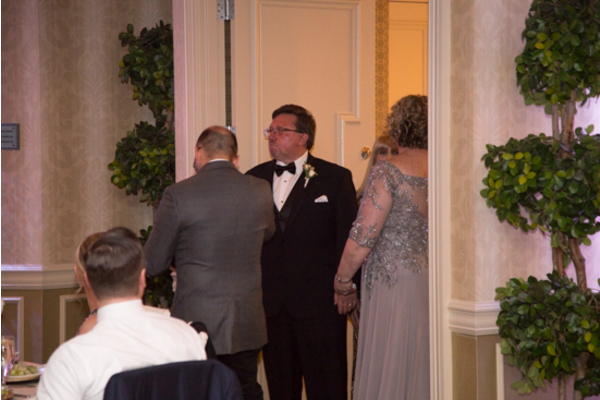 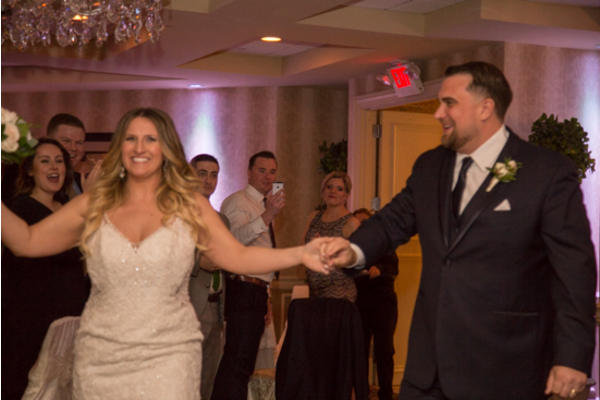 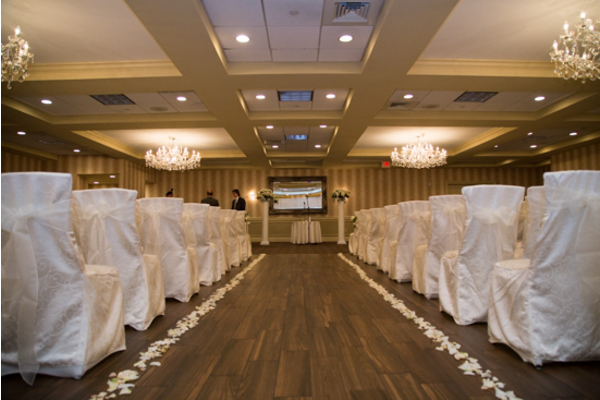 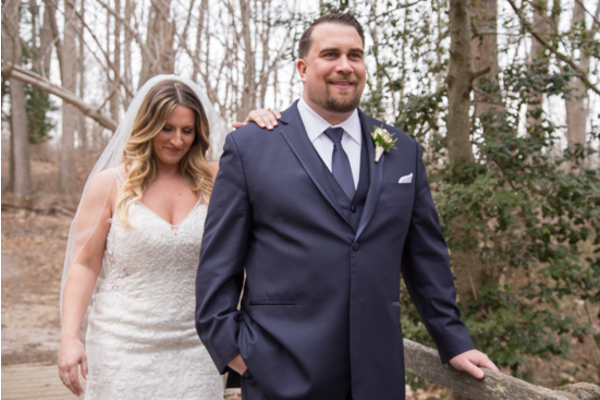 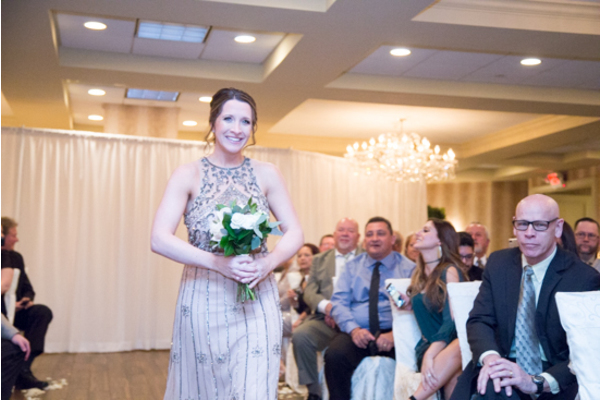 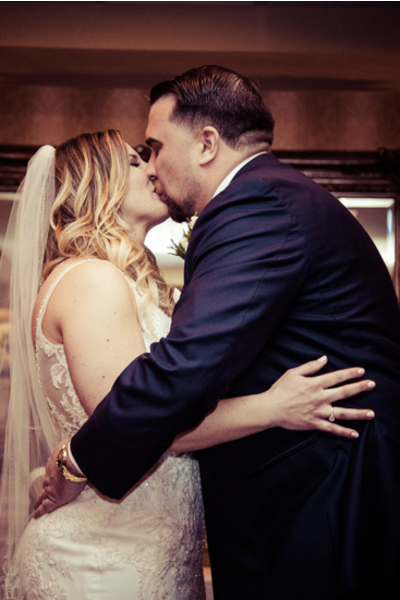 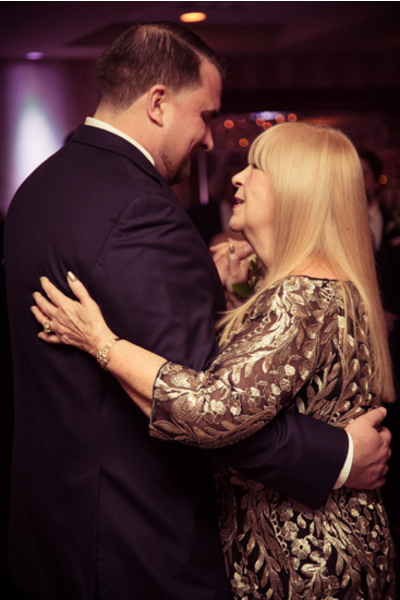 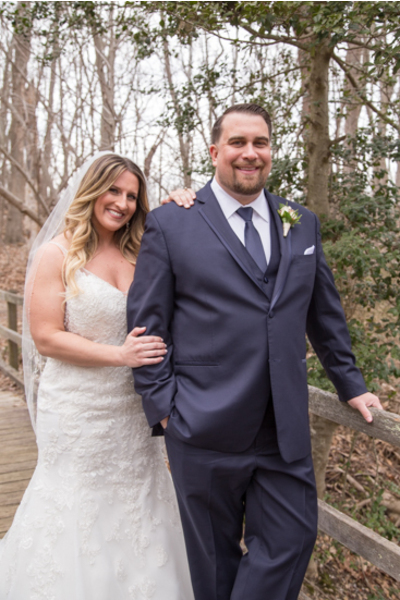 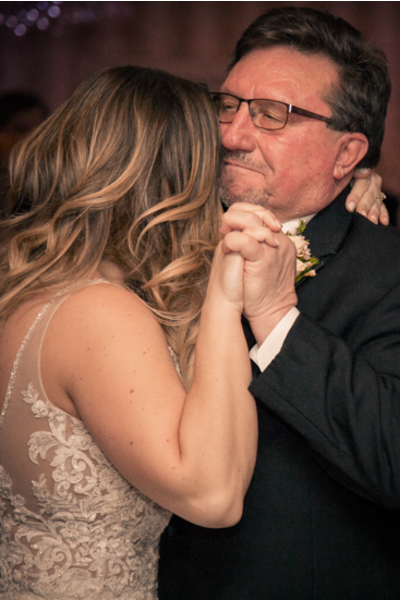 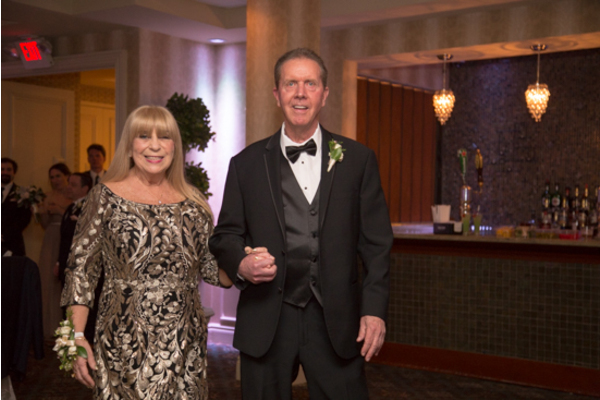 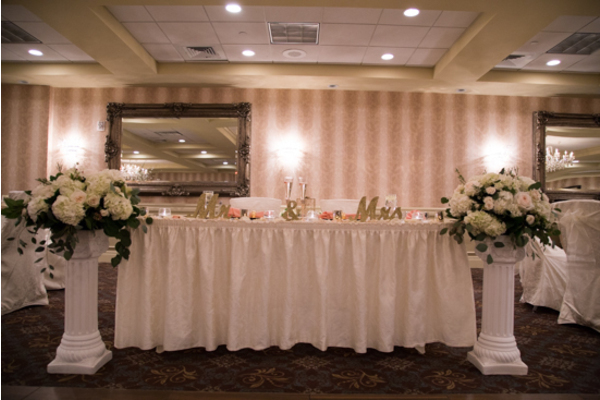 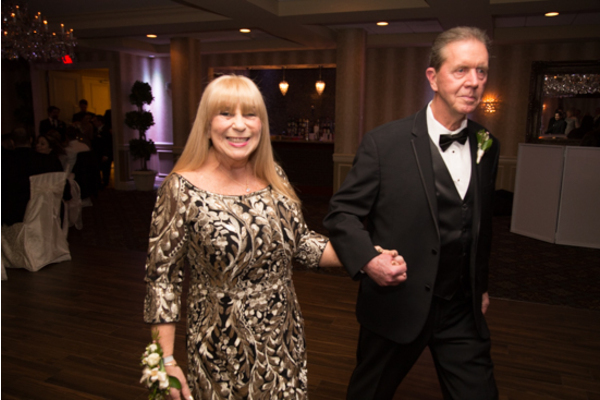 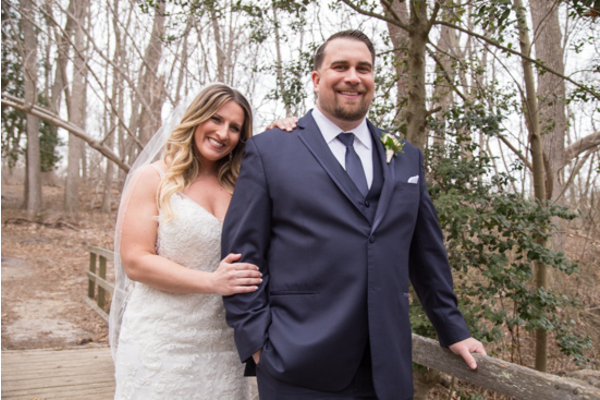 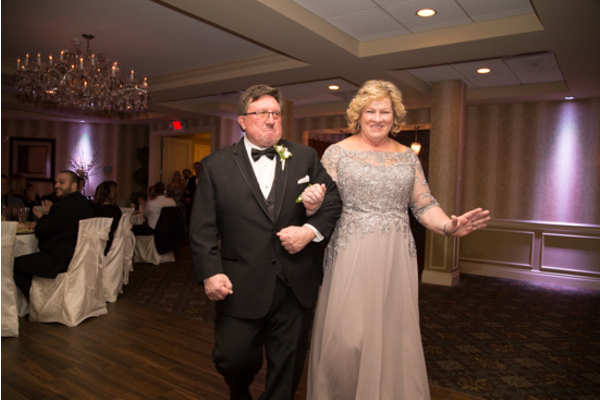 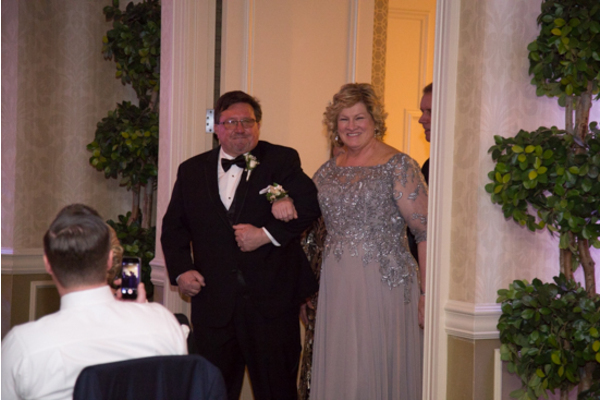 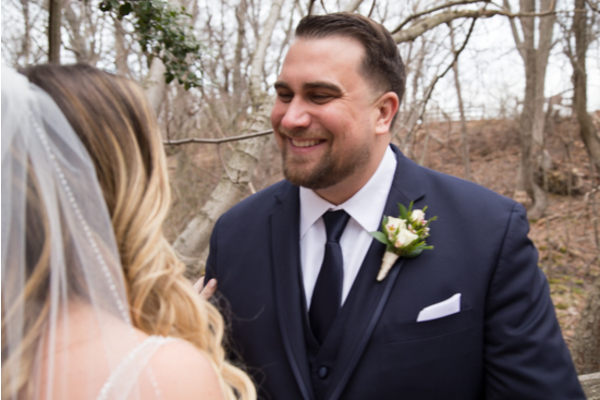 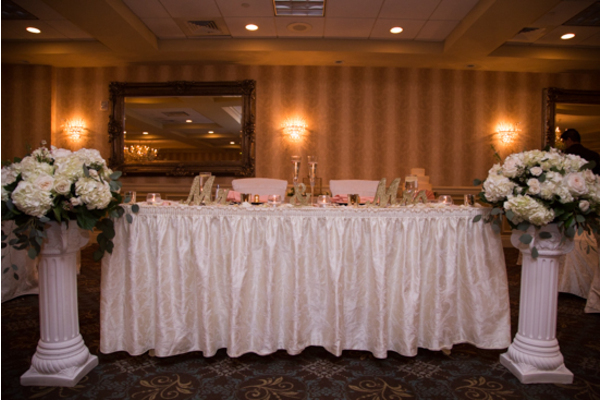 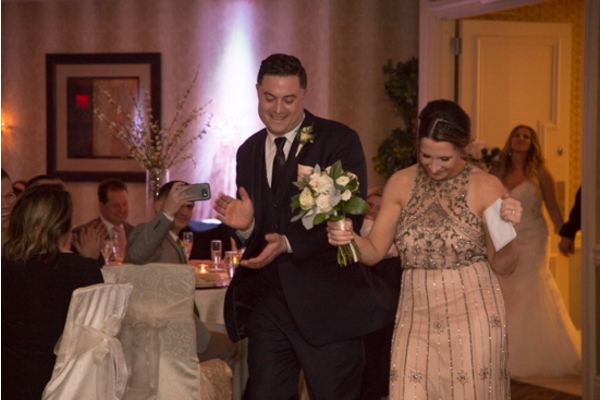 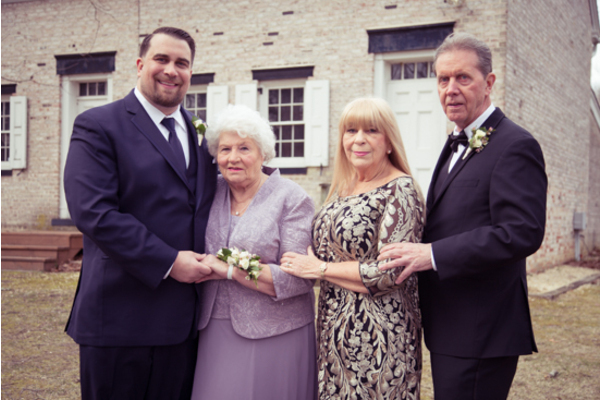 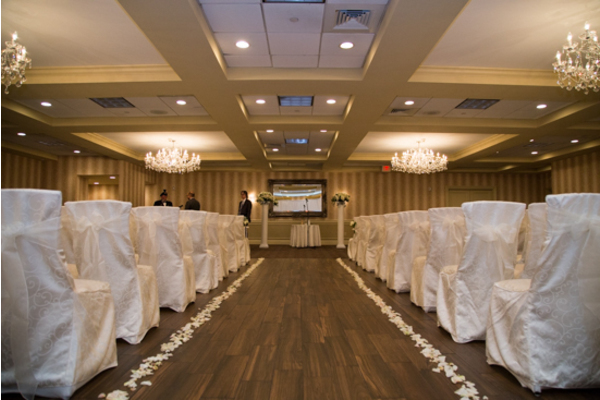 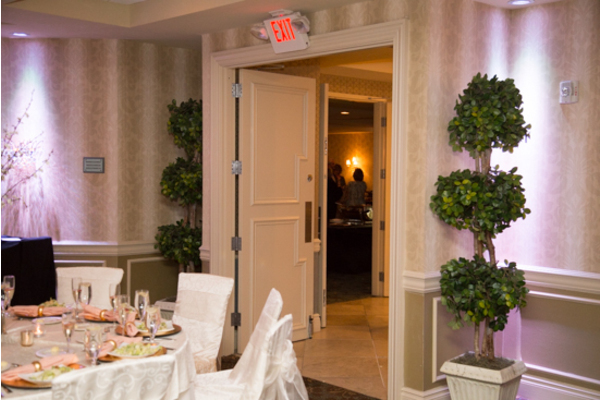 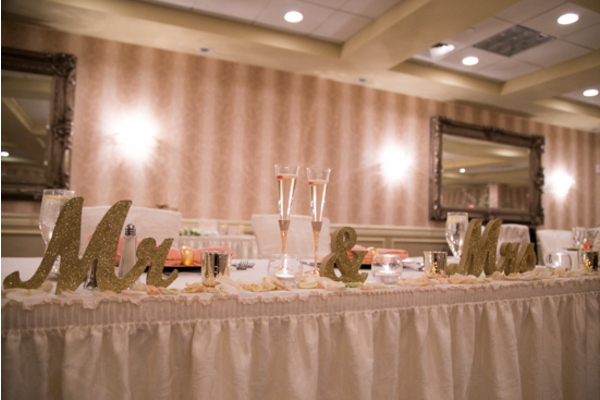 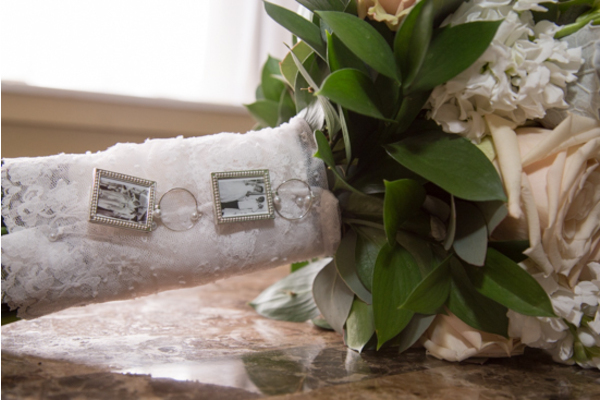 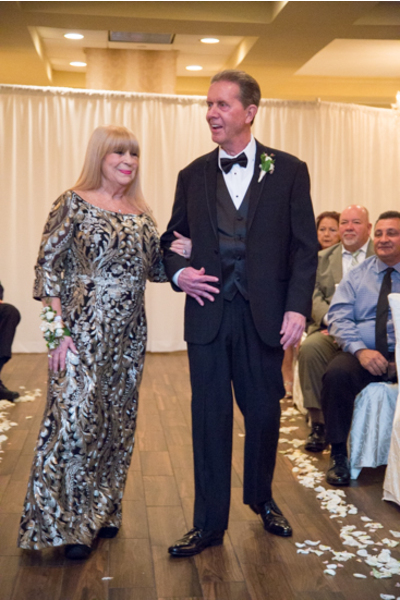 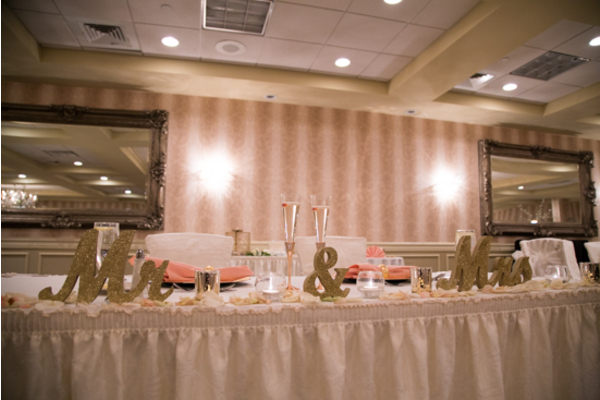 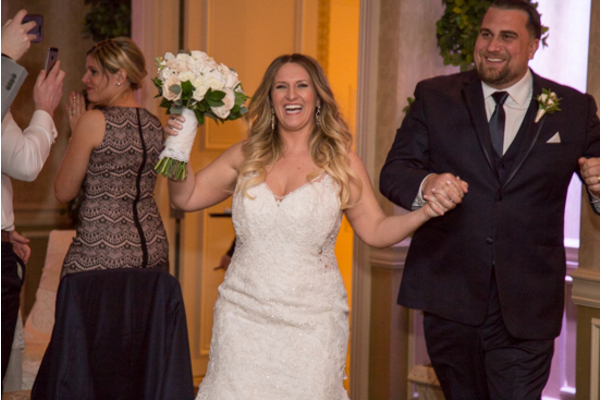 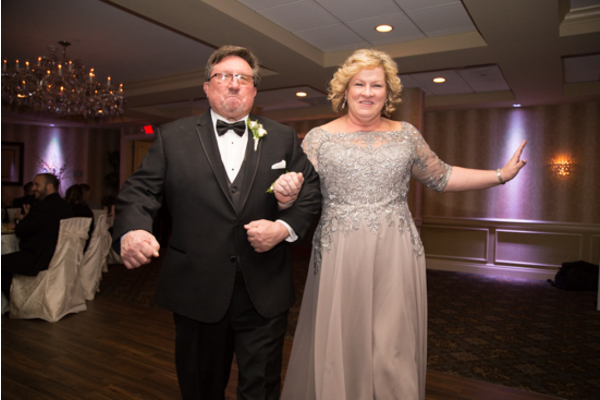 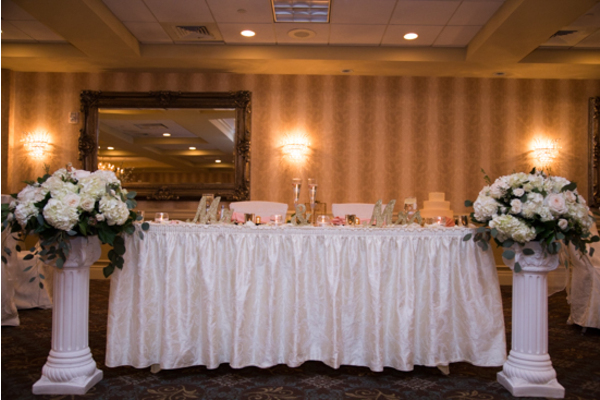 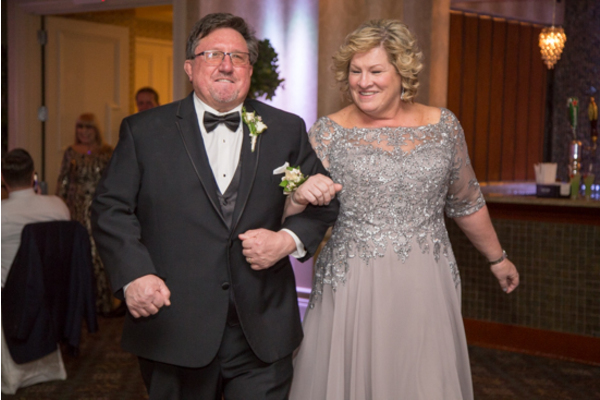 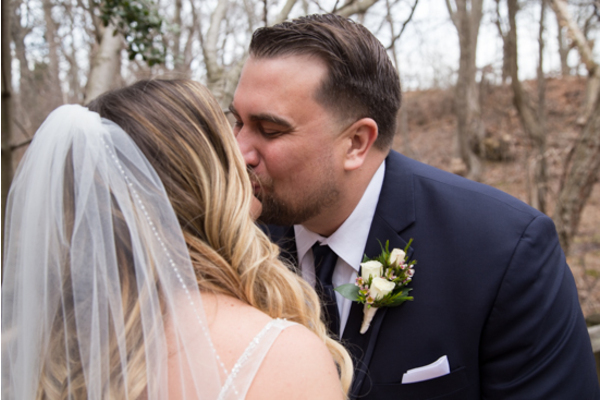 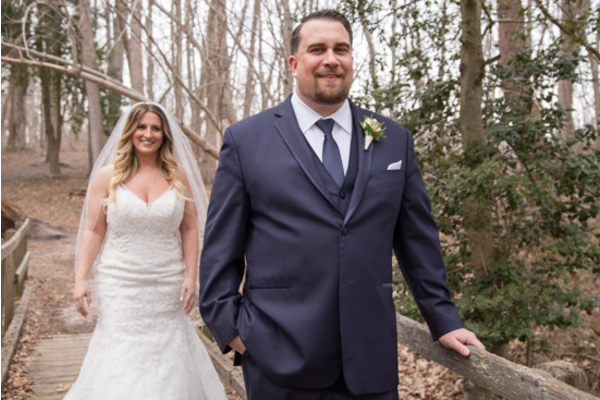 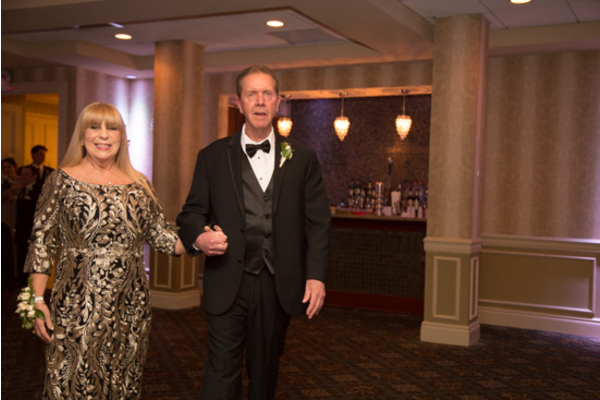 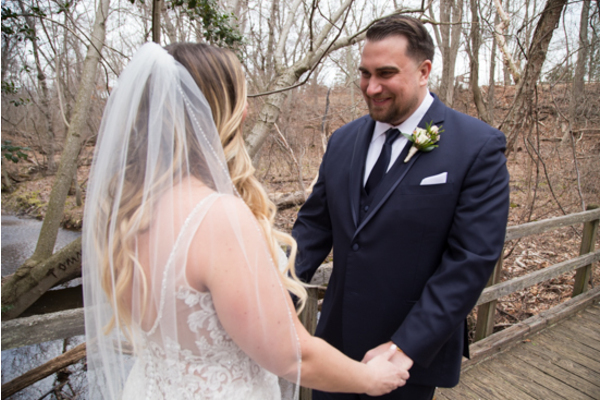 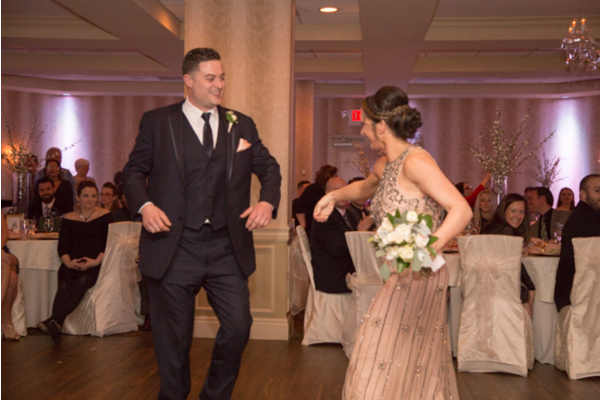 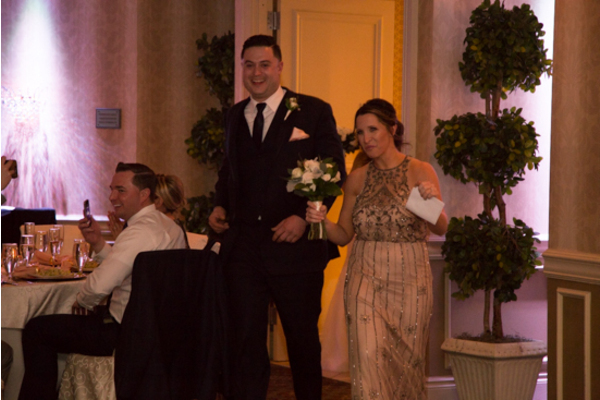 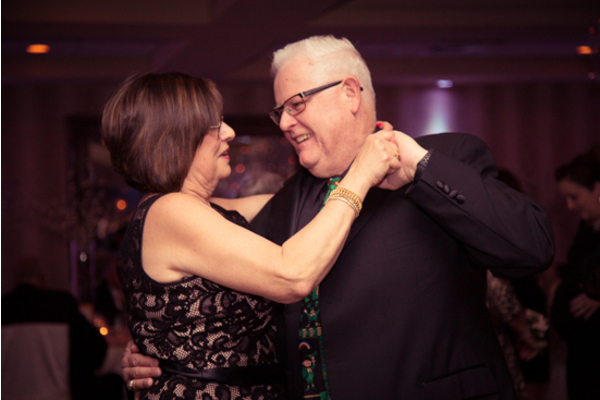 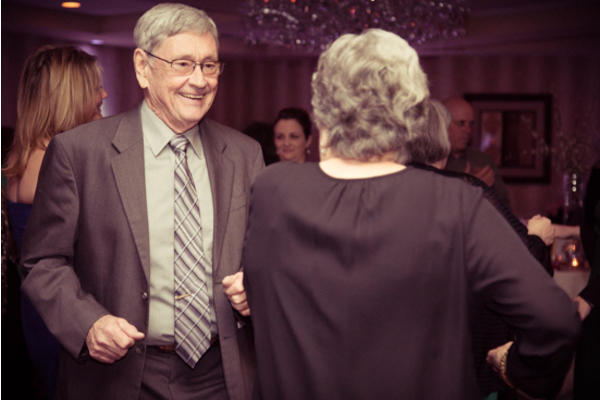 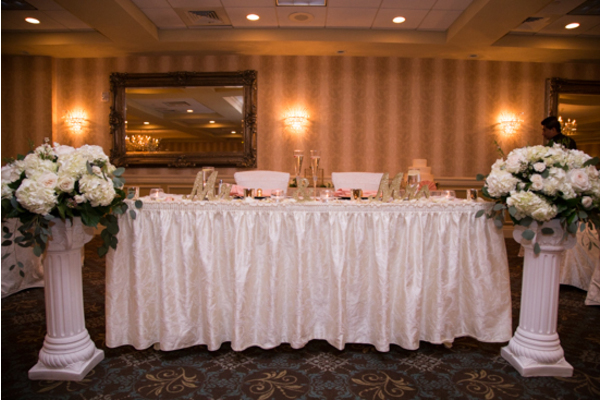 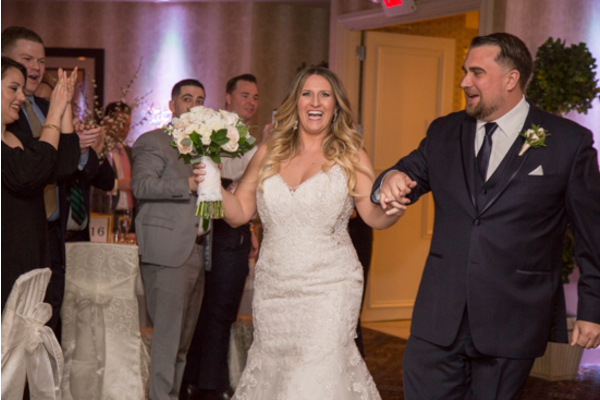 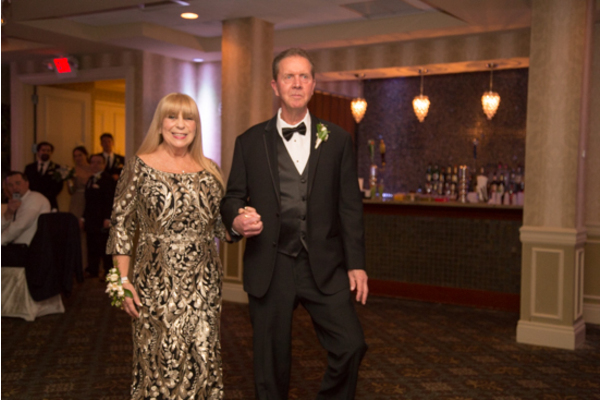 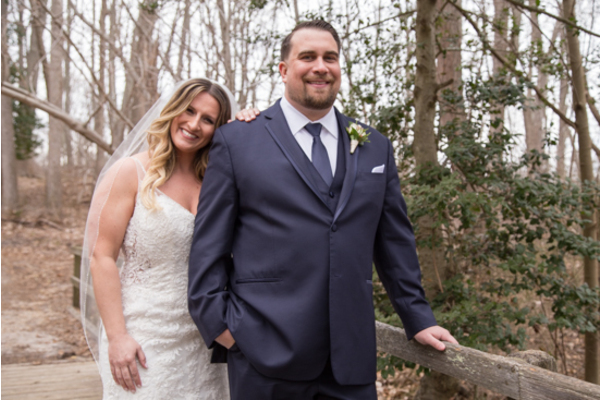 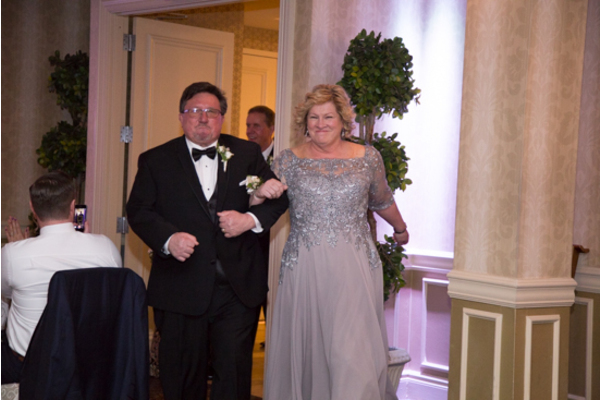 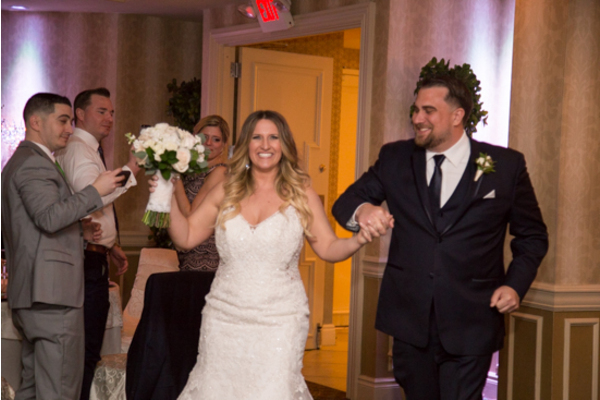 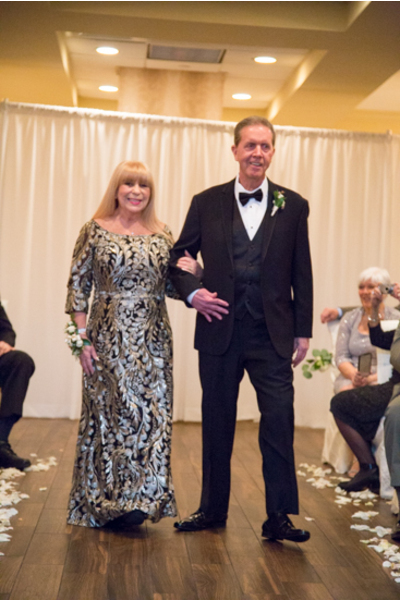 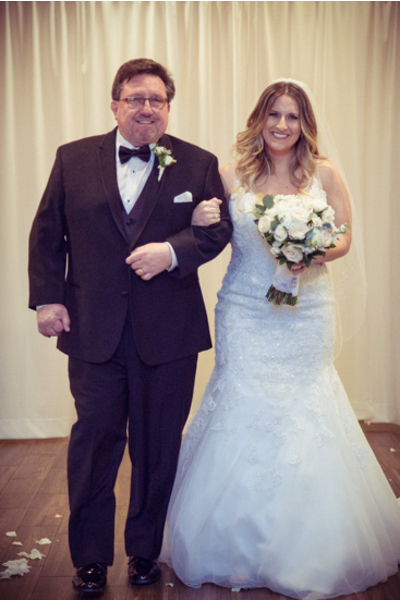 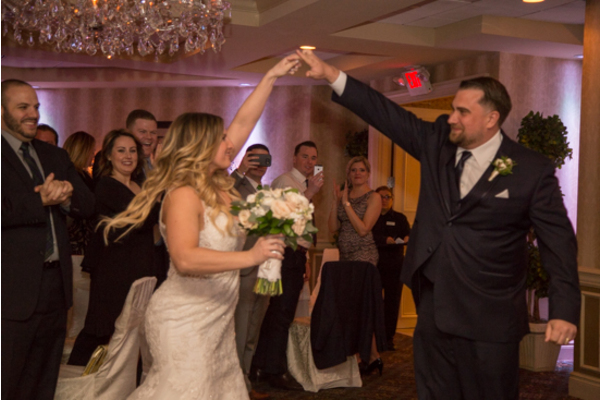 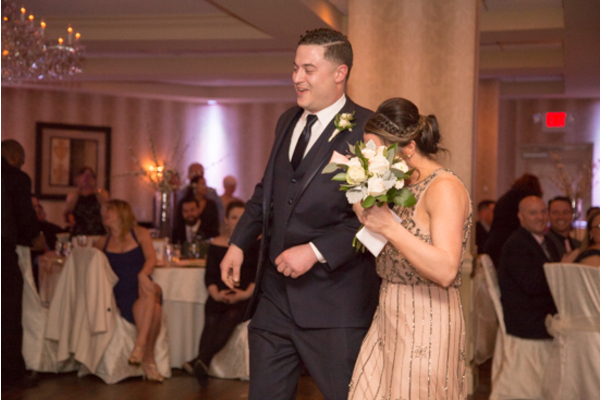 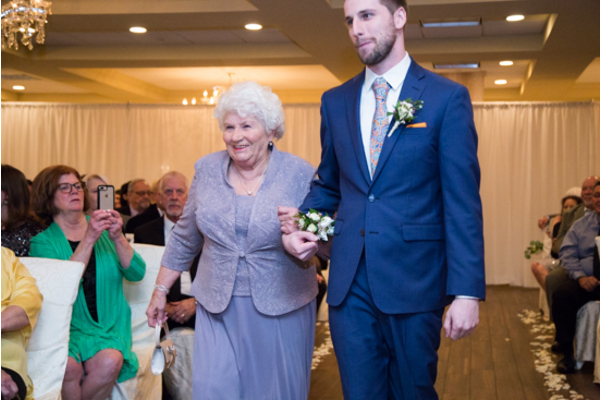 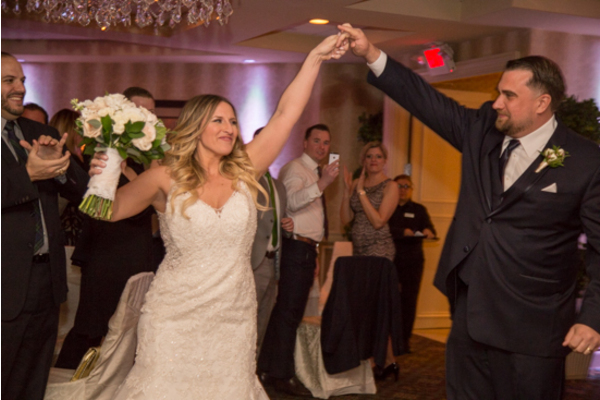 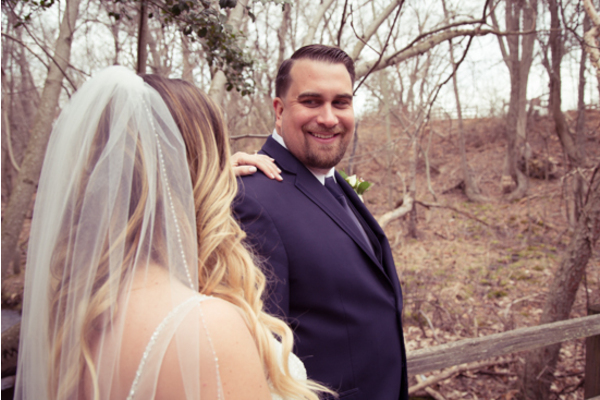 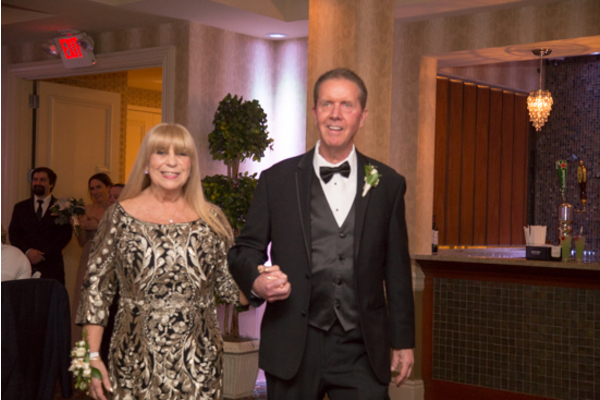 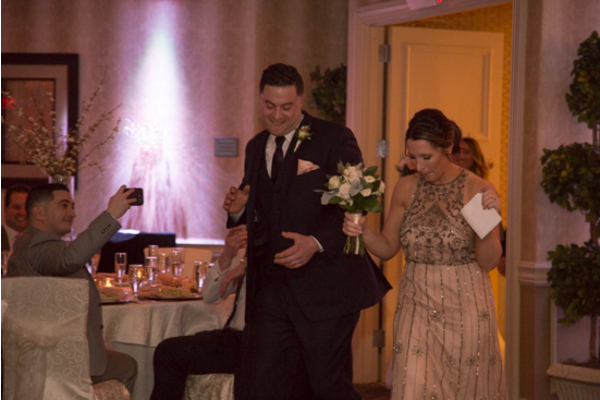 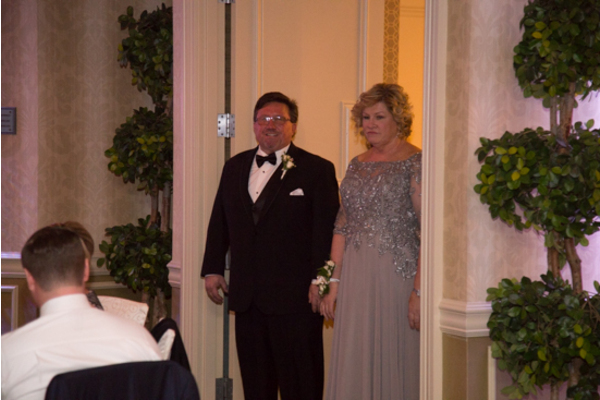 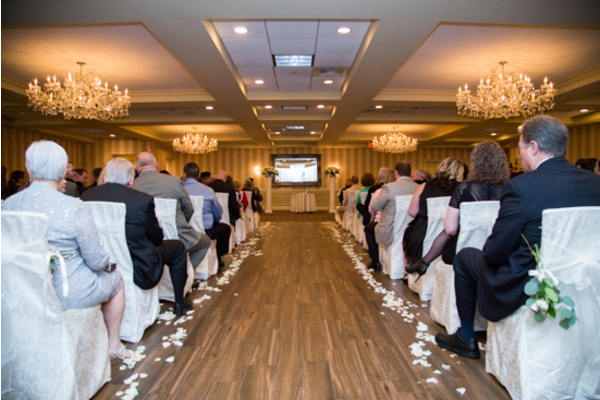 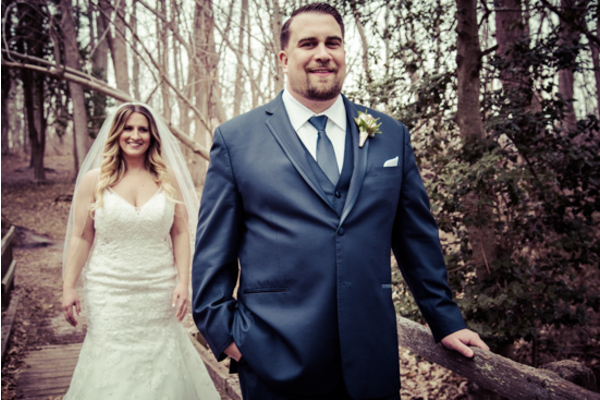 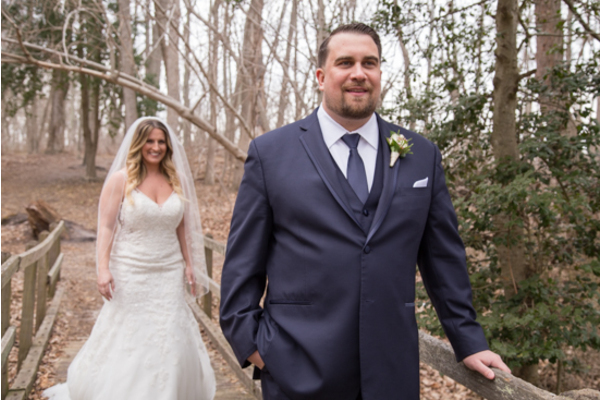 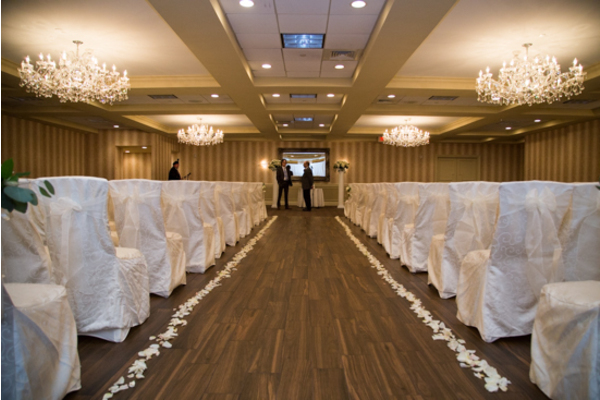 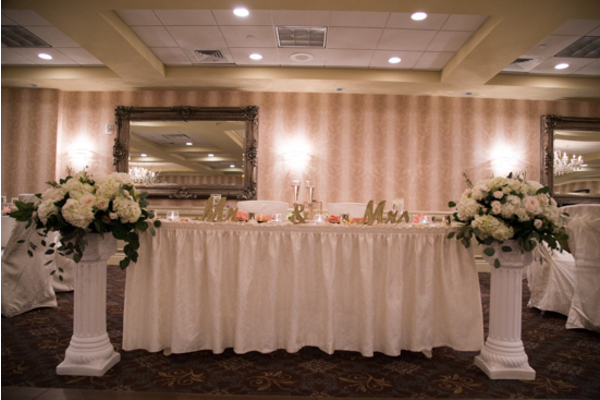 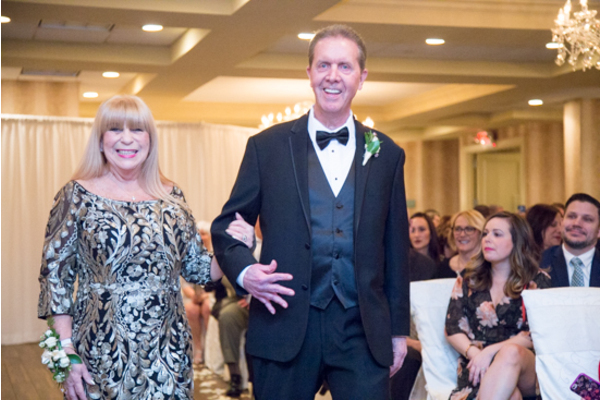 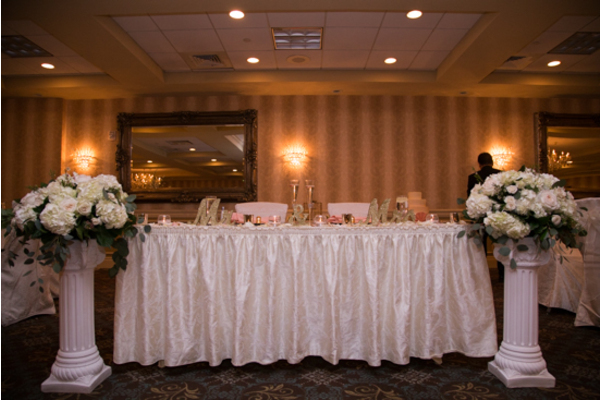 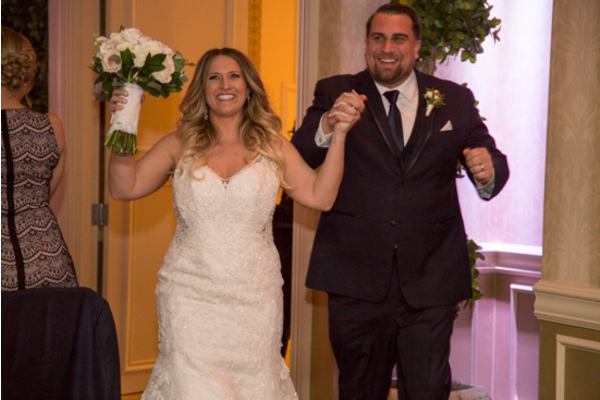 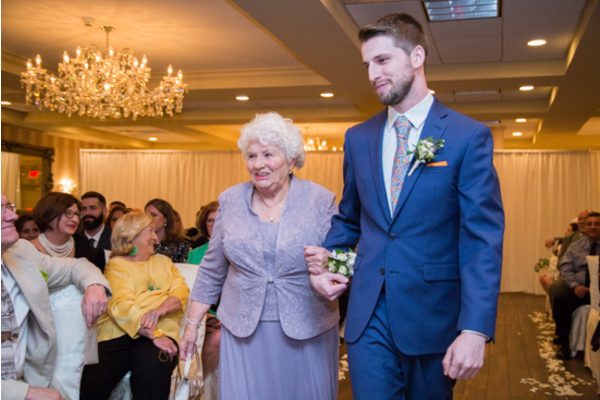 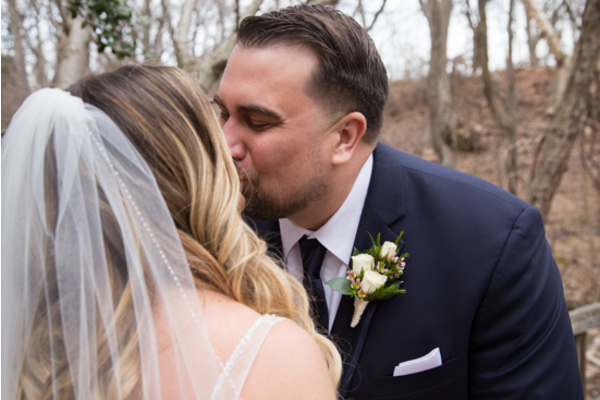 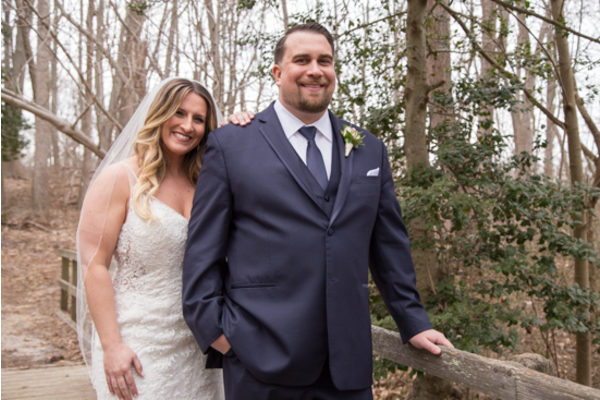 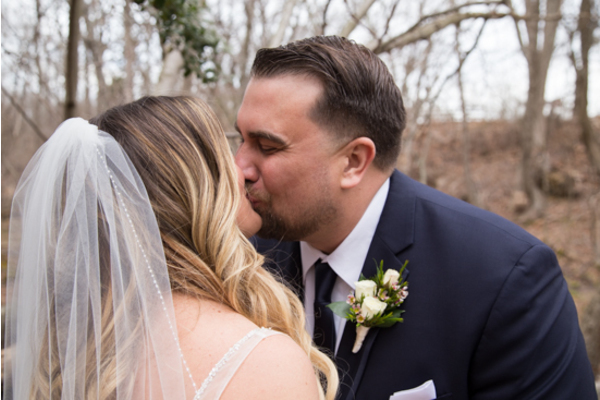 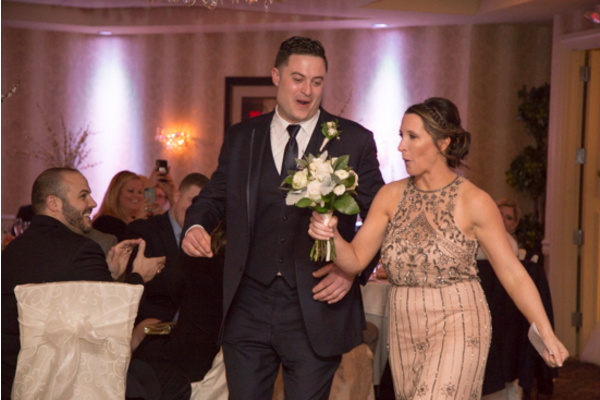 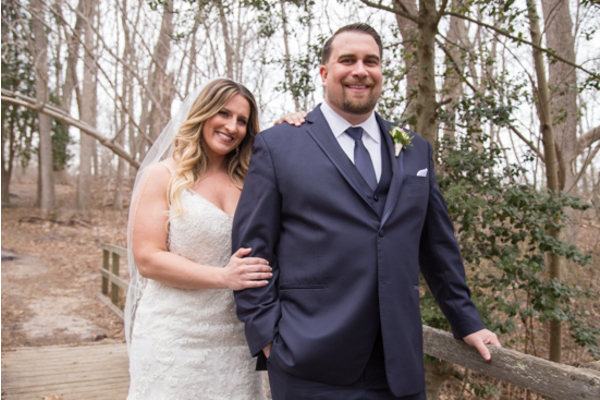 The beautiful couple celebrated their special day at the Double Tree located in Mount Laurel, NJ. 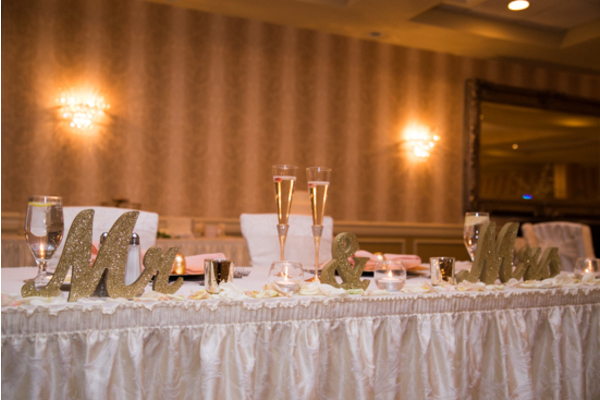 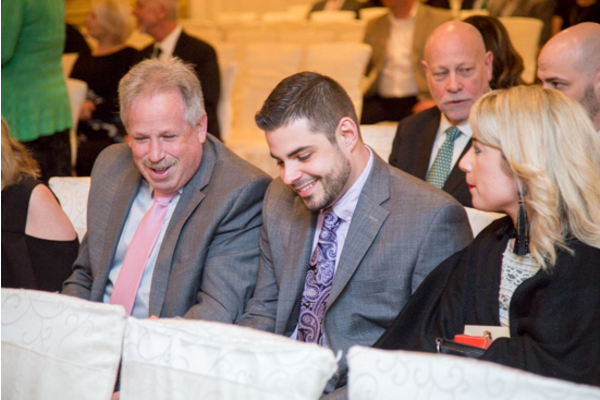 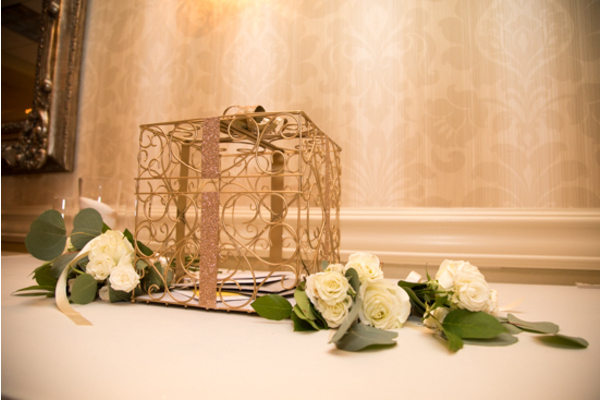 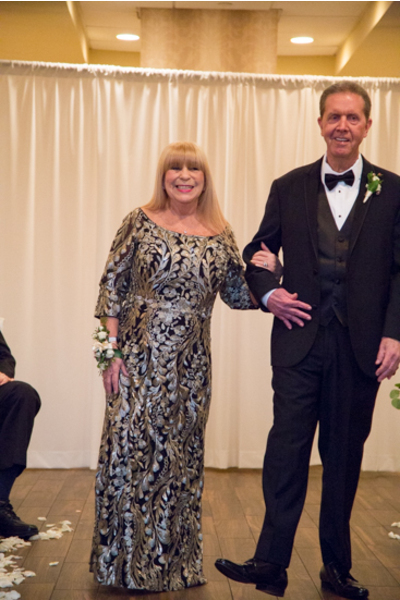 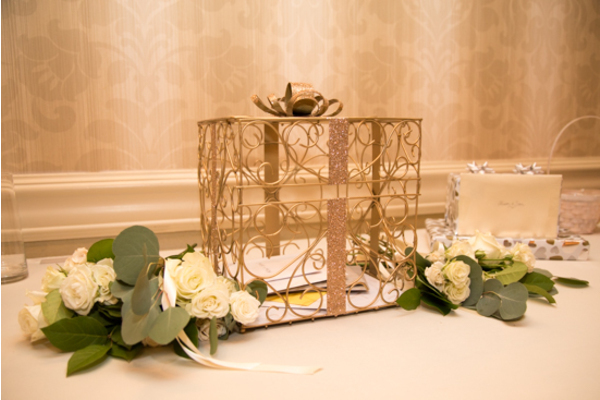 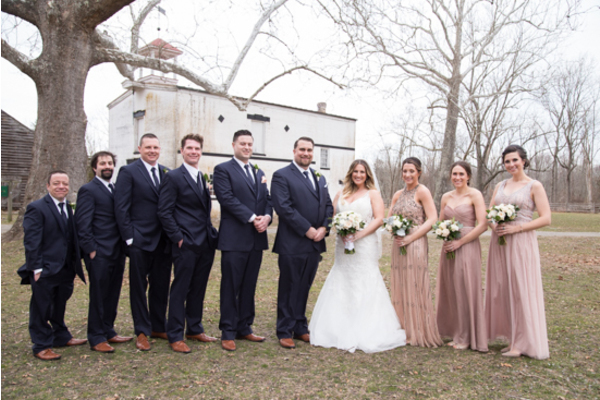 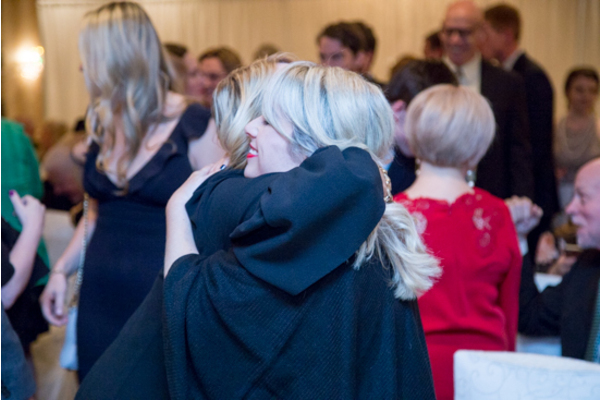 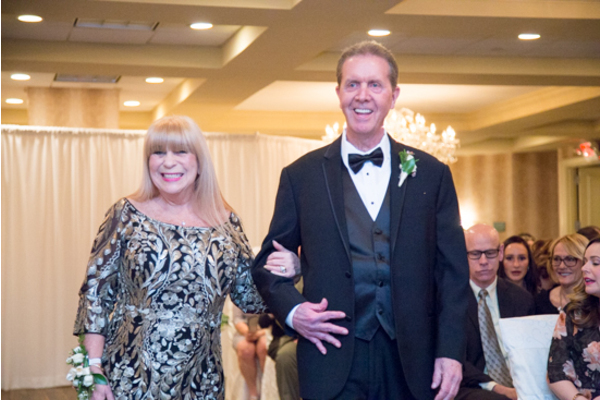 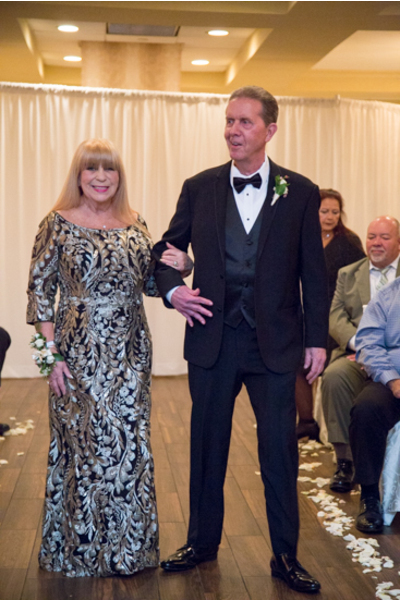 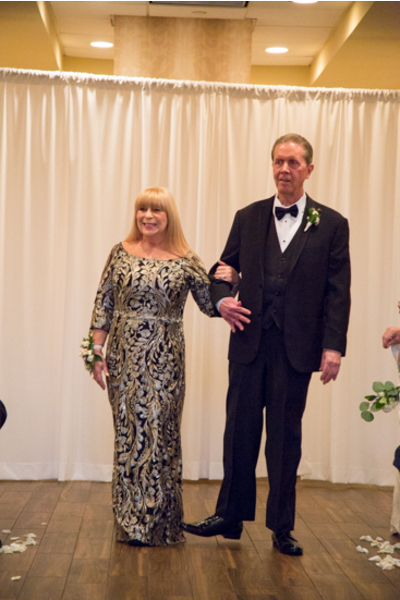 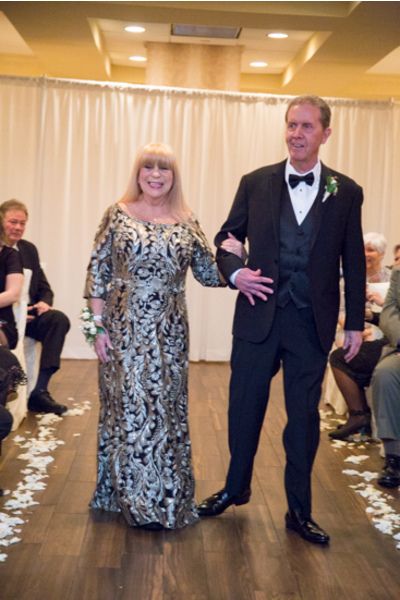 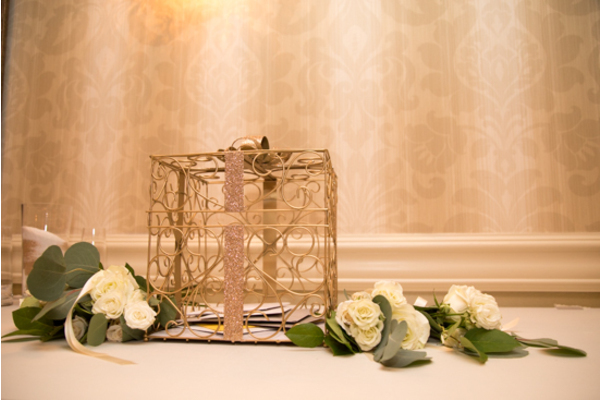 Their ceremony and reception were both classy and elegant and created a magical experience for all guests in attendance! 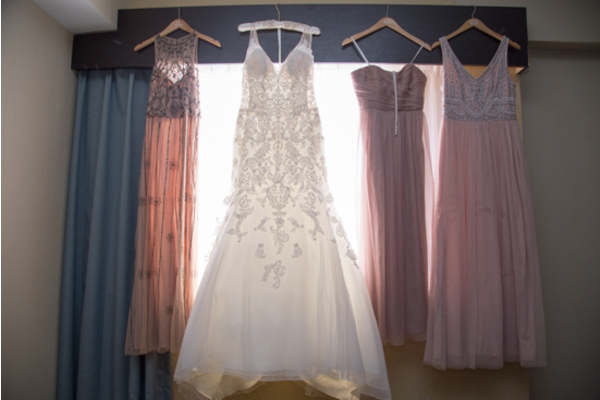 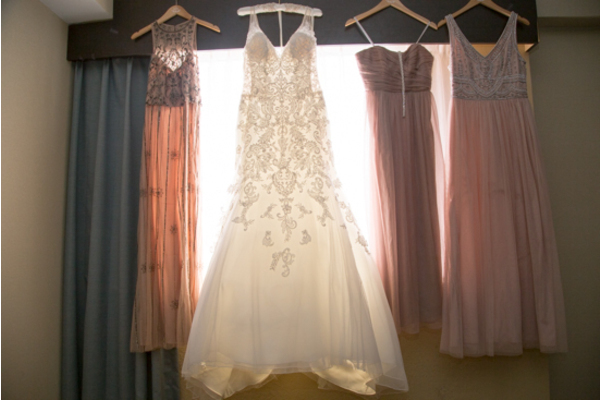 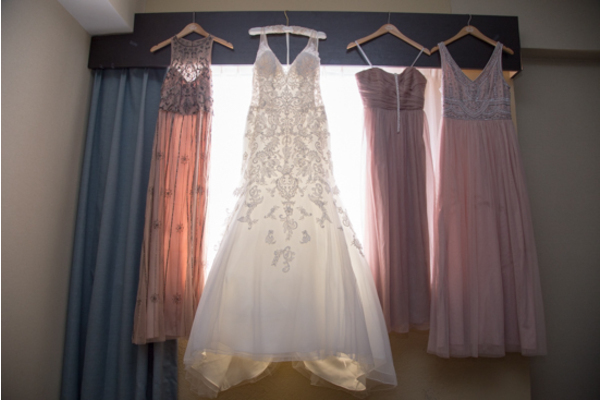 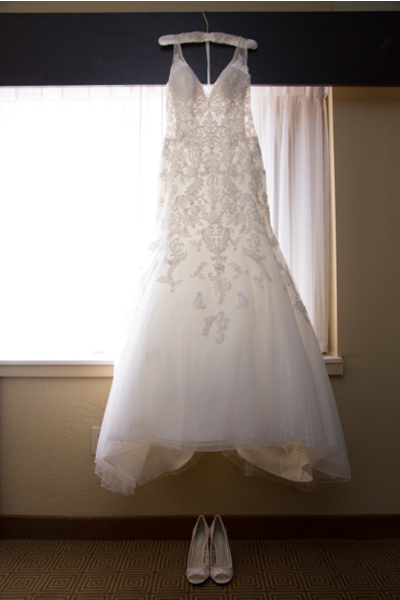 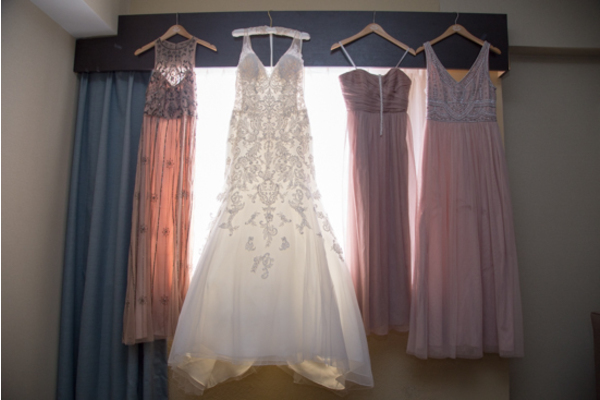 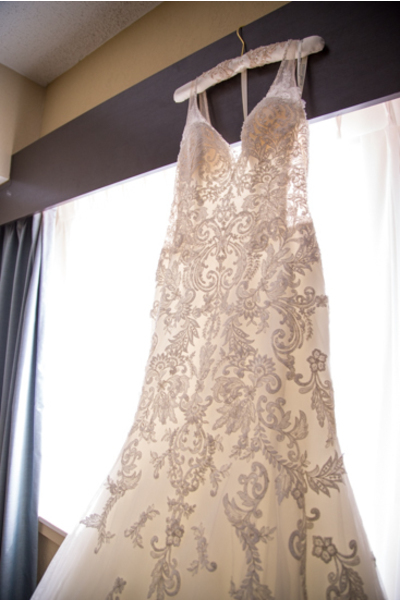 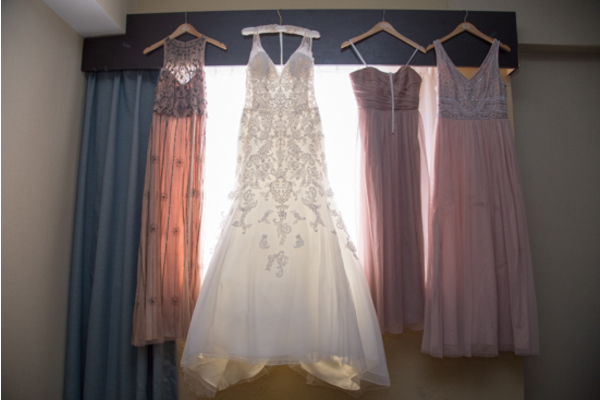 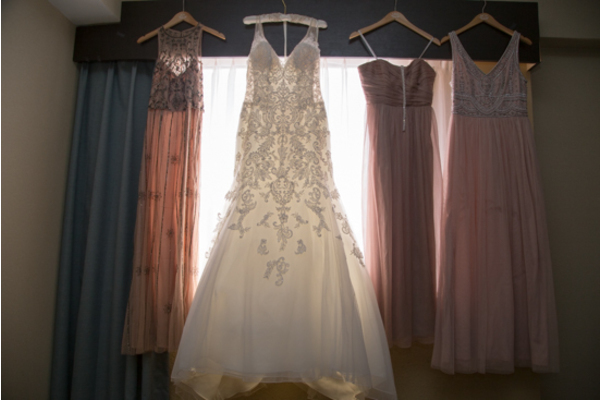 Ali’s beautiful wedding gown hung up against the window lighting beside her bridesmaids pinkish mauve dresses. 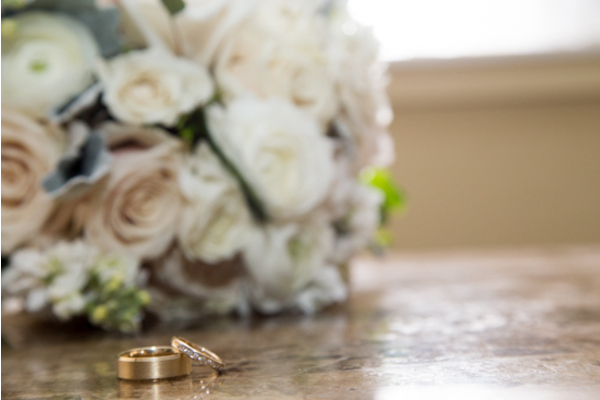 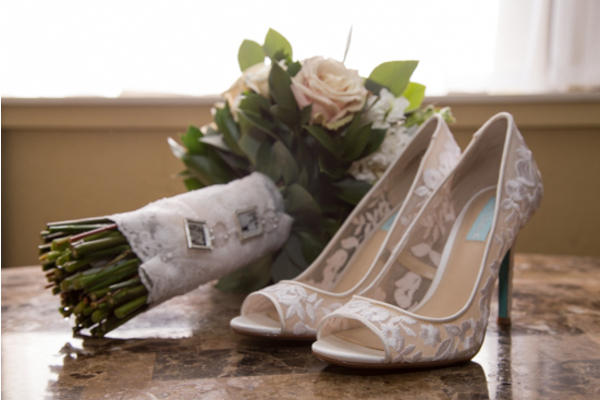 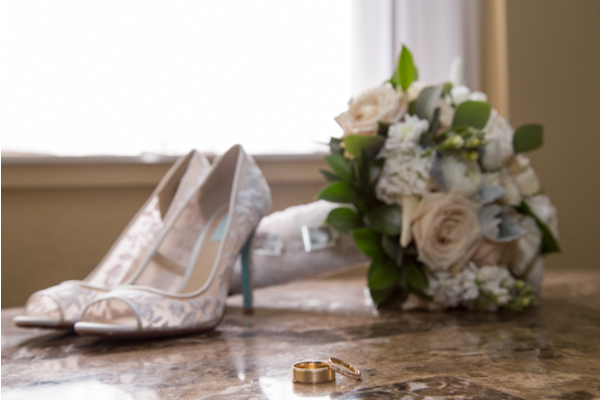 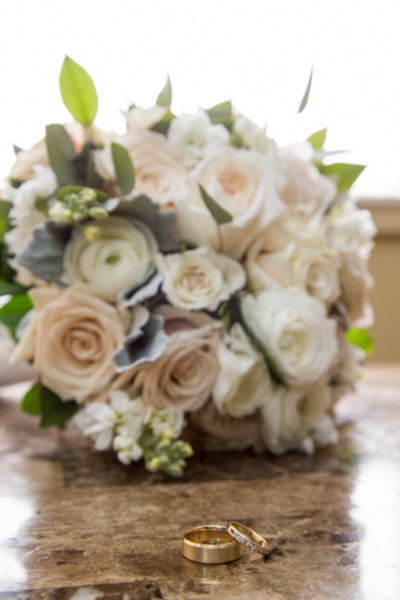 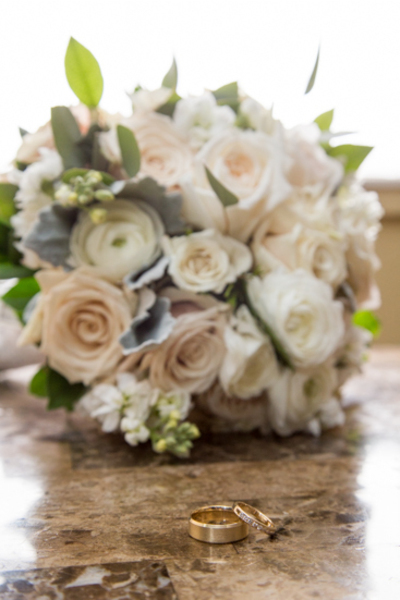 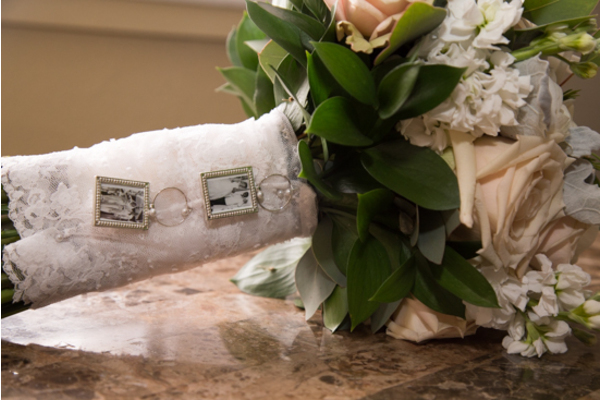 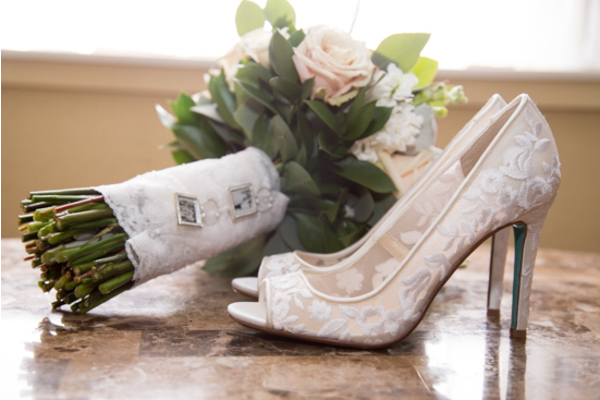 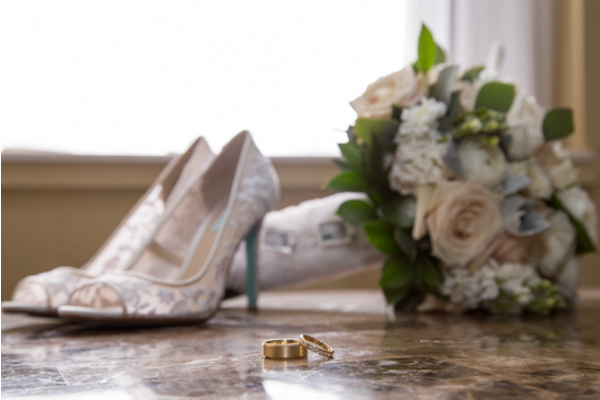 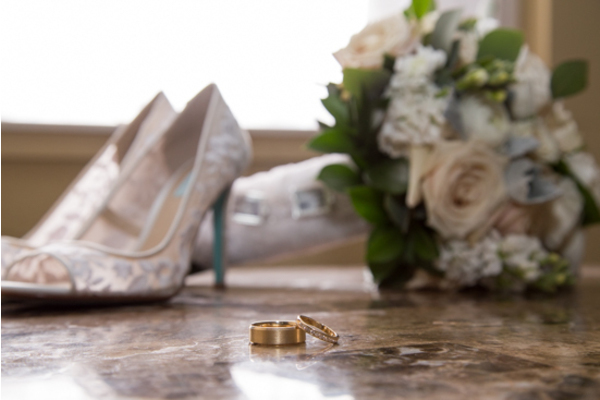 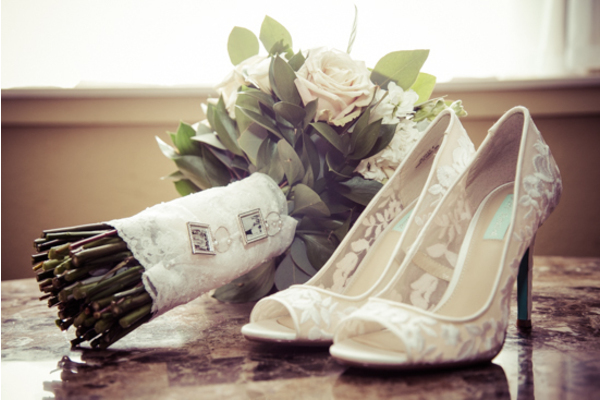 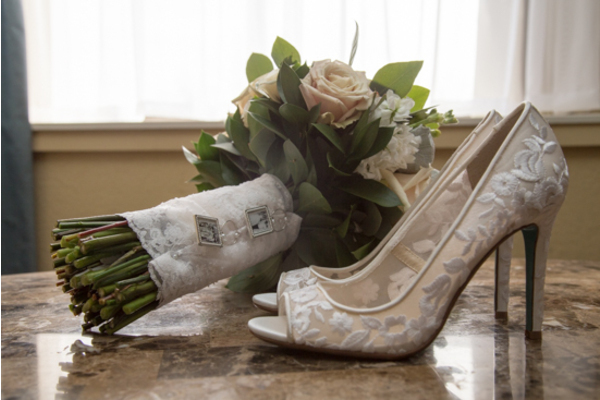 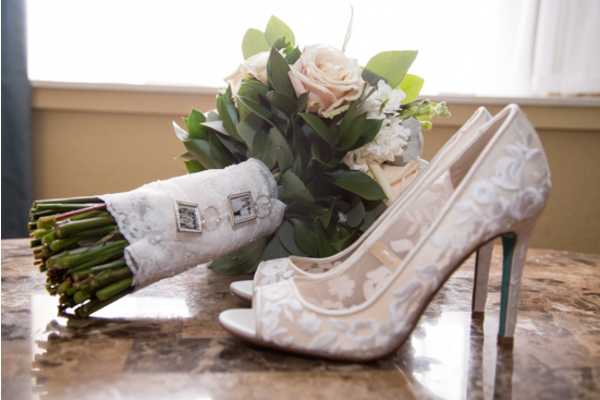 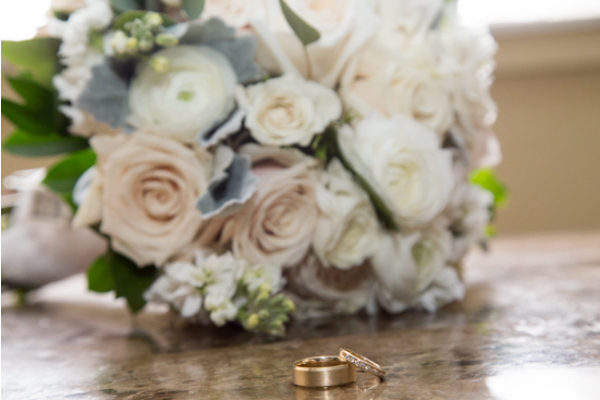 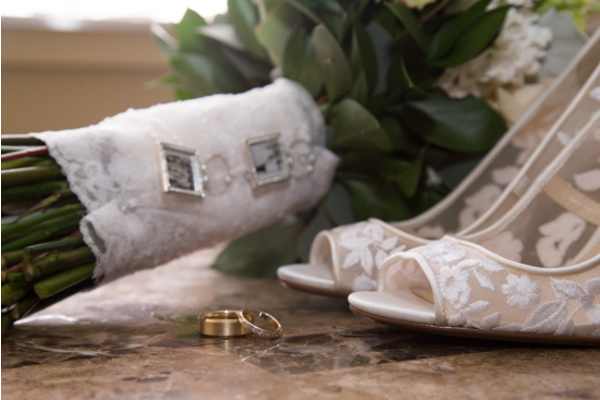 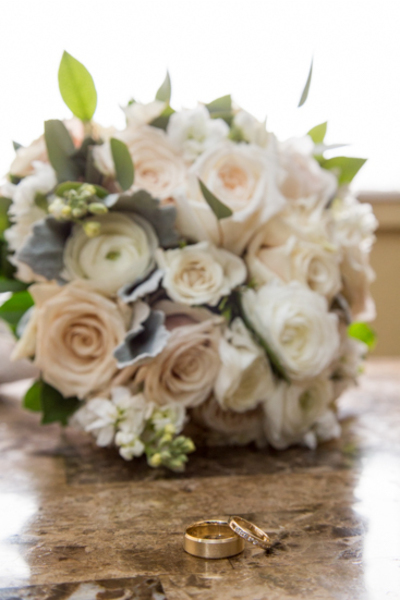 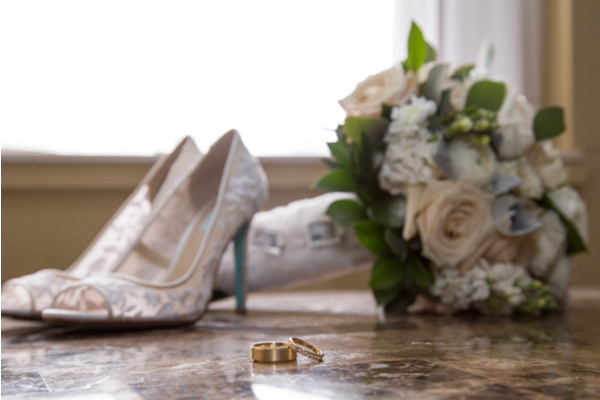 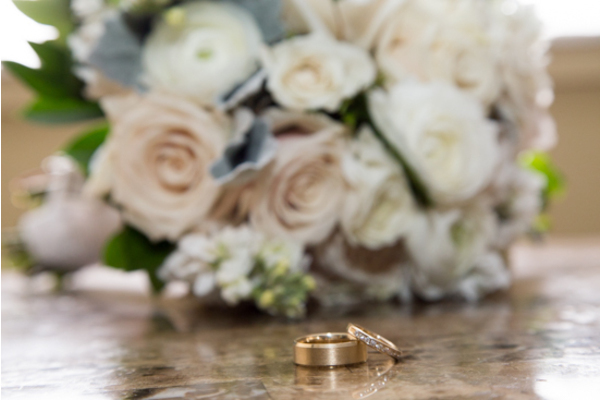 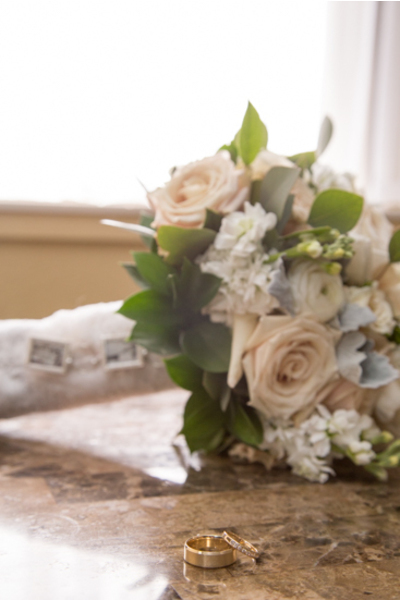 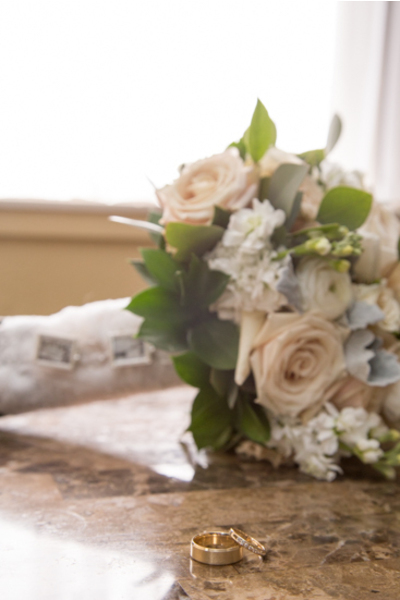 Her high heels and white rose bouquet were ready for their close-ups with beautiful detail shots captured by our NJ Wedding Photographer. 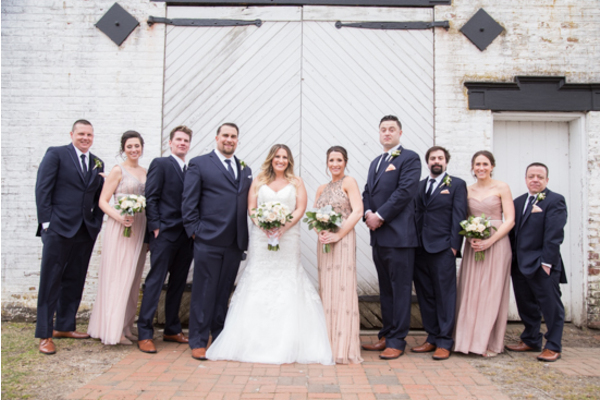 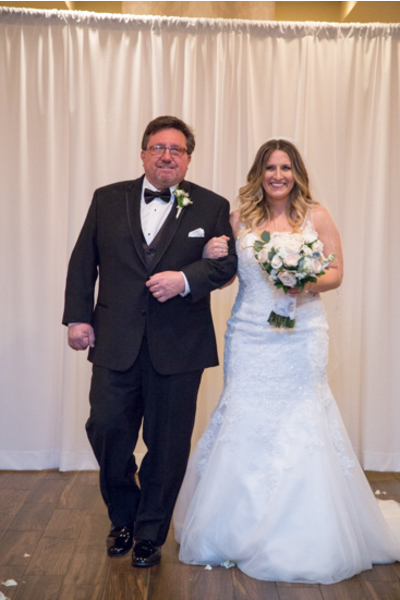 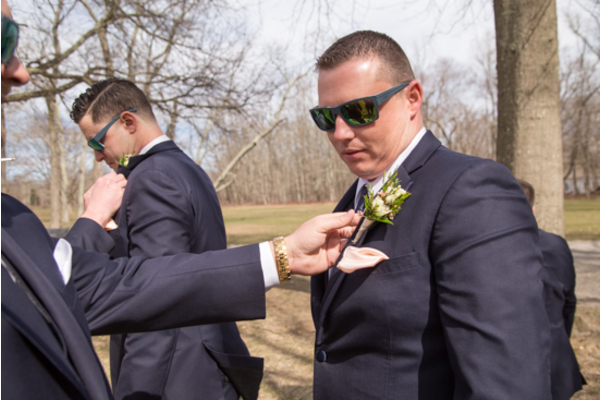 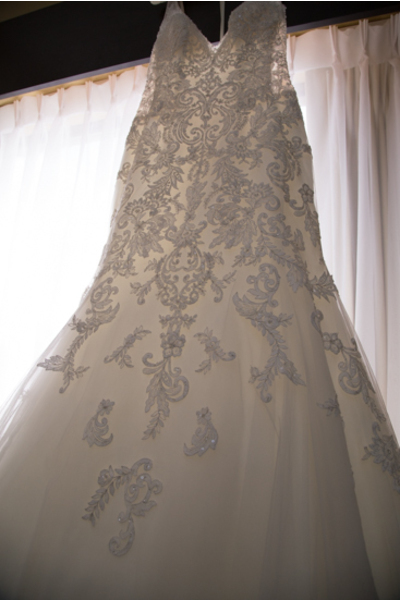 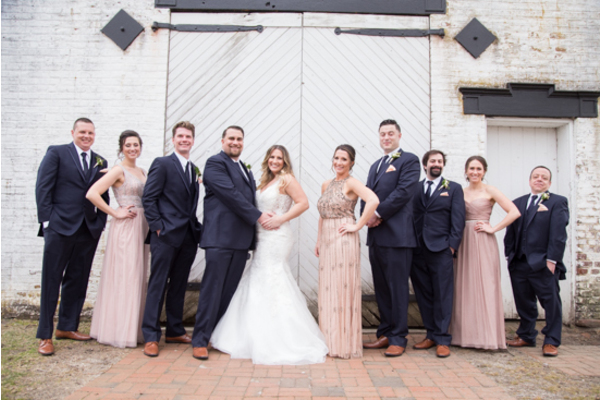 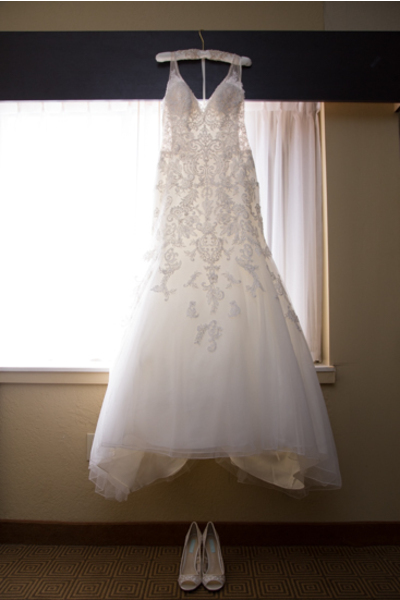 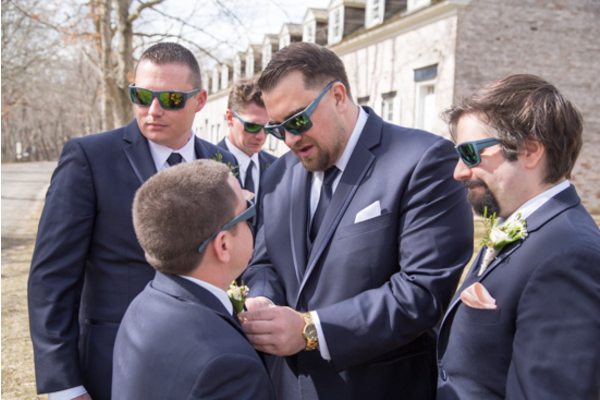 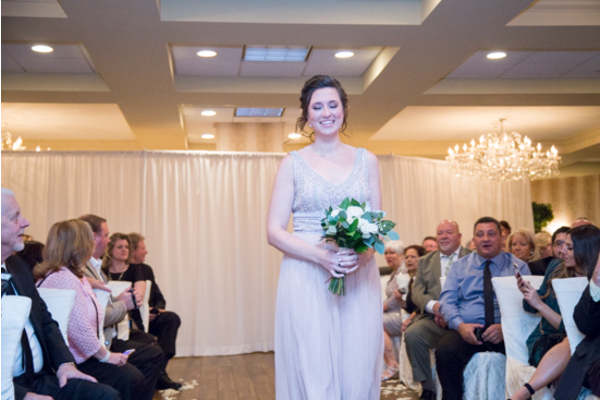 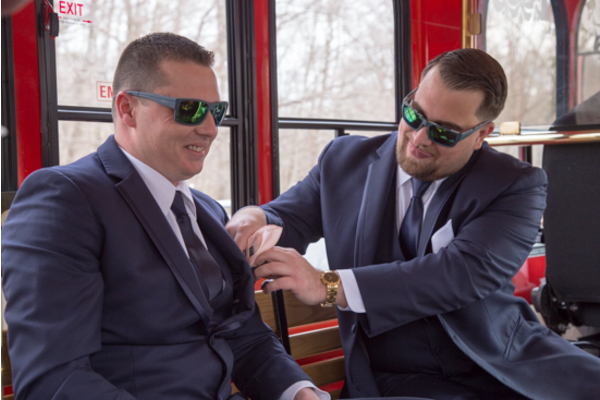 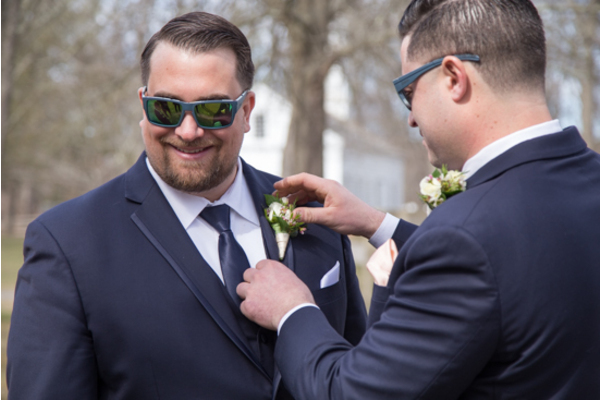 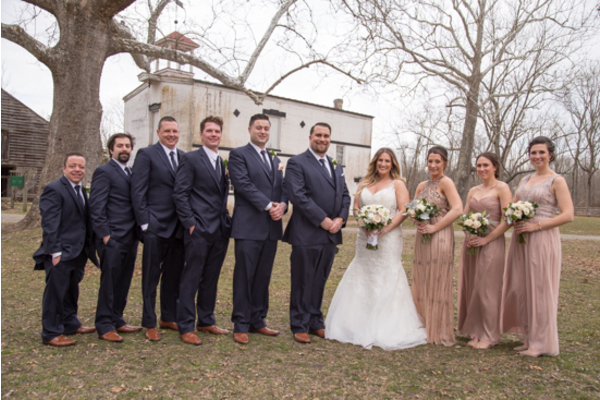 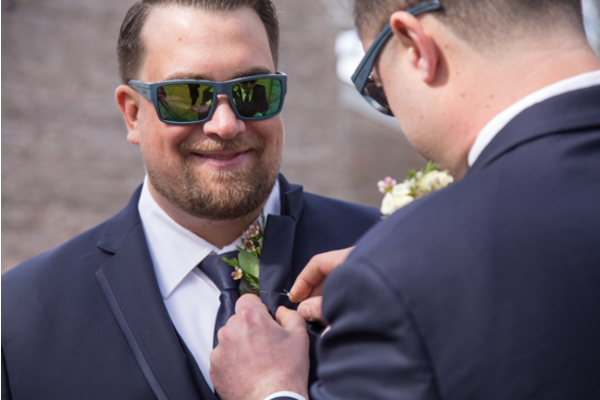 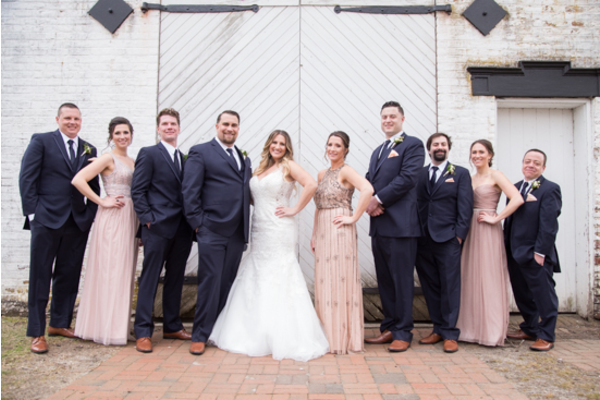 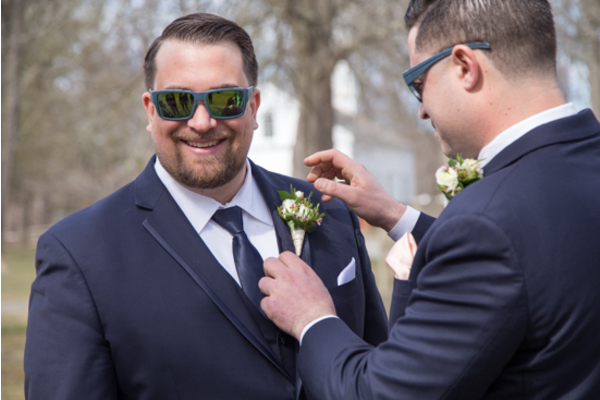 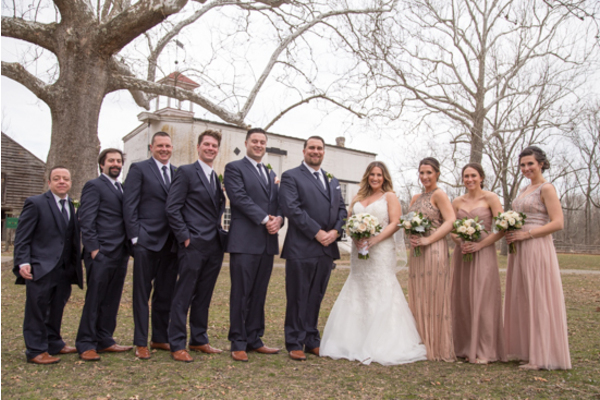 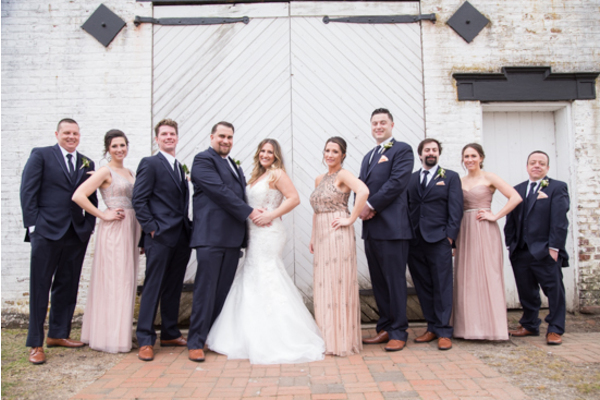 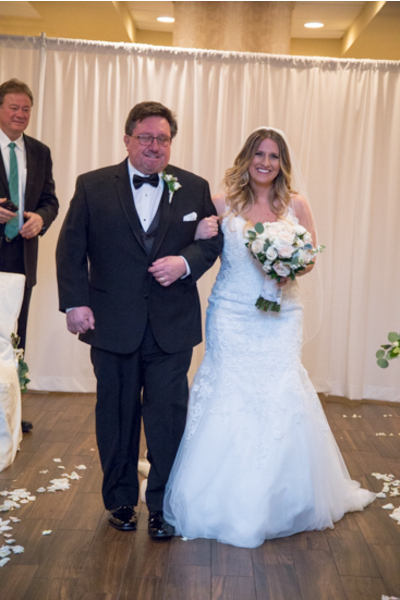 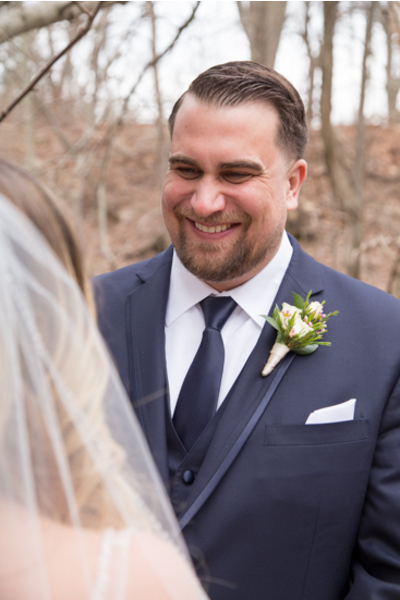 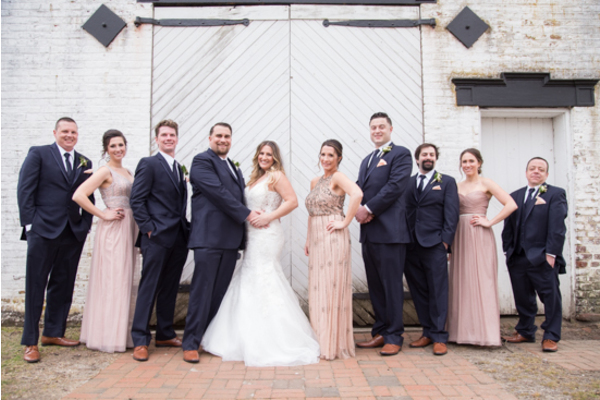 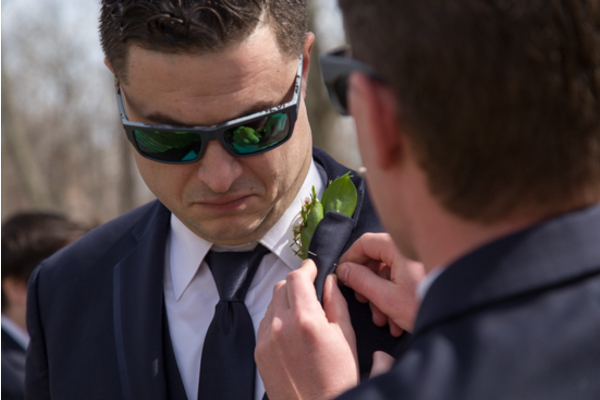 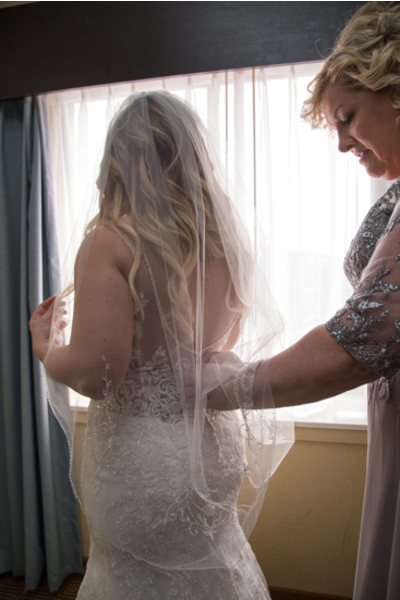 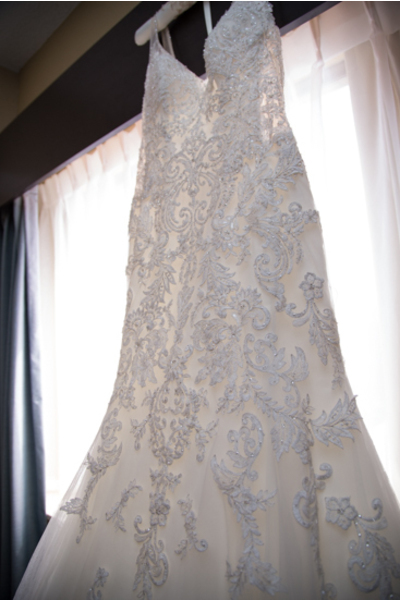 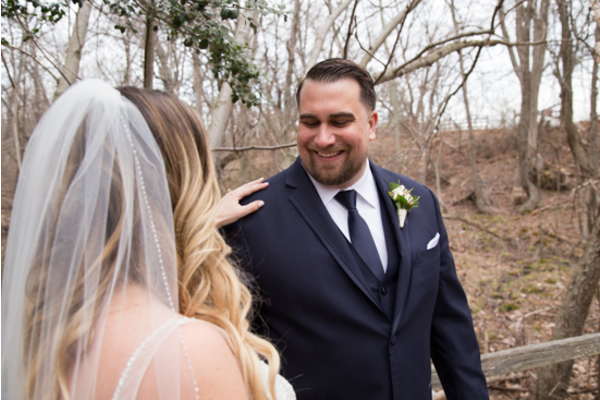 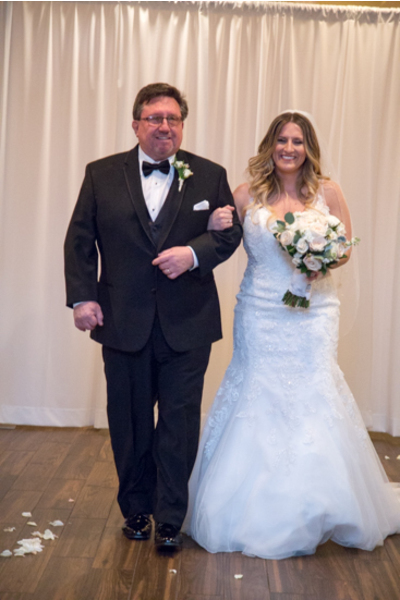 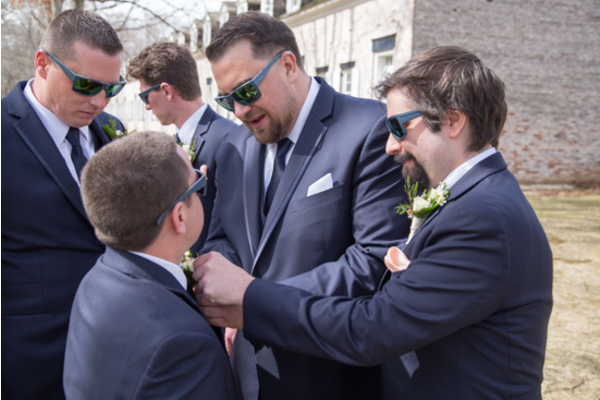 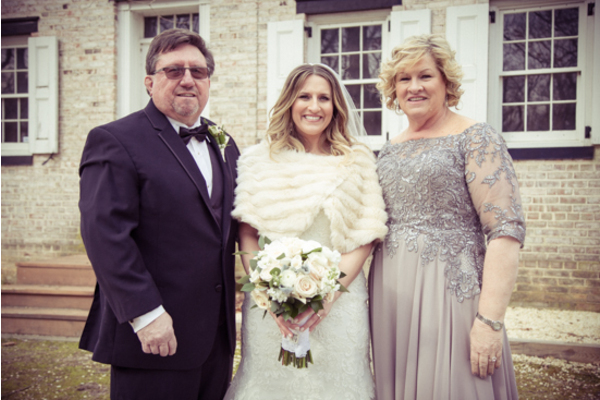 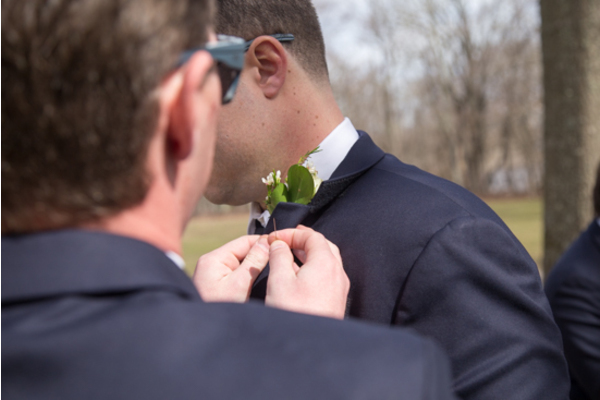 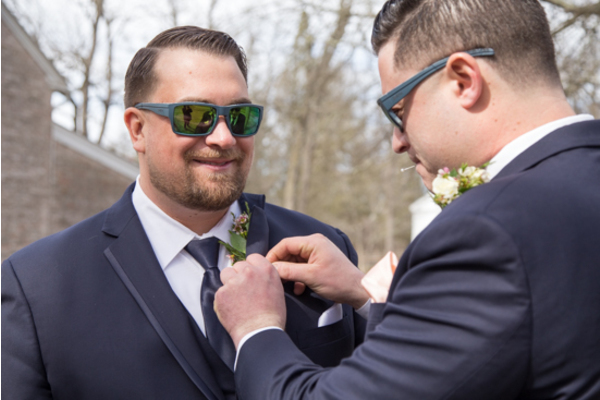 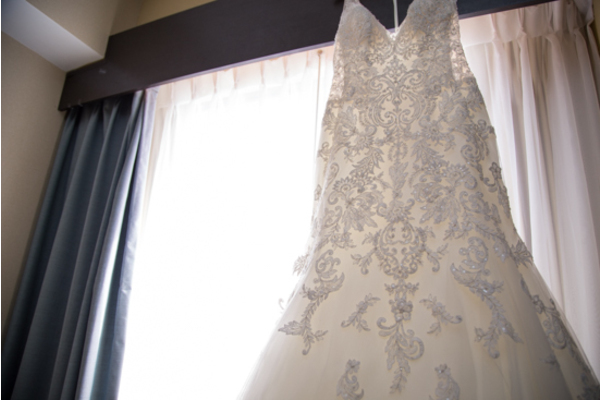 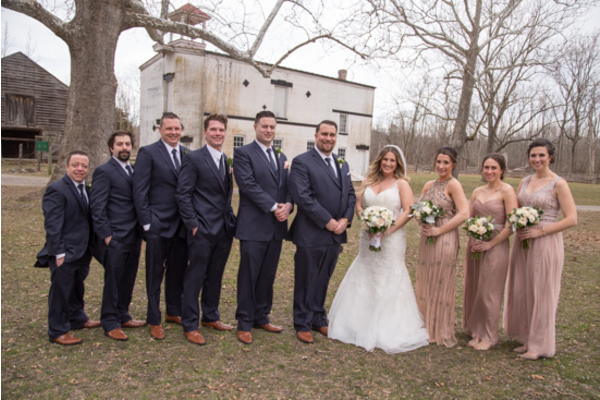 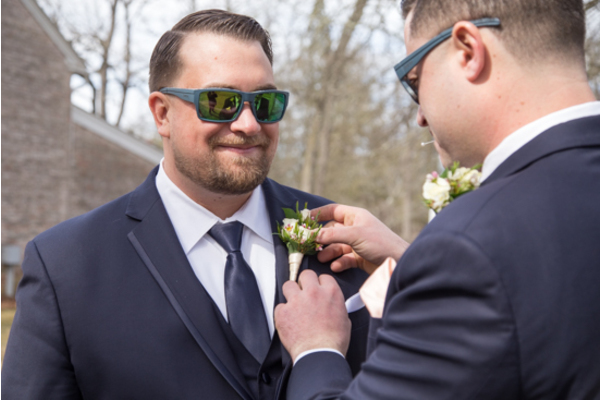 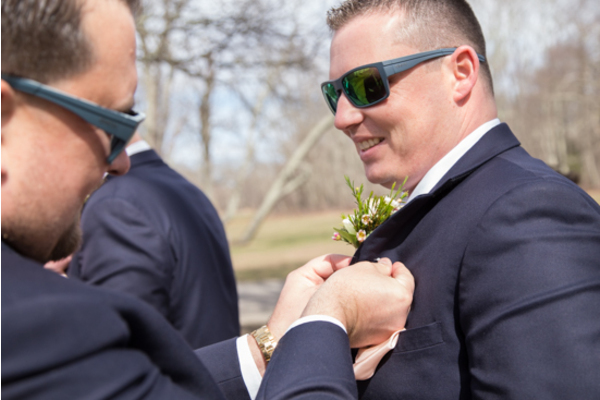 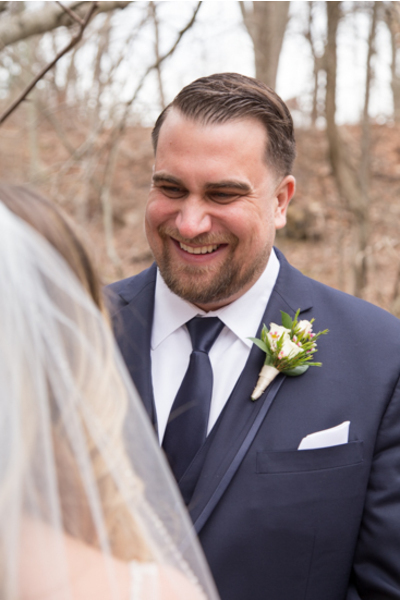 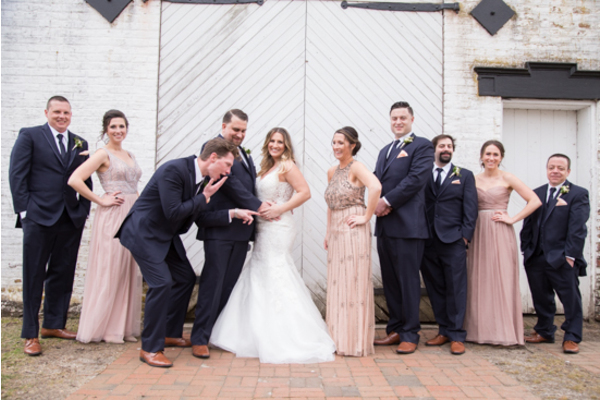 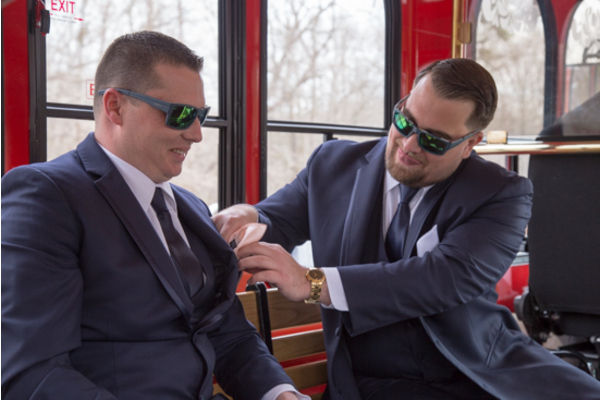 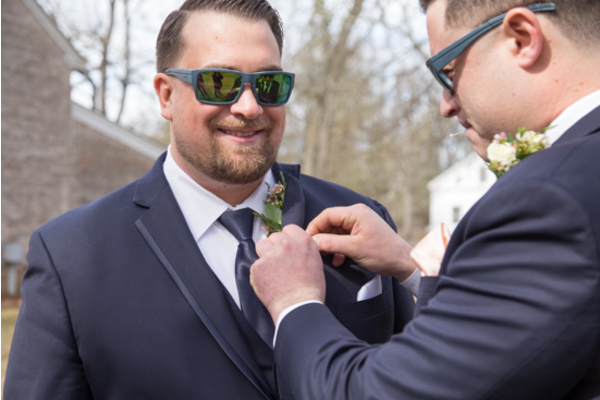 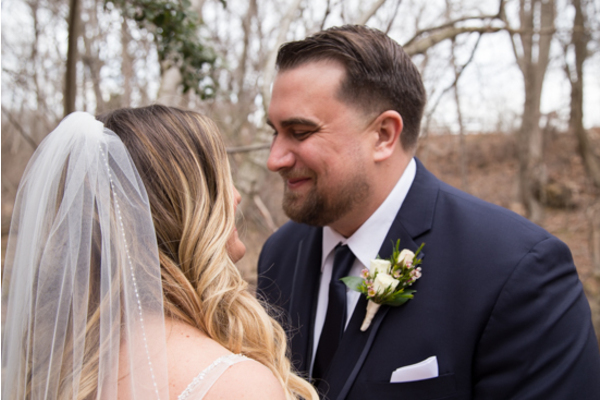 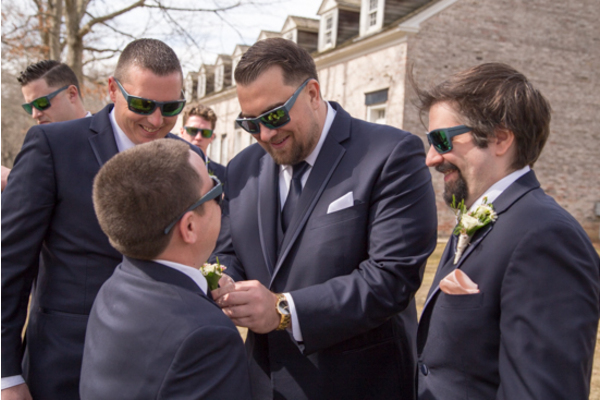 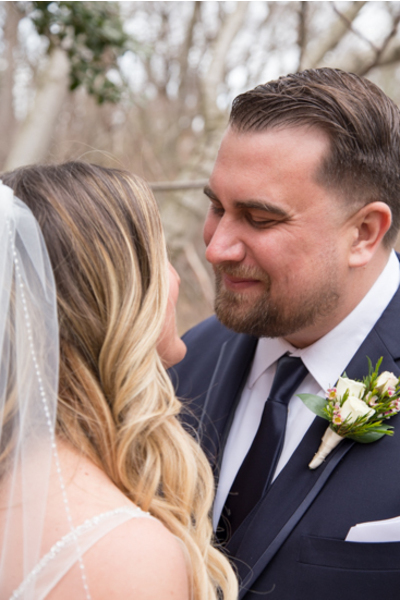 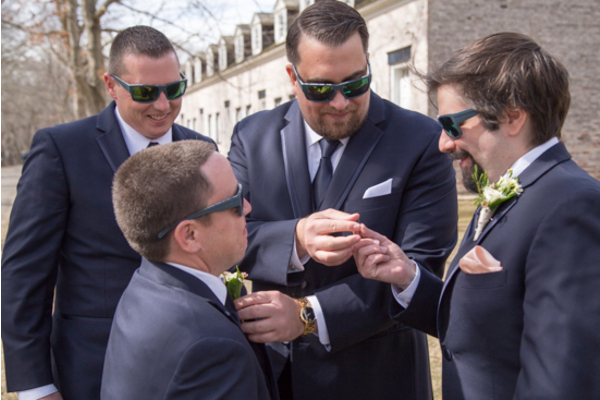 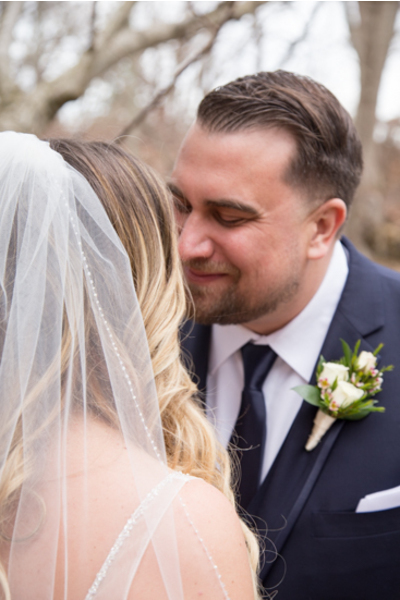 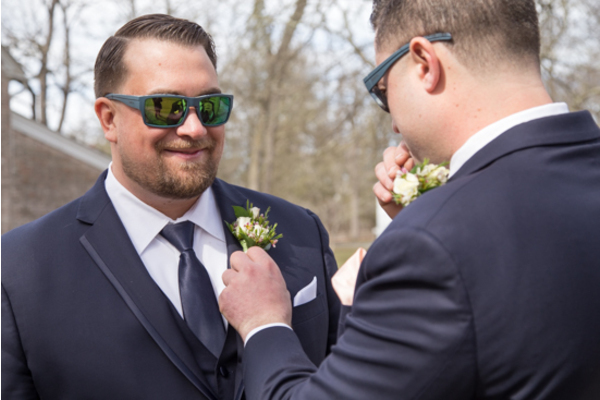 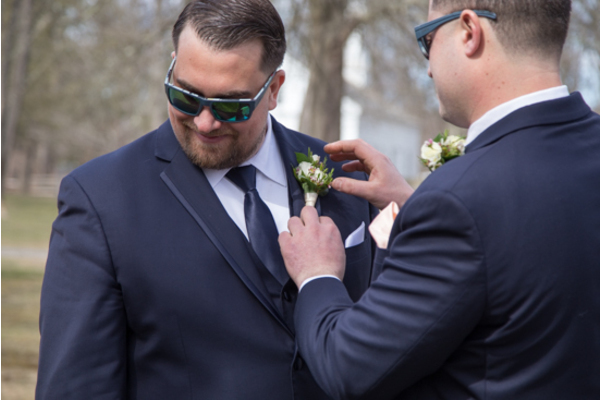 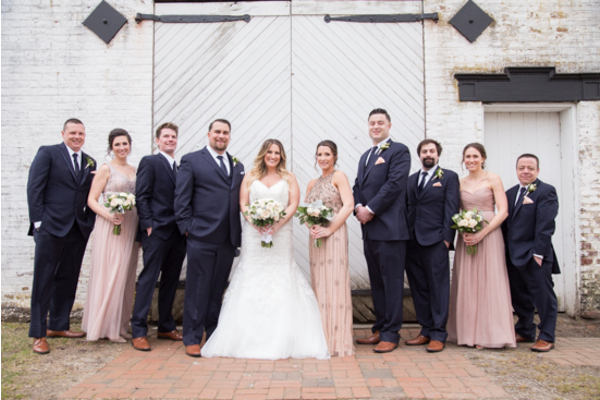 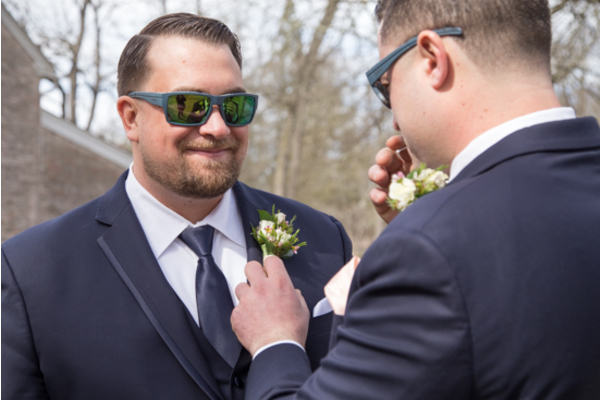 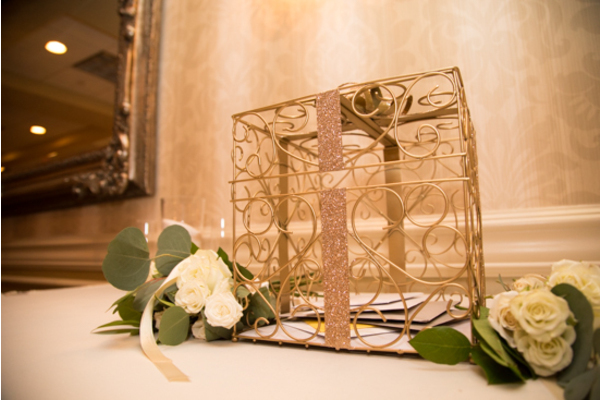 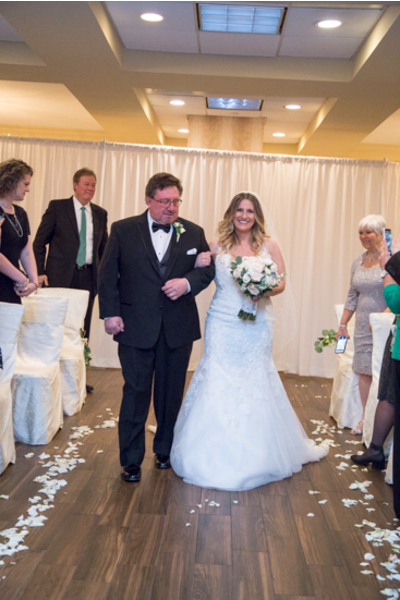 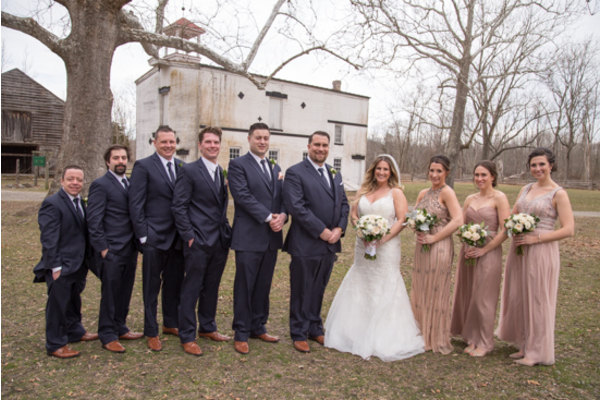 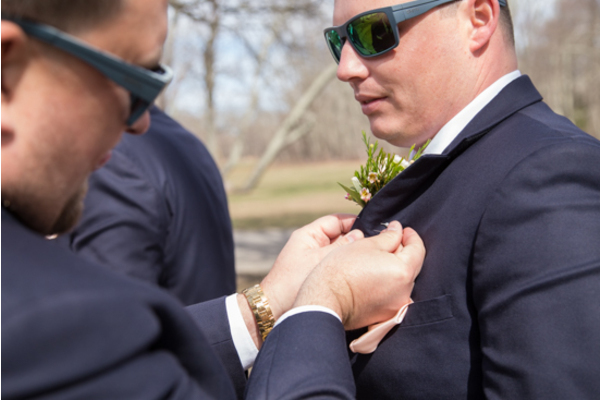 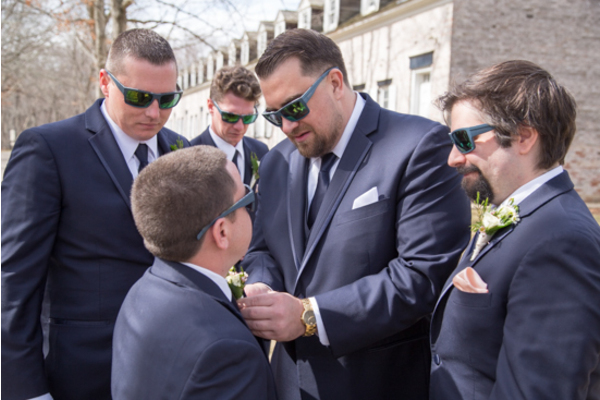 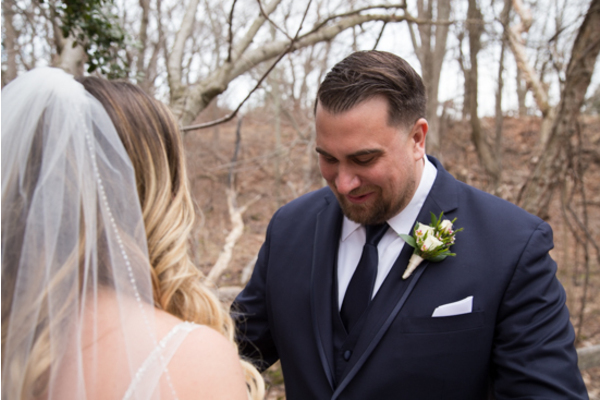 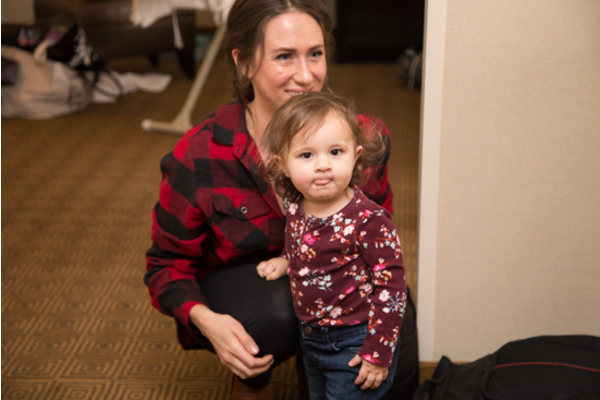 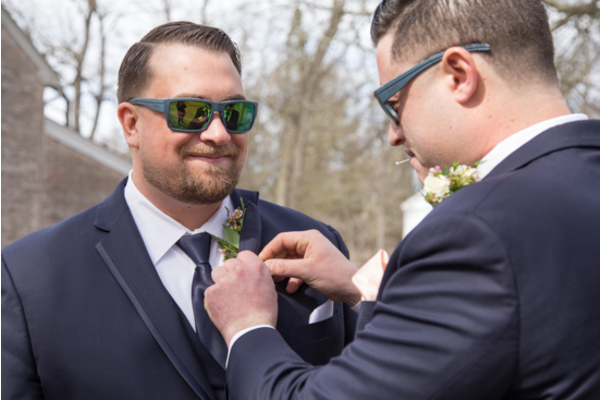 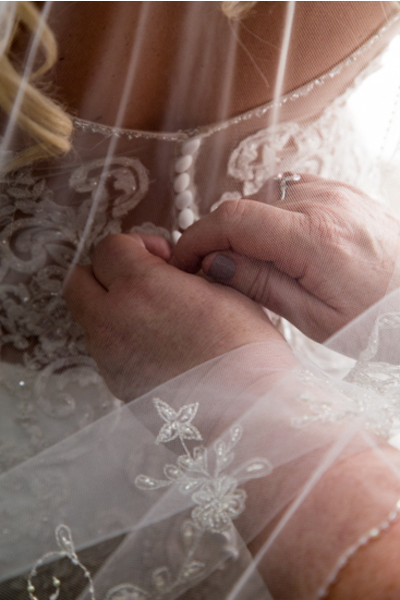 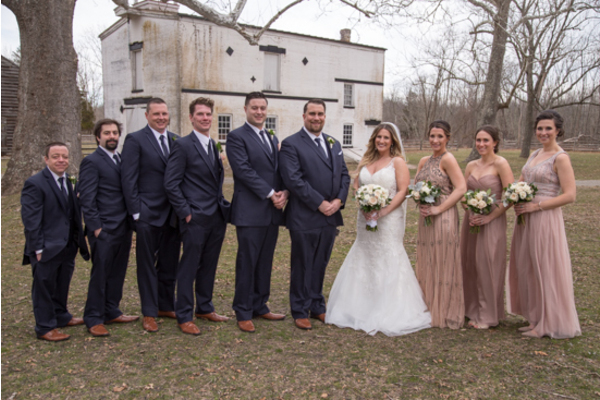 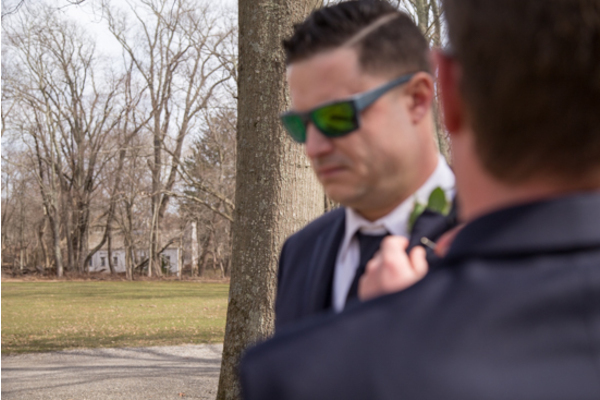 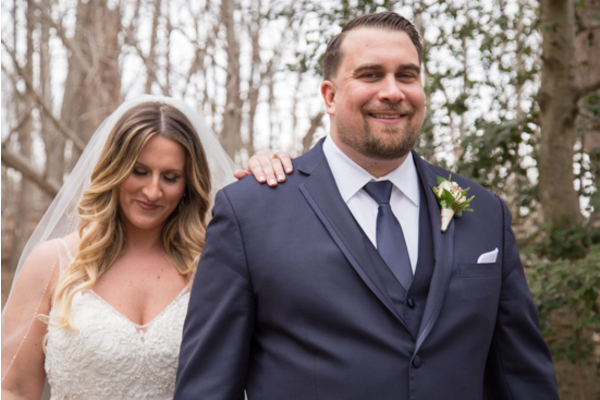 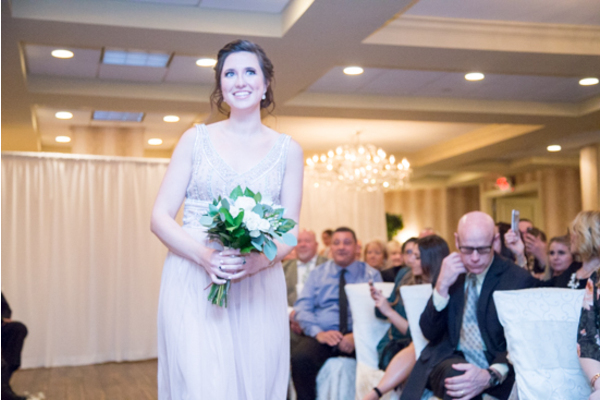 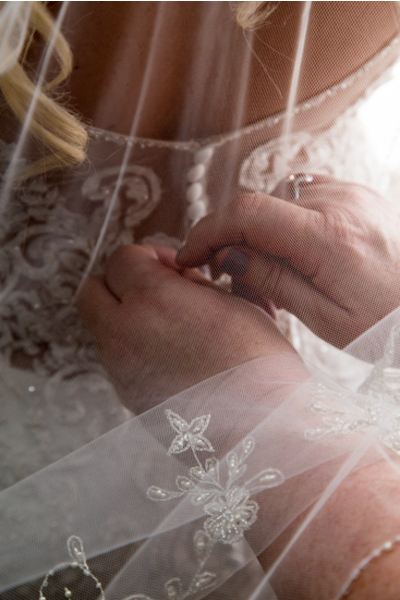 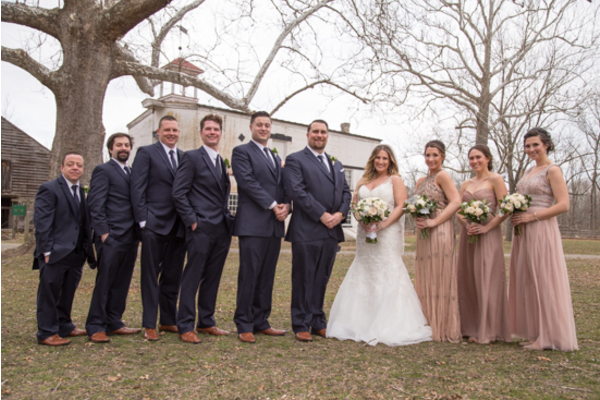 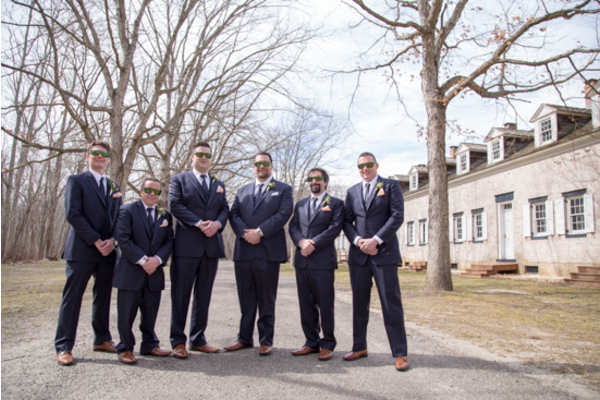 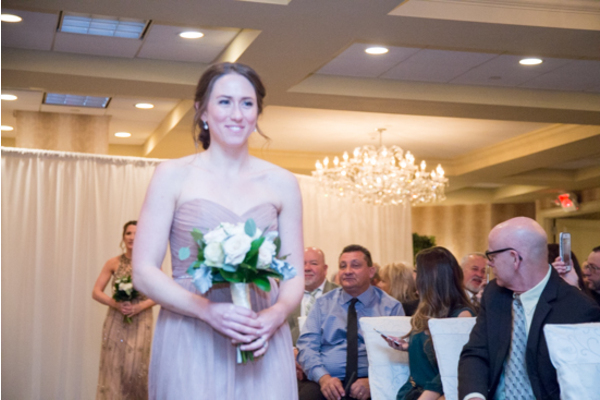 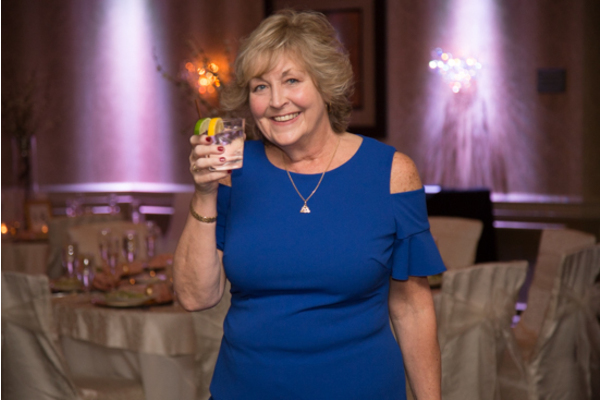 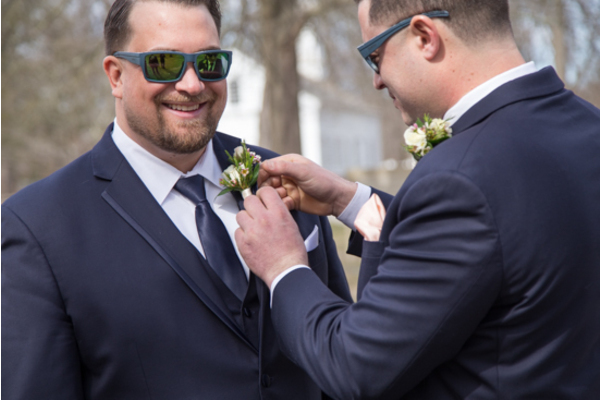 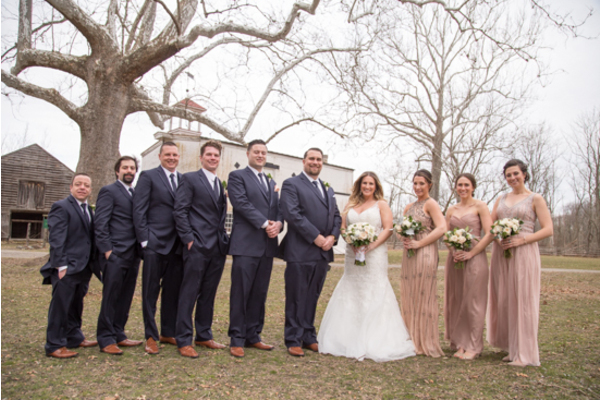 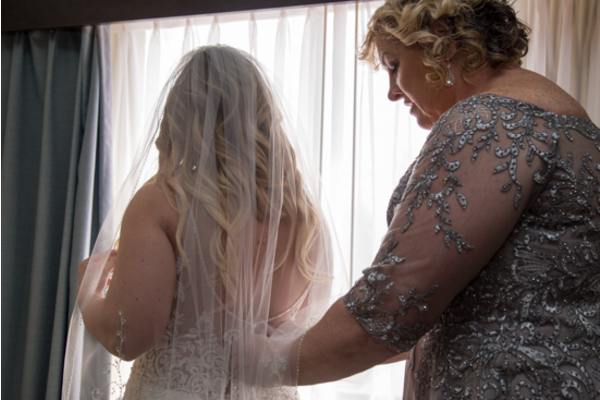 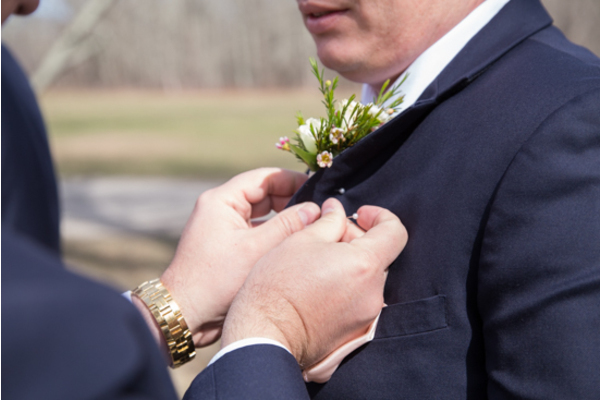 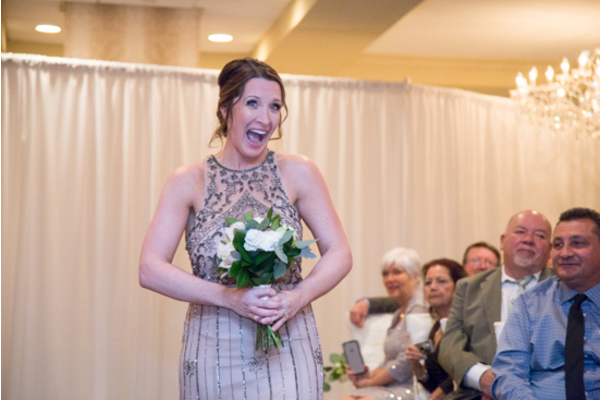 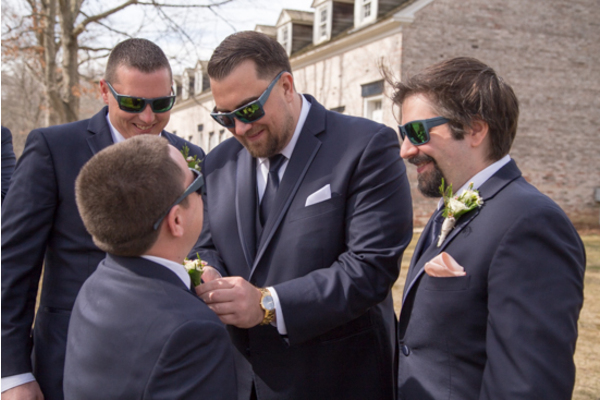 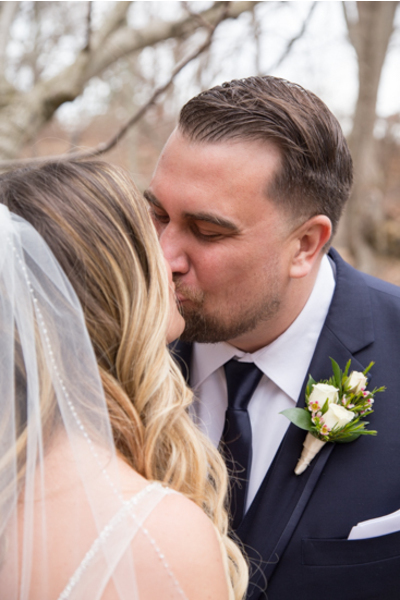 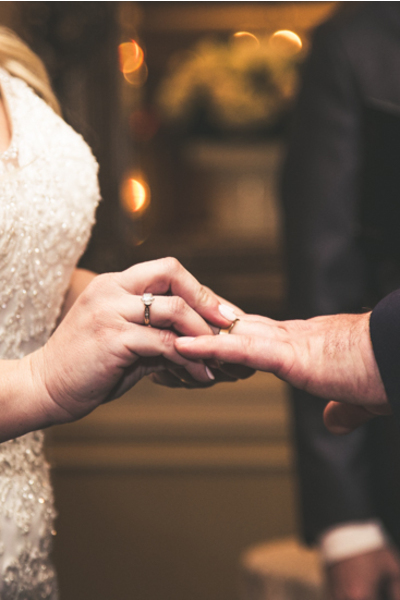 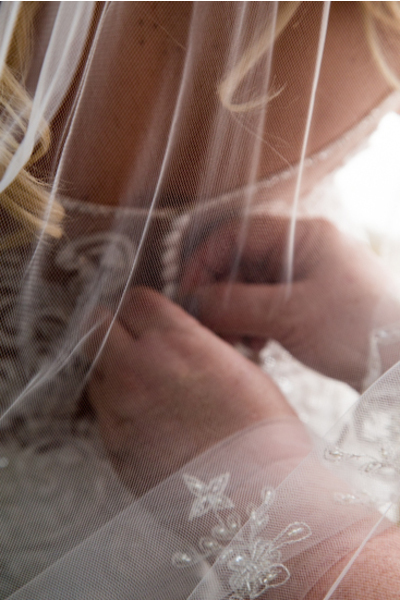 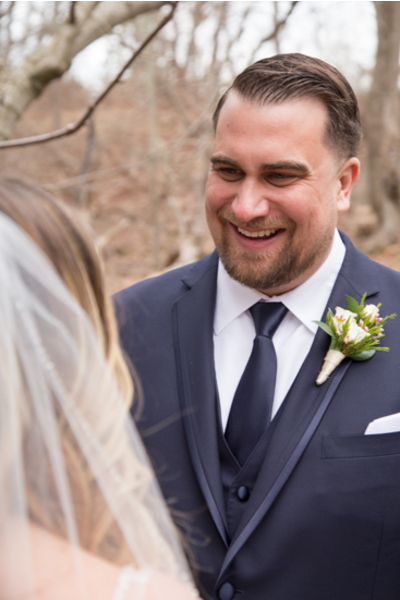 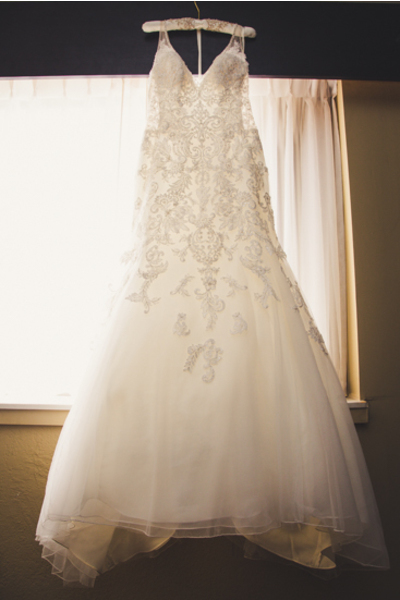 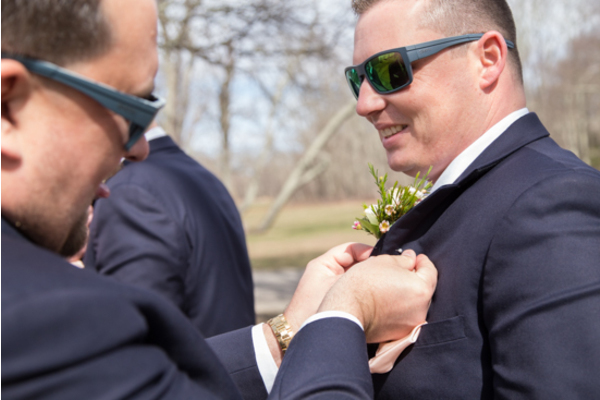 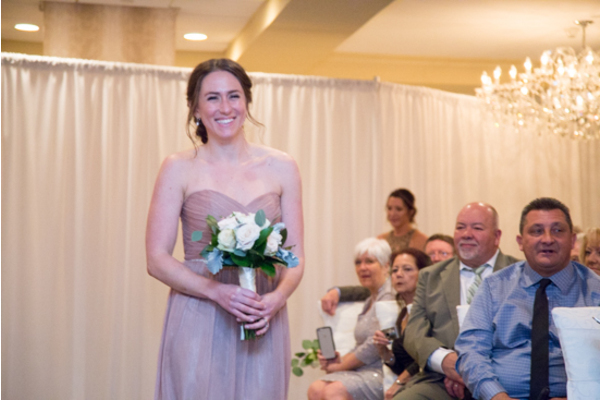 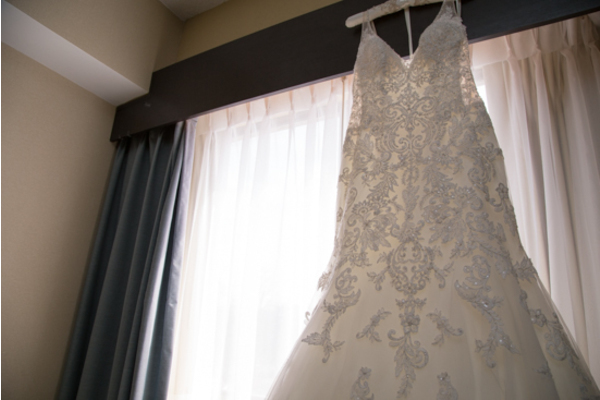 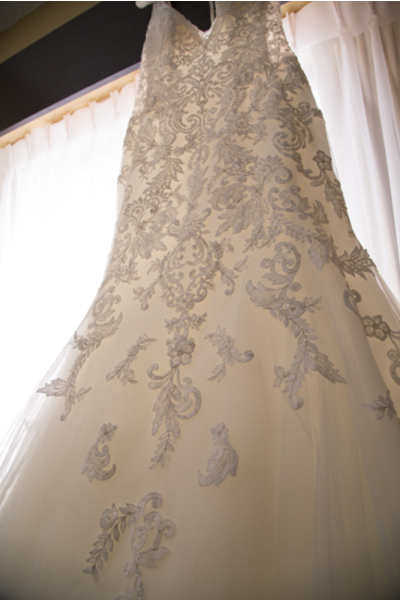 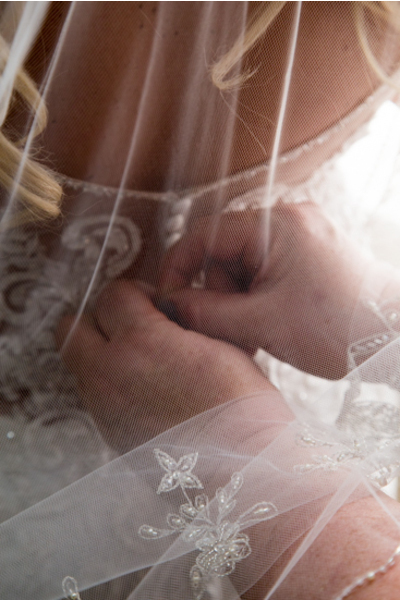 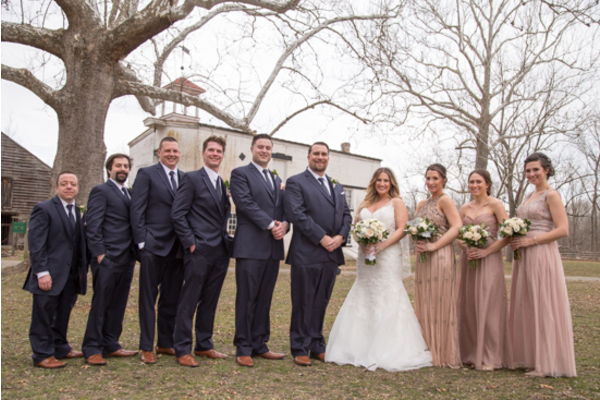 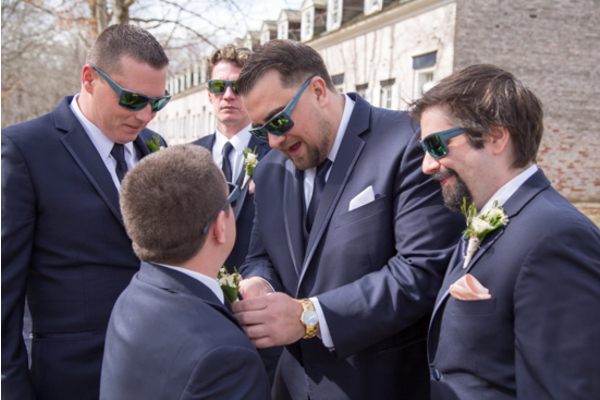 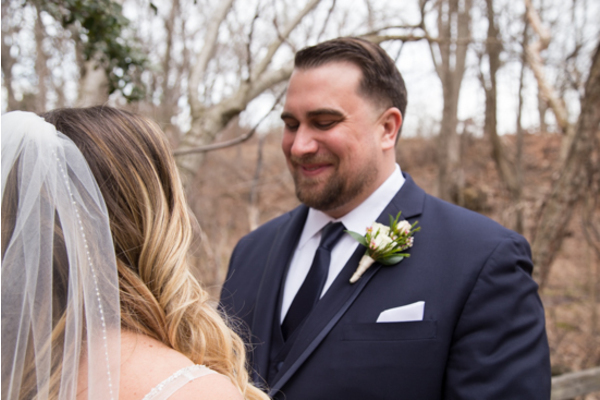 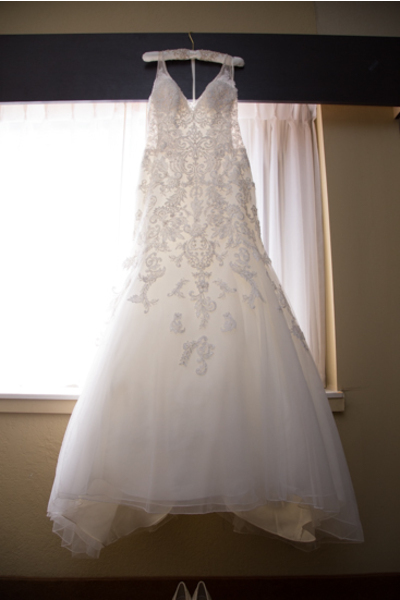 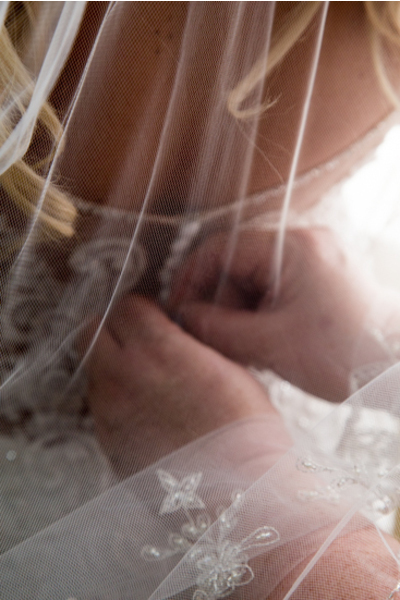 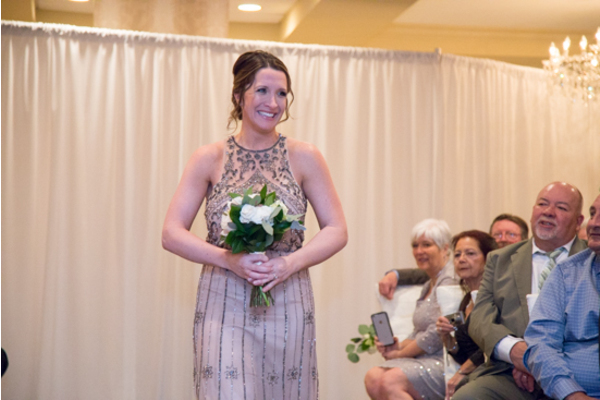 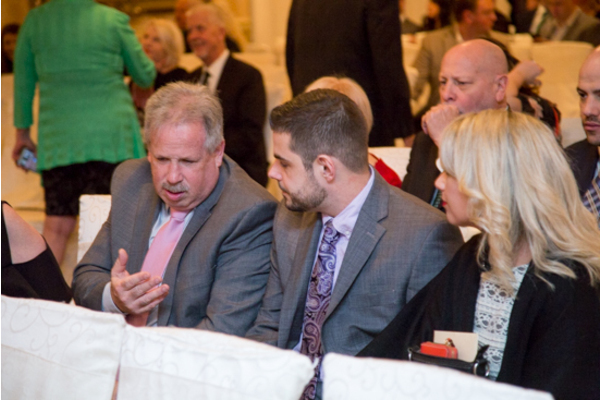 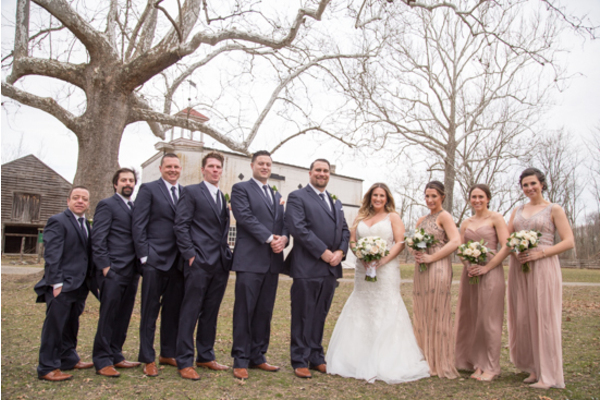 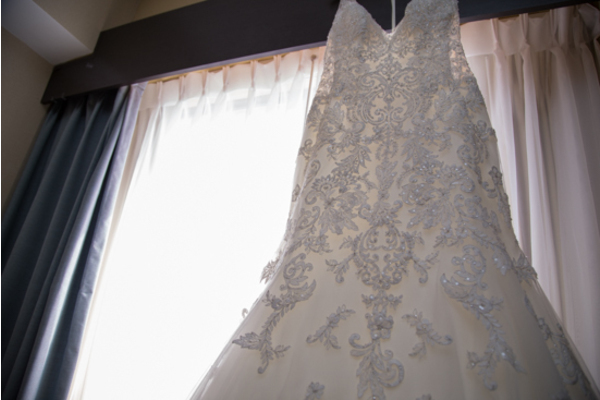 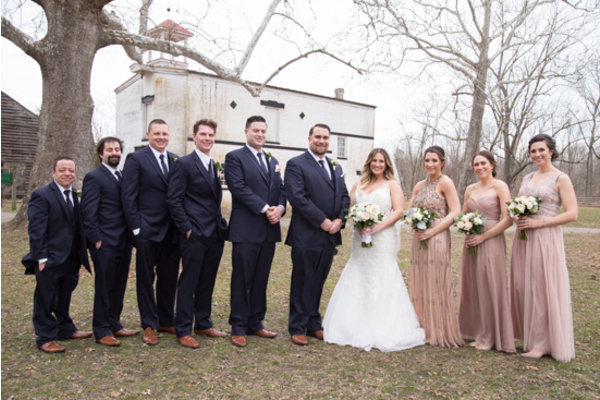 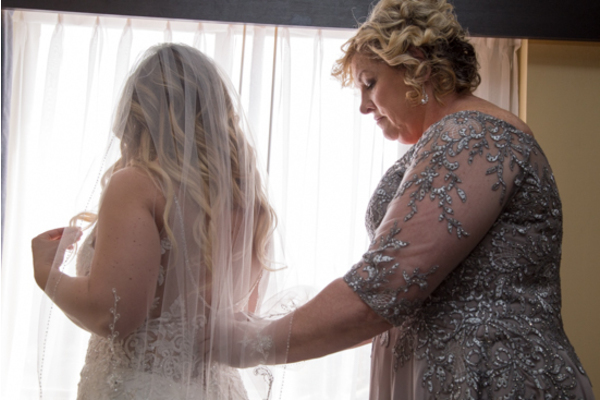 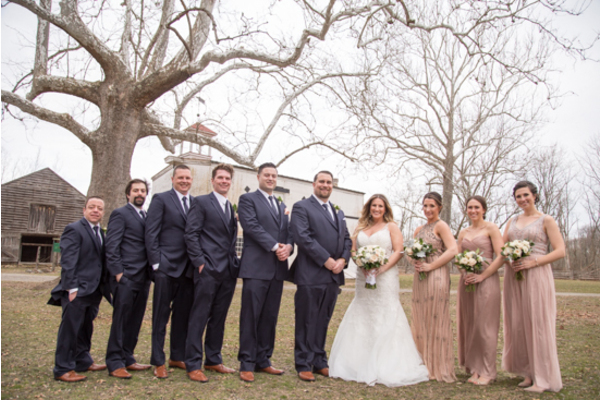 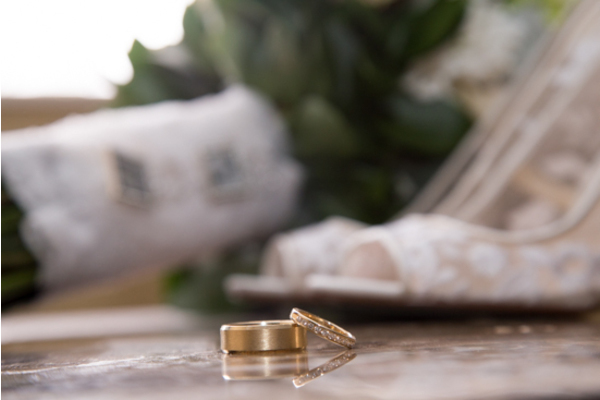 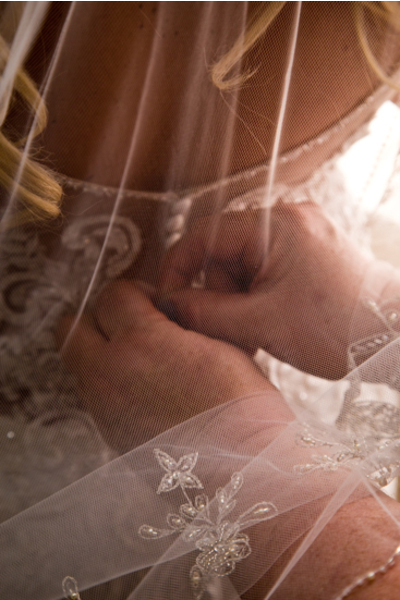 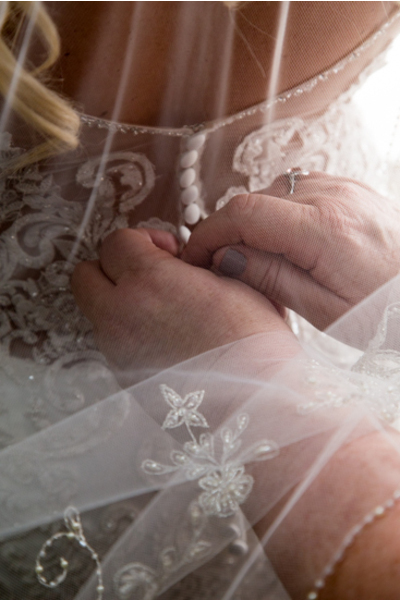 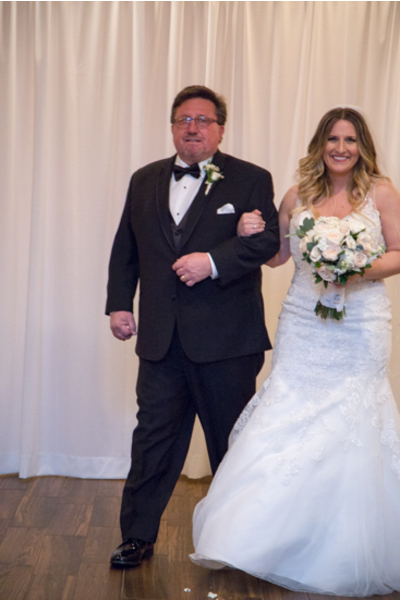 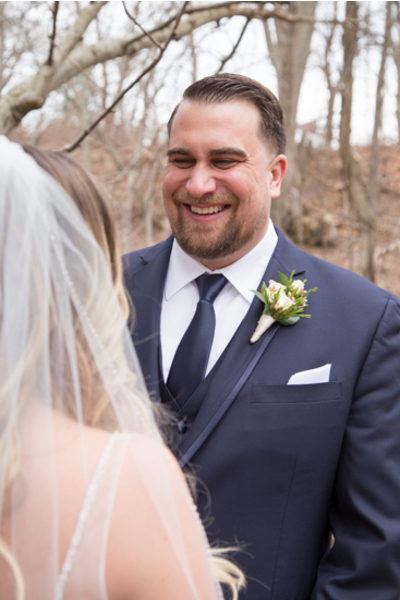 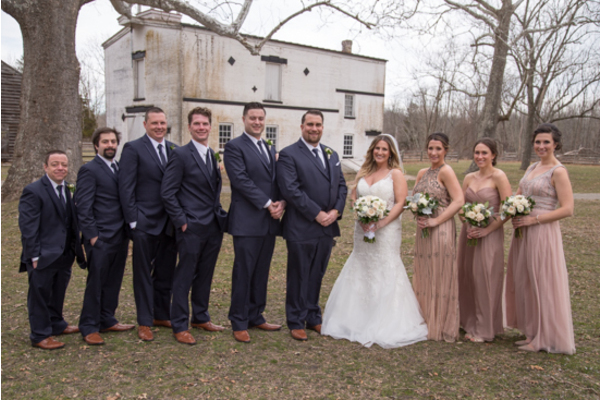 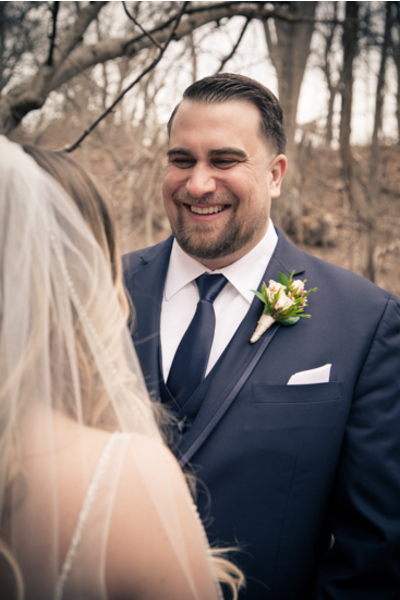 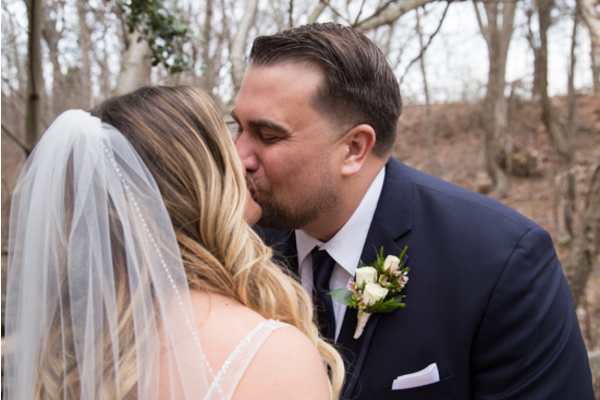 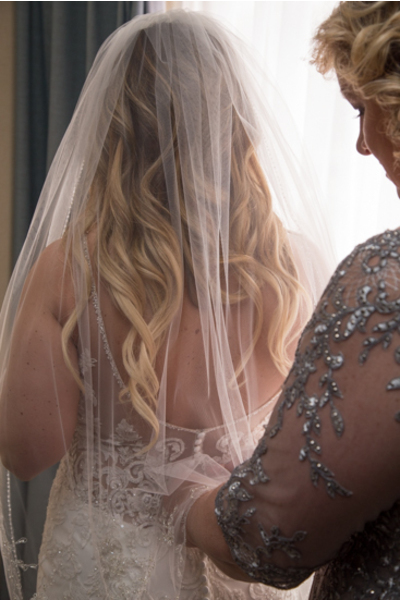 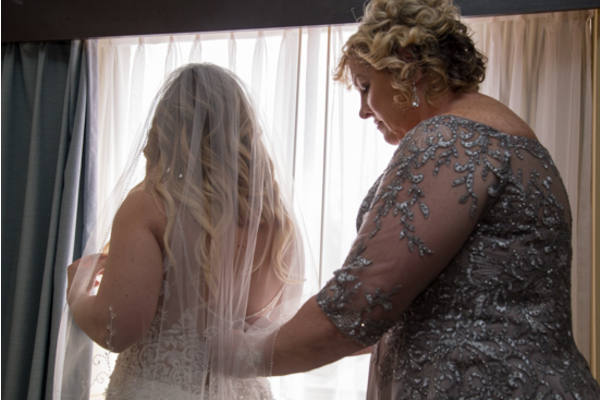 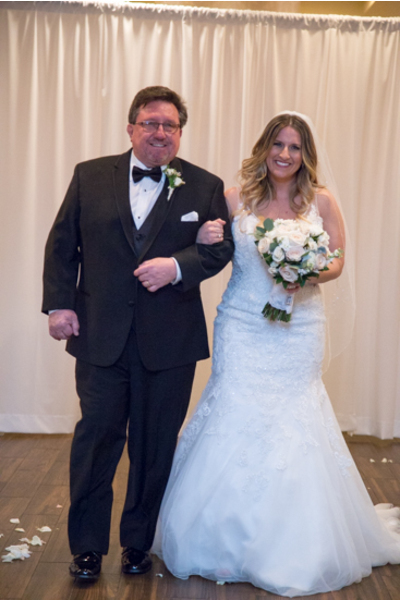 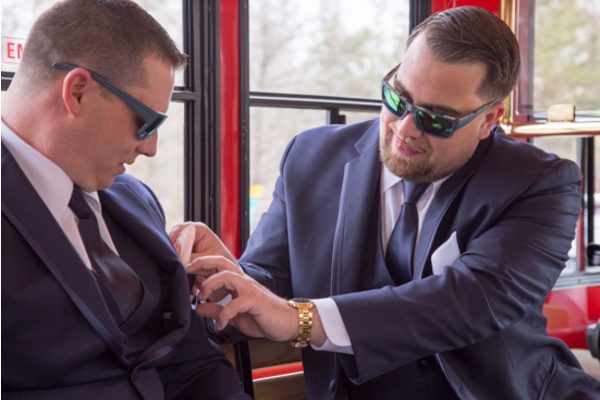 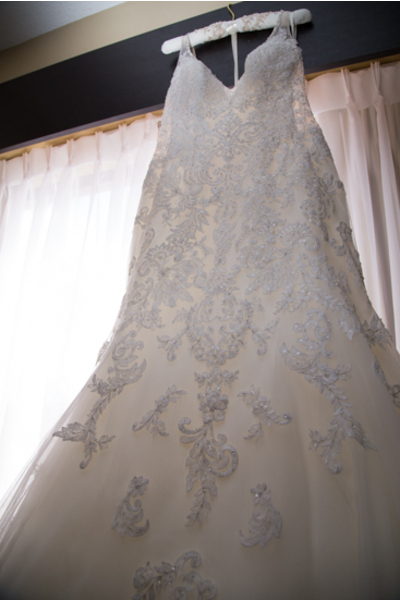 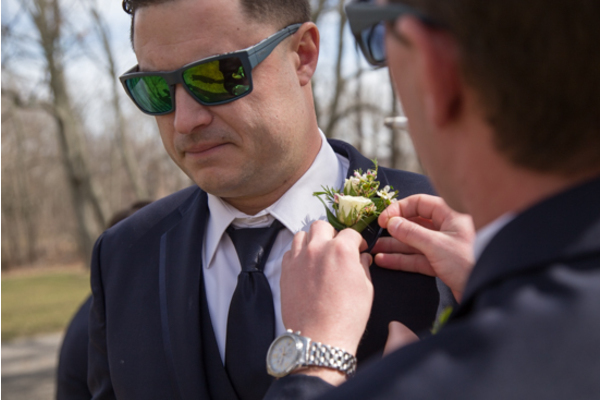 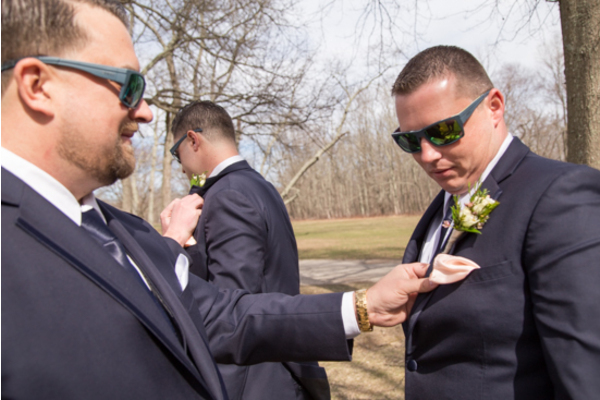 As Ali was putting her dress on and adding the finishing touches to her look, Sean was anticipating his first look at his bride dressed in white! 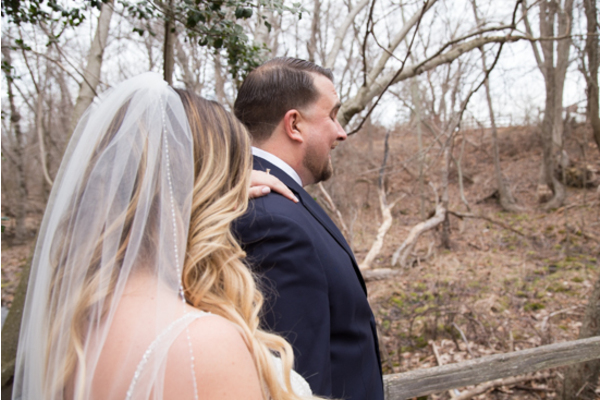 The bride and groom made their way down wooden steps outside to lock eyes. 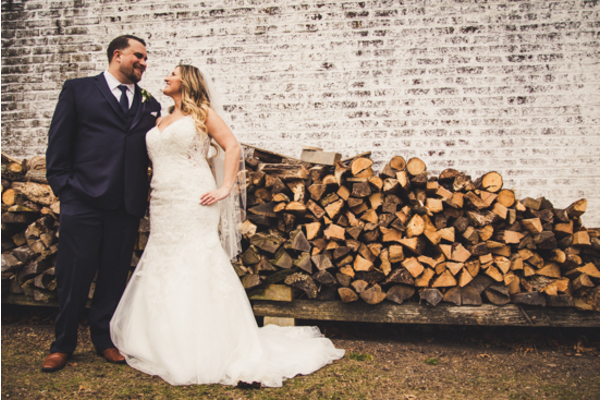 They posed for pictures surrounded by nature and rustic white wood backgrounds. 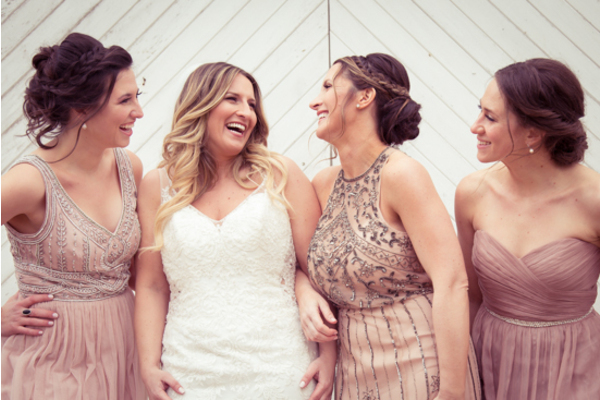 Ali and her three bridesmaids held their bouquets up in the air with shining smiles on their faces! 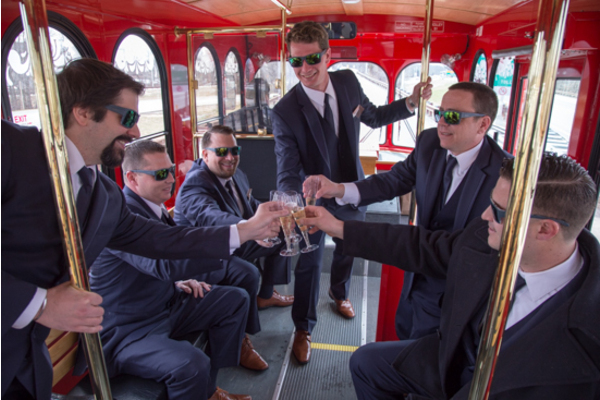 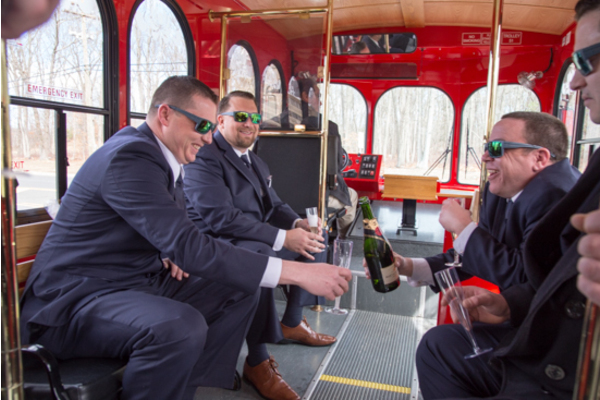 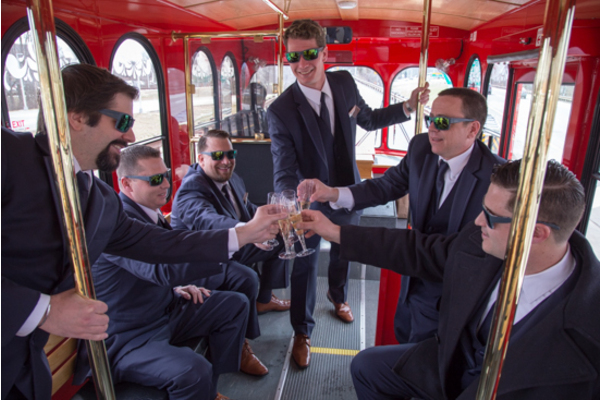 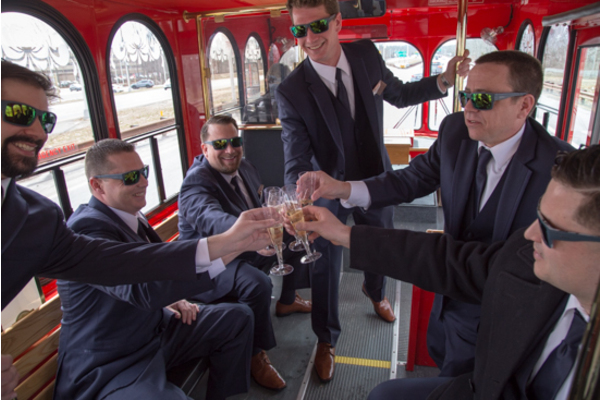 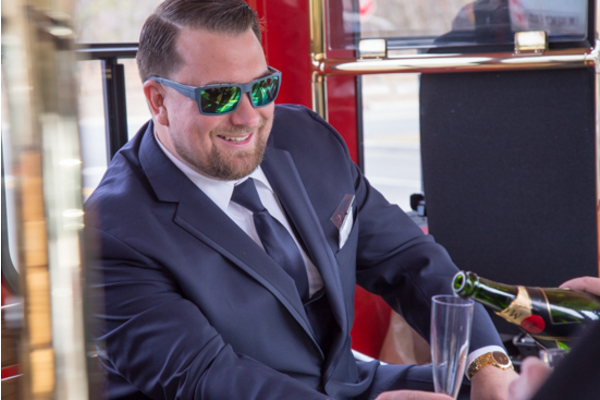 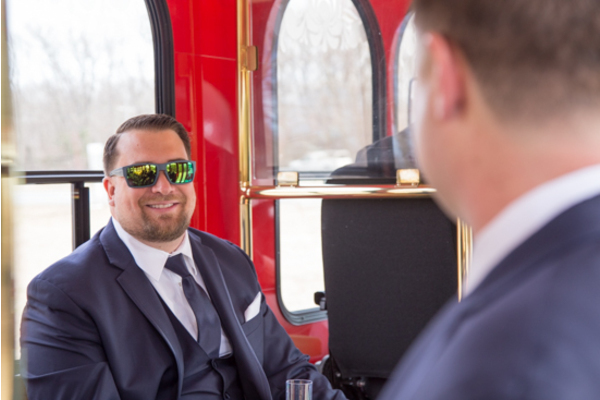 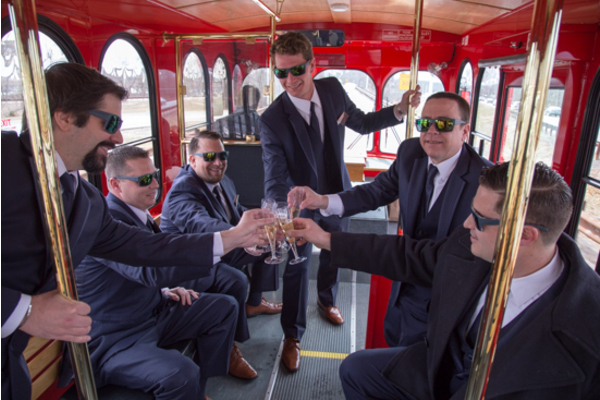 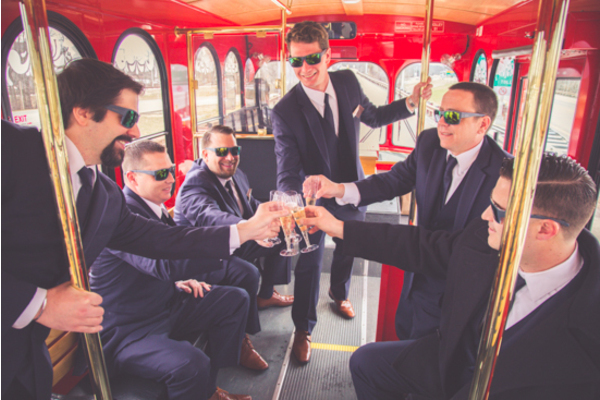 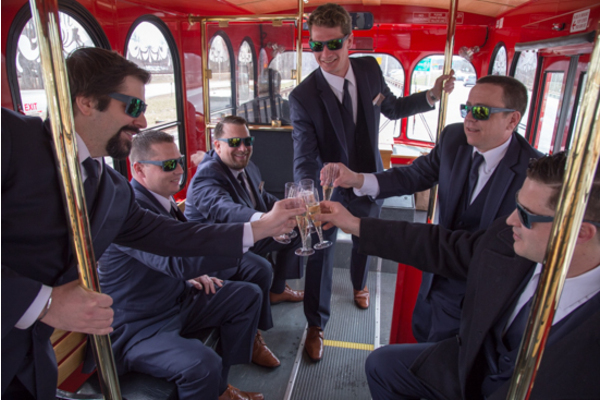 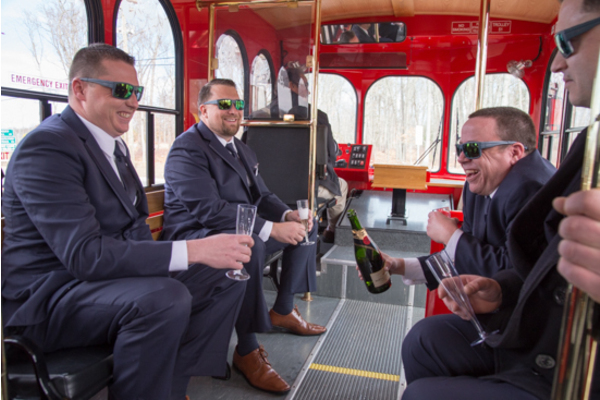 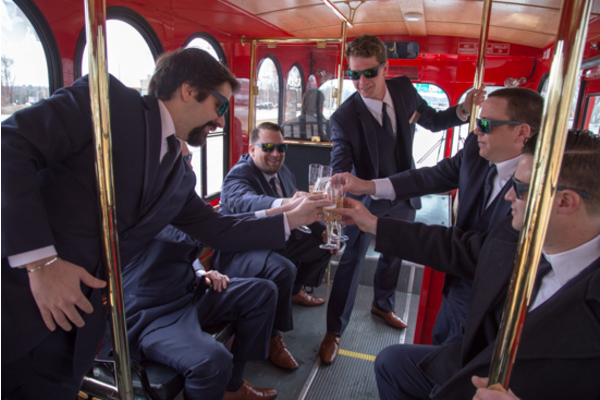 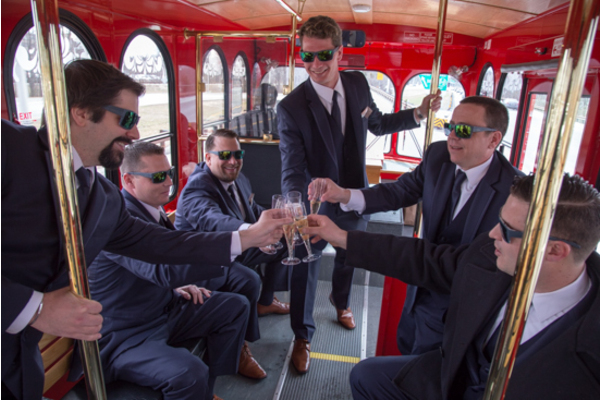 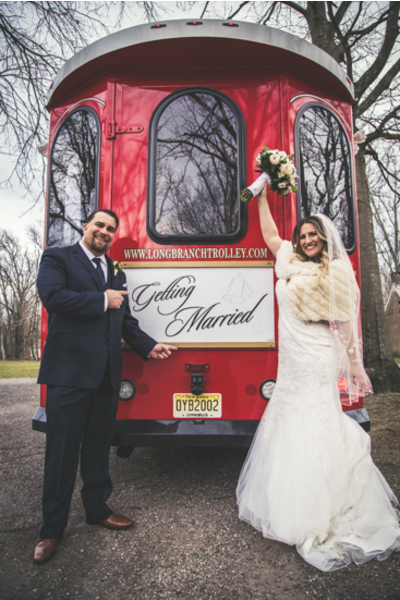 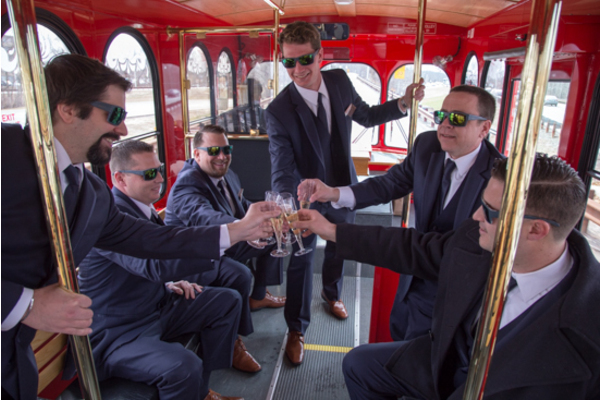 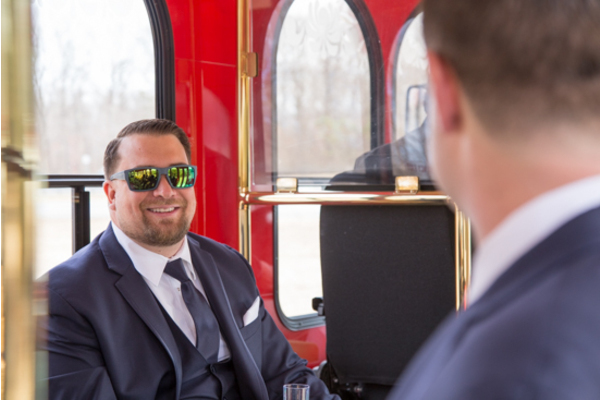 A bright cherry red trolley that read “Just Married” on the back was such a nice touch to photographs for a pop of color! 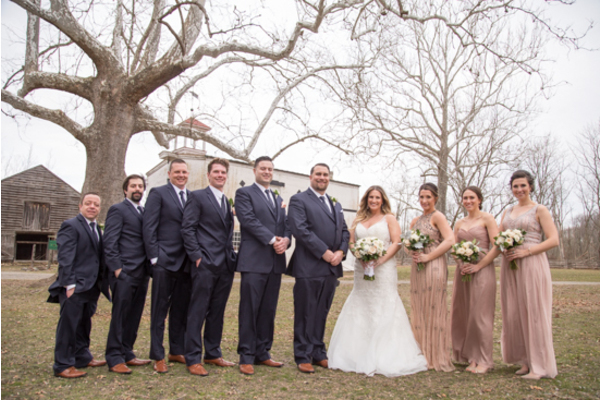 Following the portrait session, it was time for the lovebirds to officially tie the know gathered by their dear friends and family. 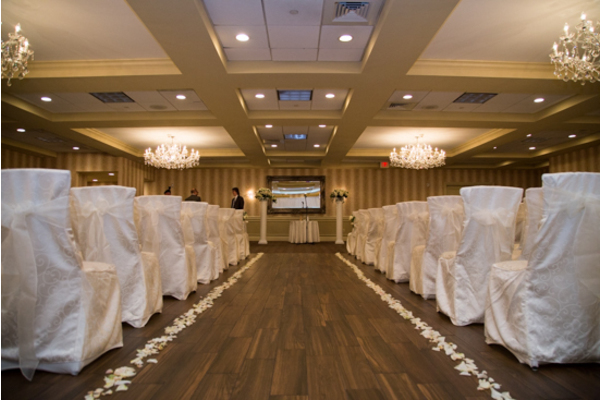 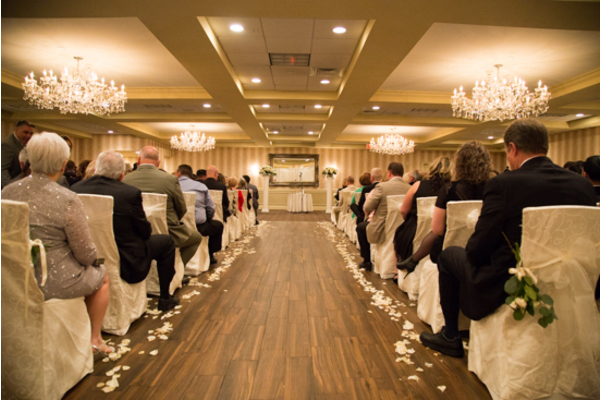 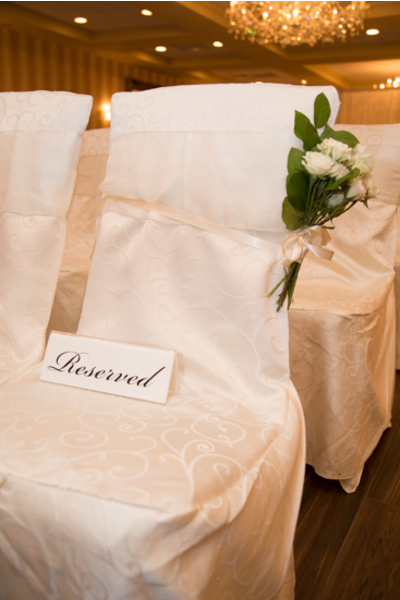 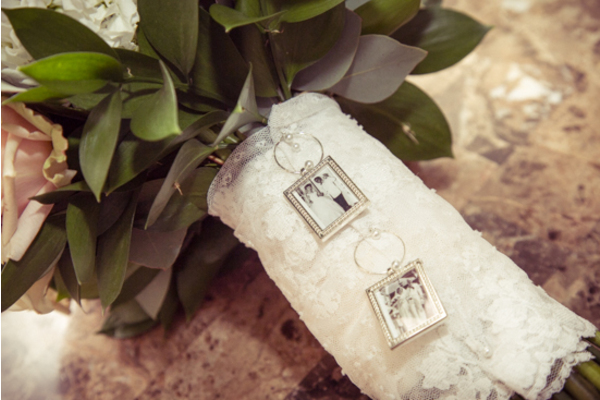 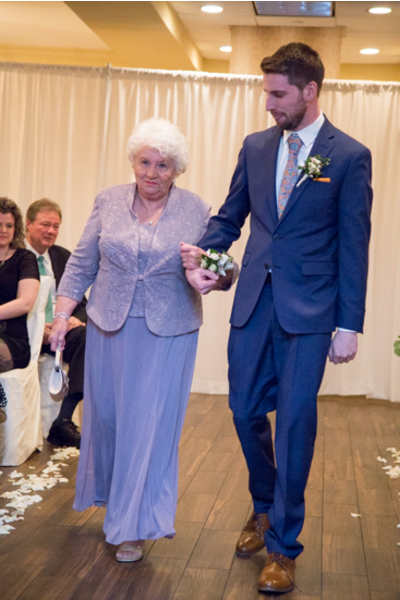 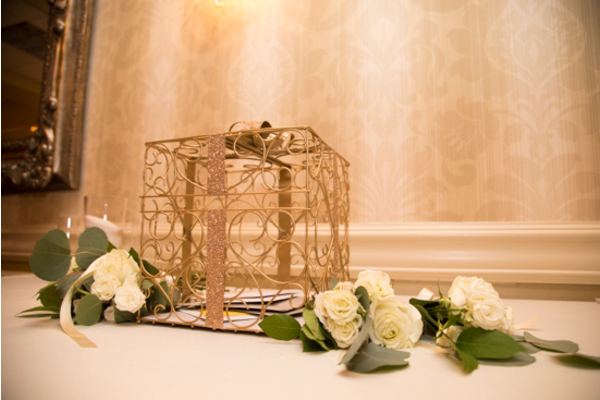 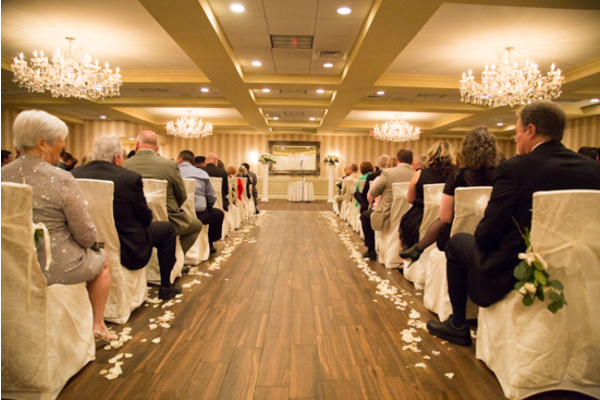 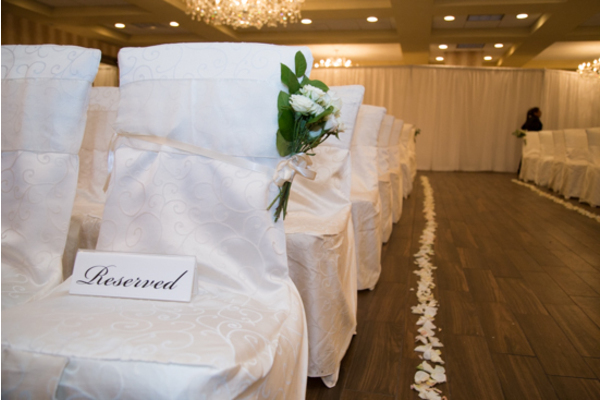 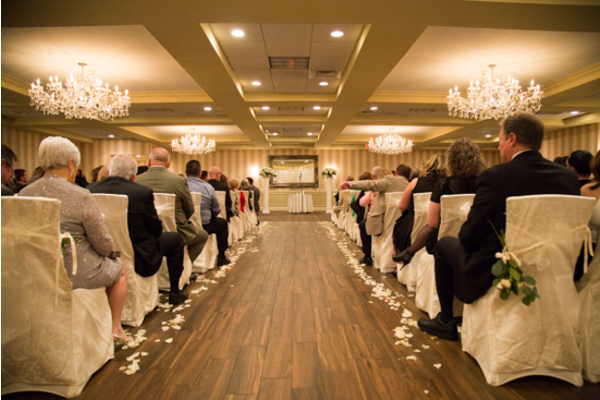 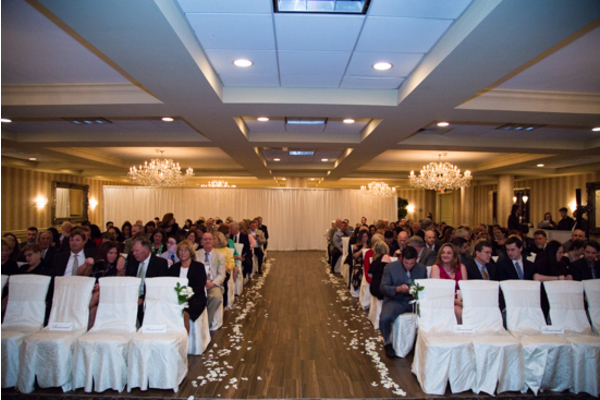 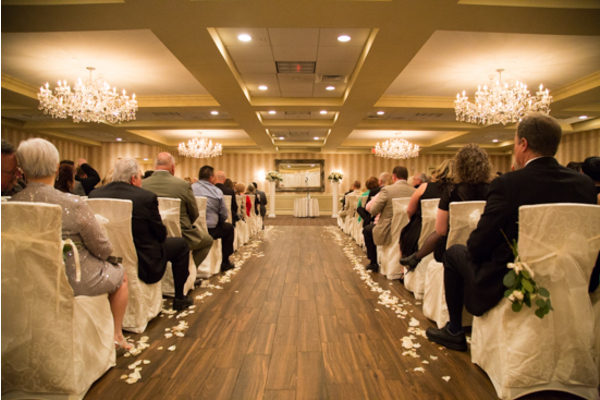 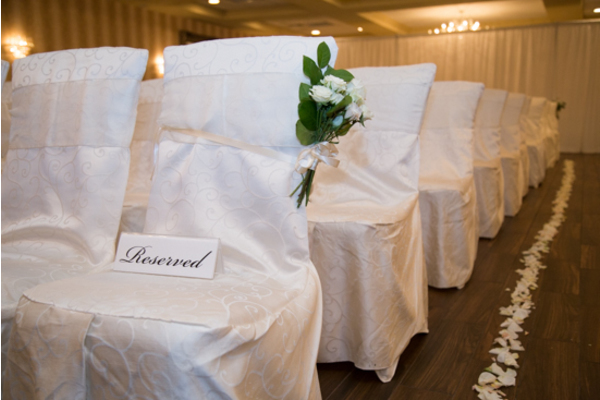 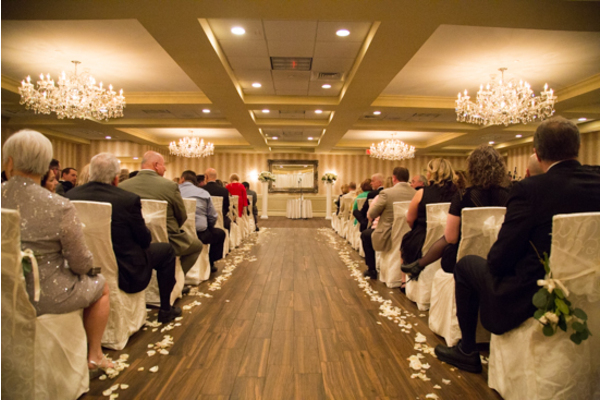 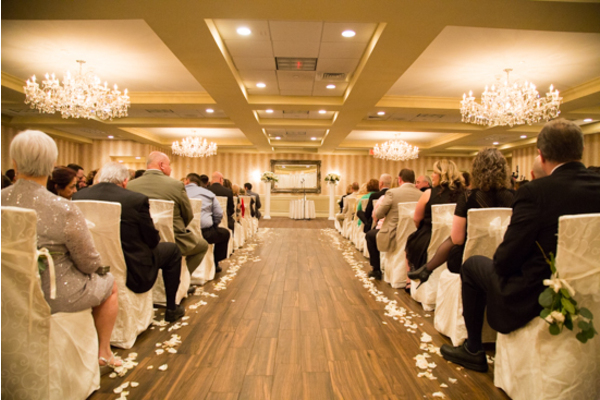 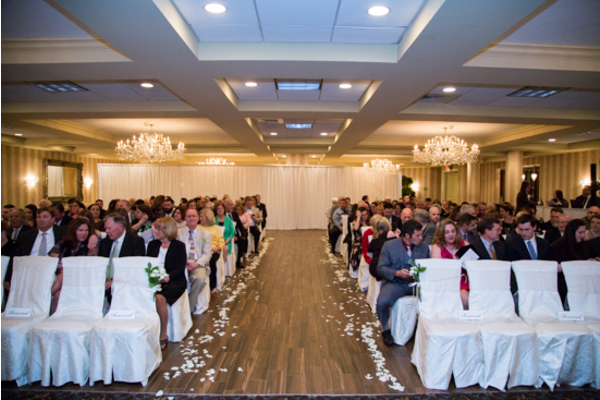 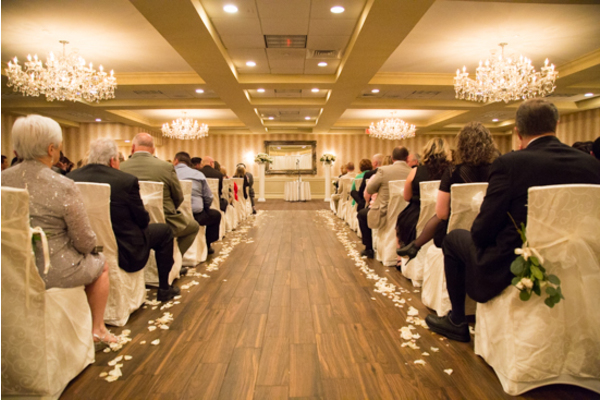 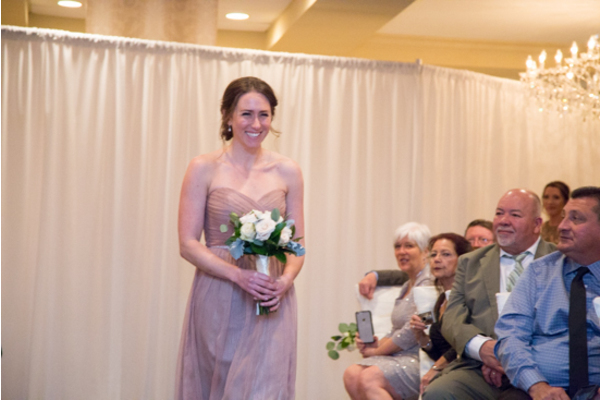 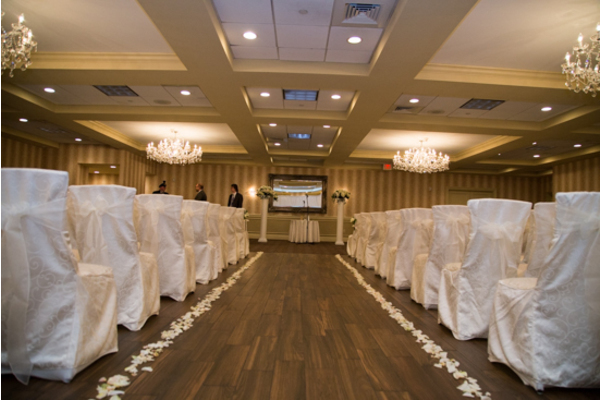 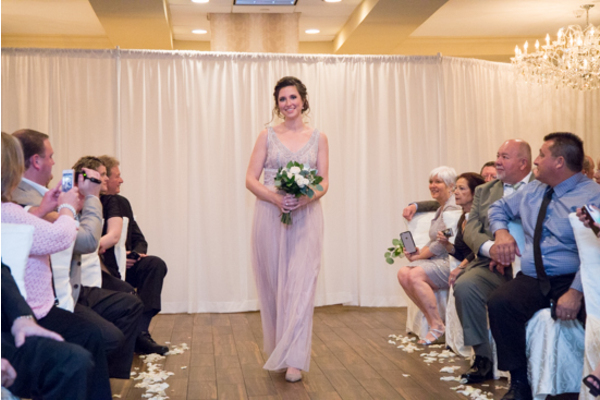 The ceremony chairs were dressed in a stunning white sheet and the aisle was graced with white flower petals. 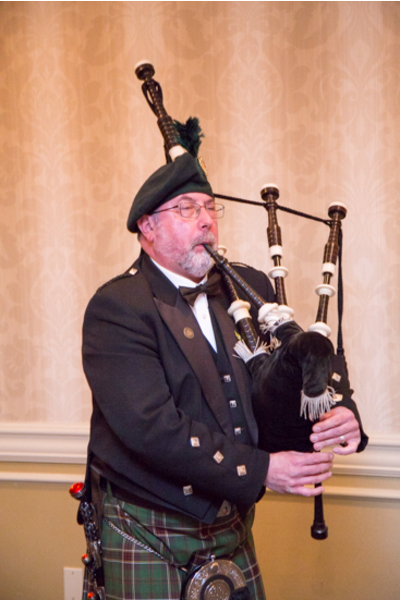 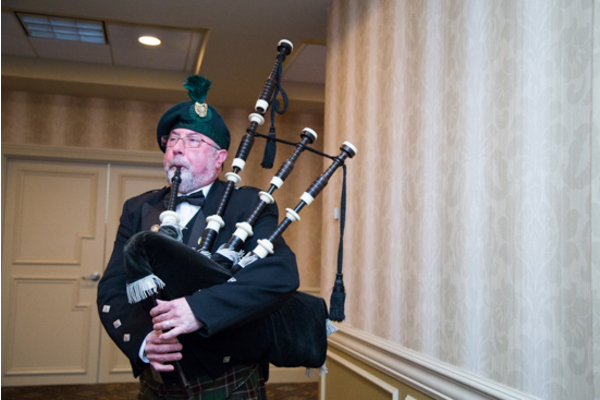 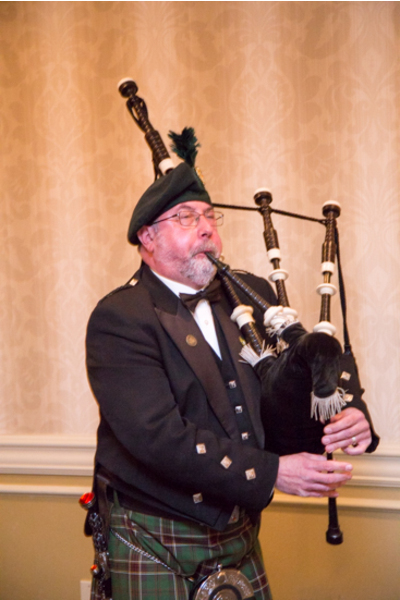 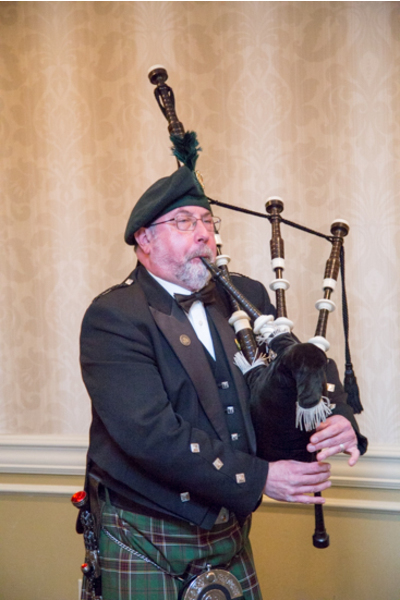 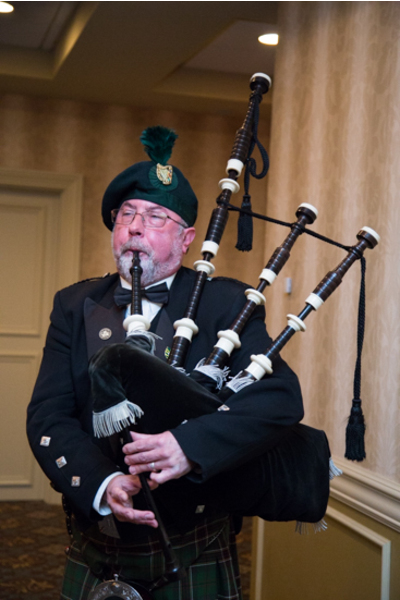 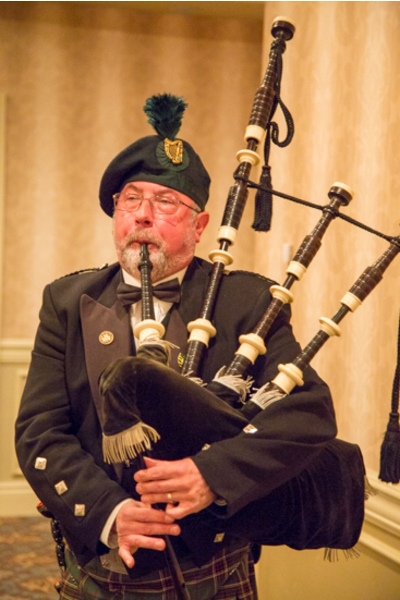 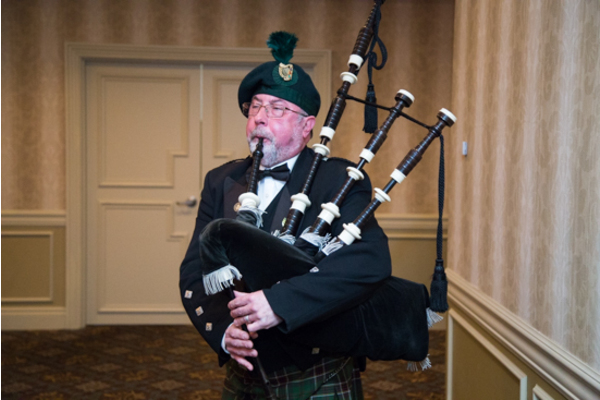 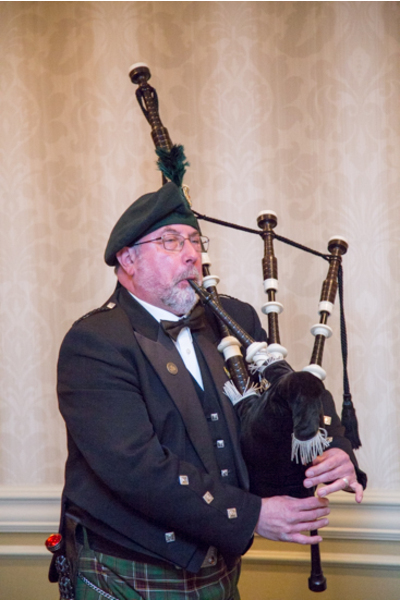 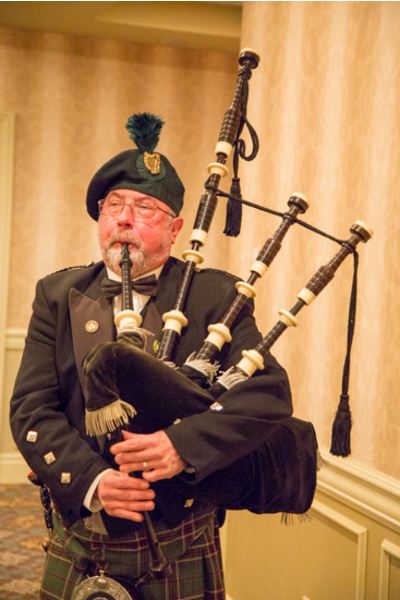 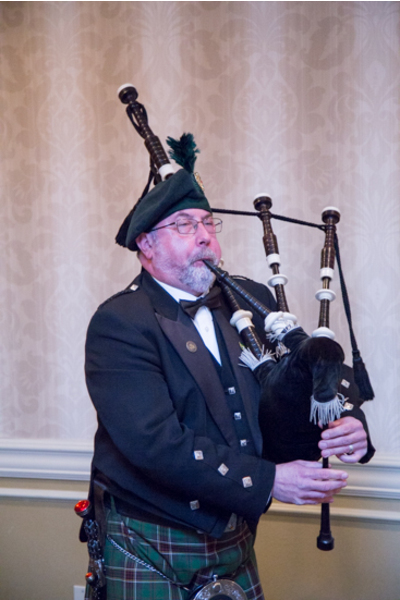 A Scotsmen playing his bagpipe started off the ceremony festivities. 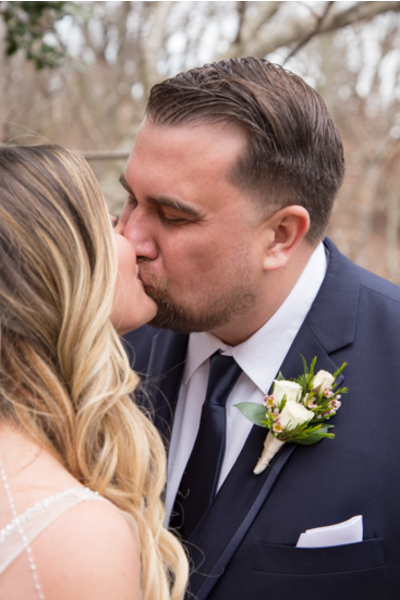 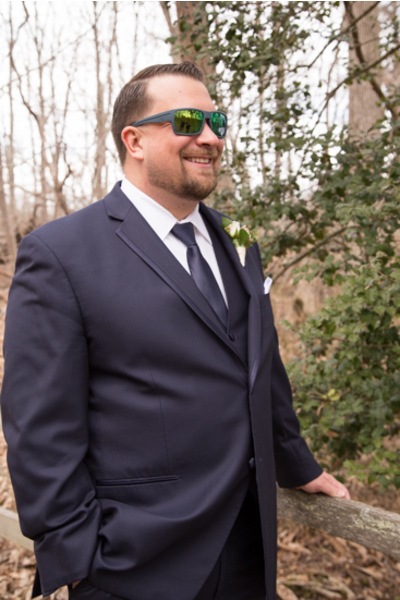 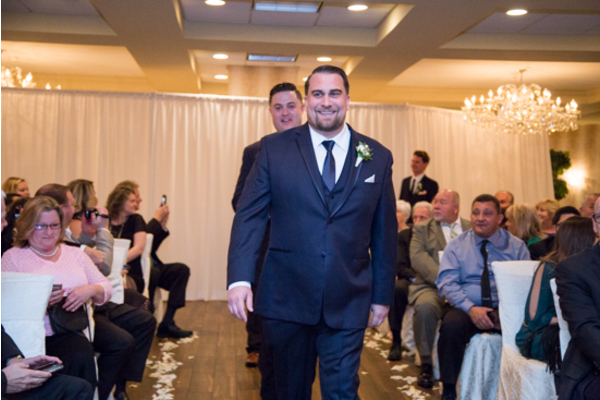 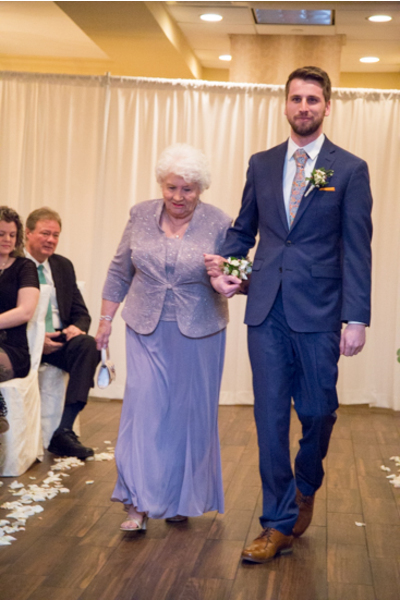 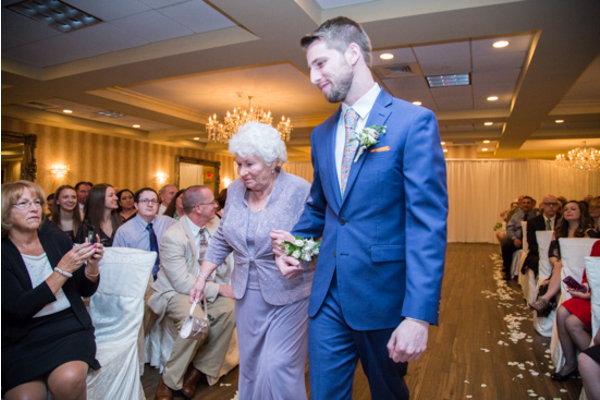 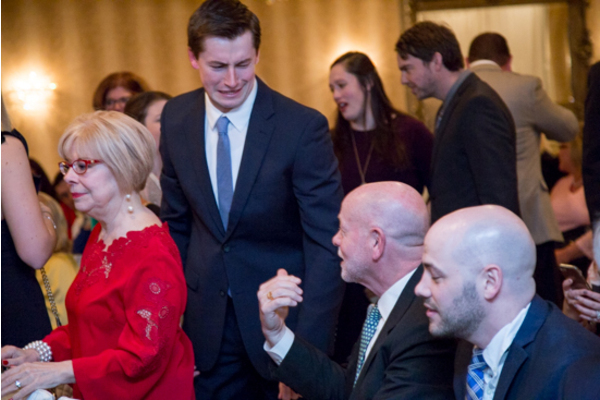 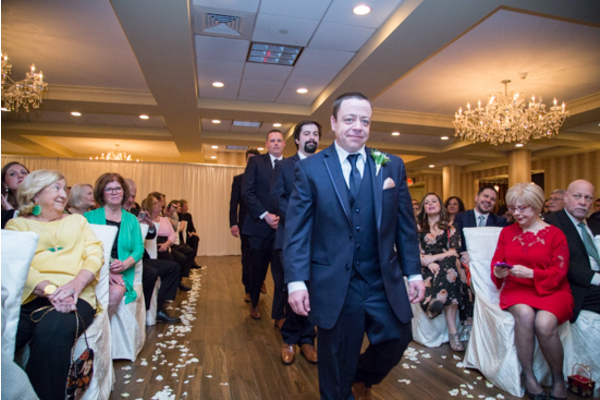 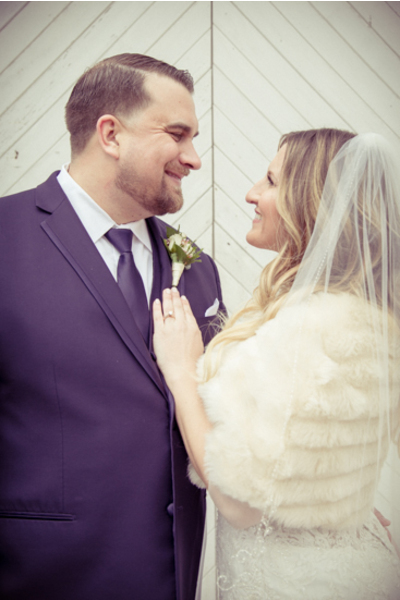 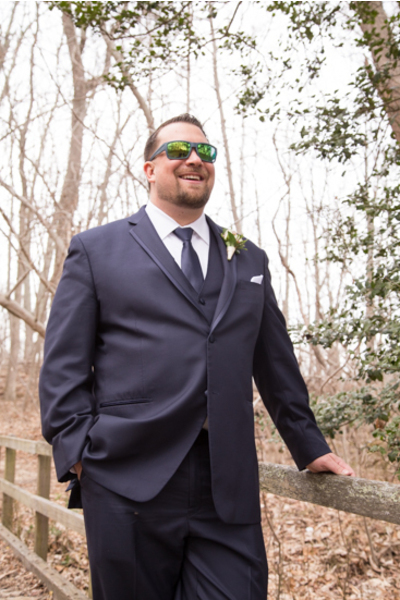 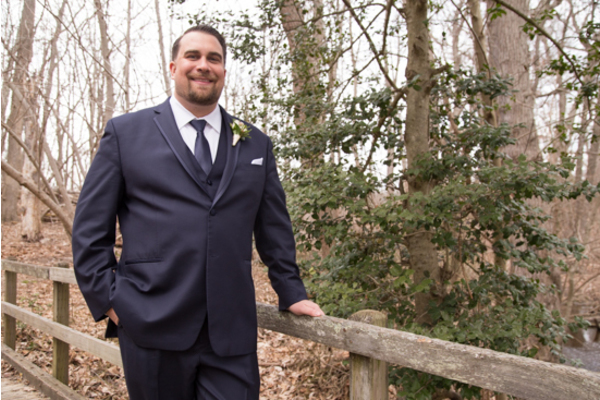 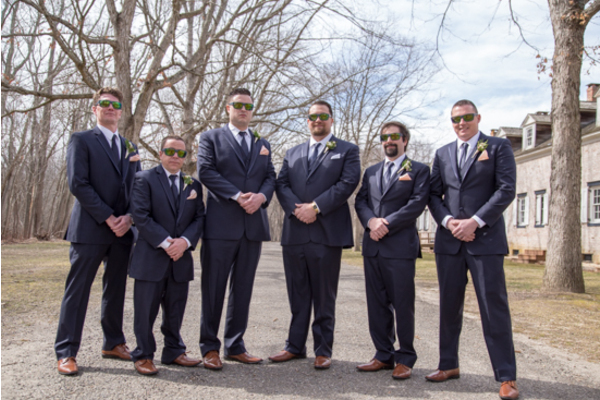 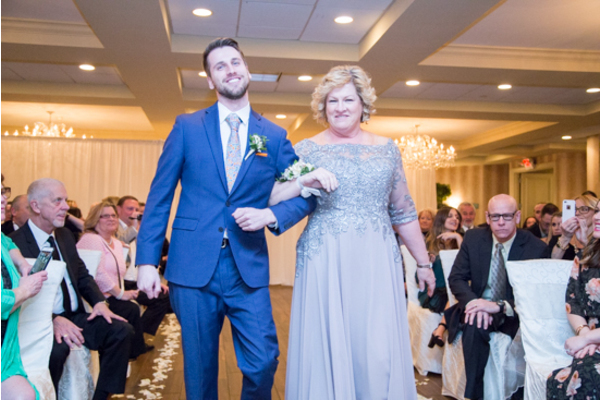 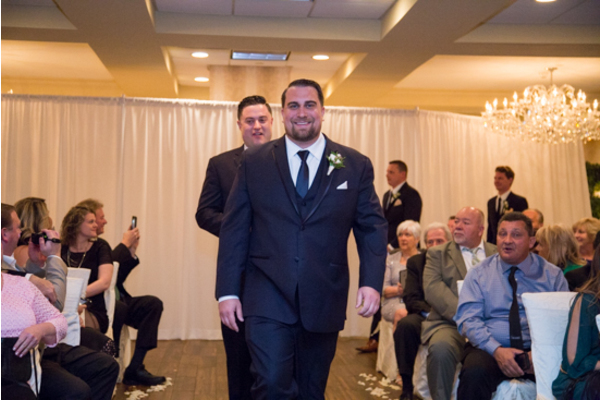 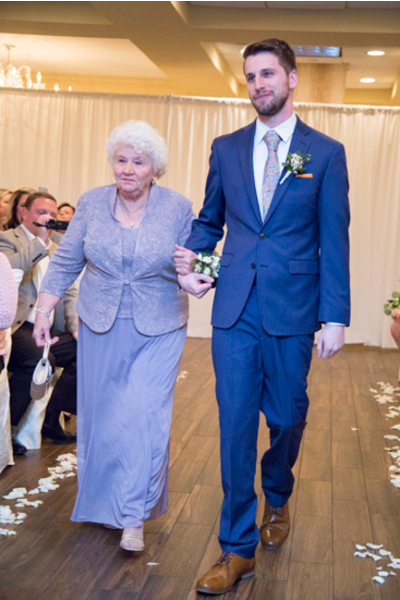 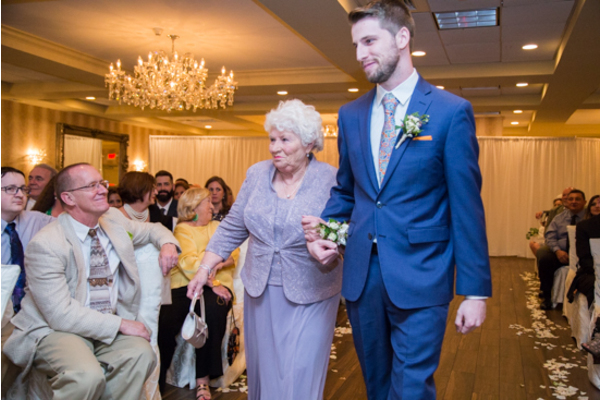 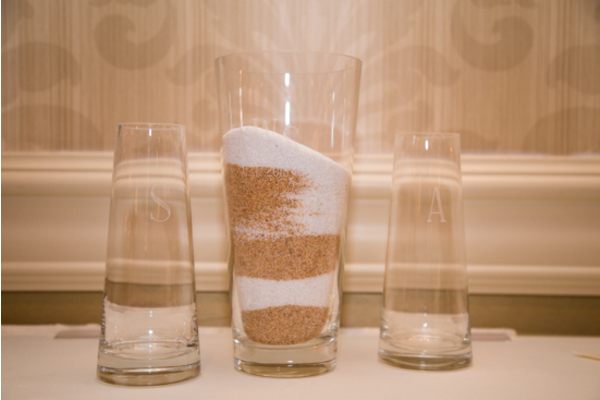 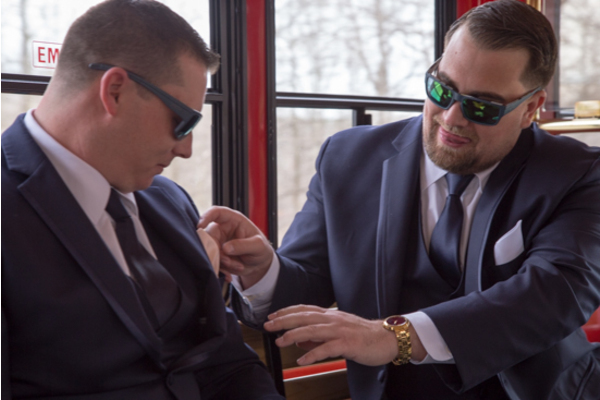 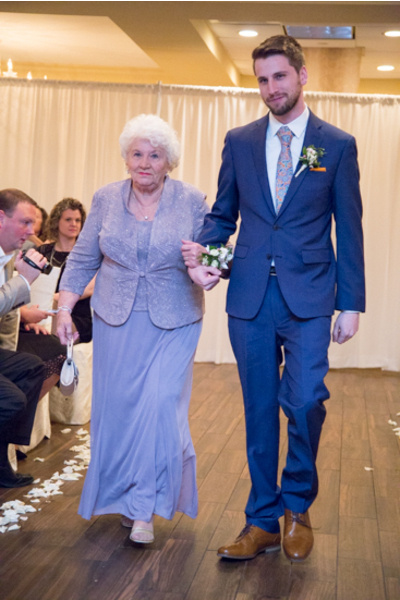 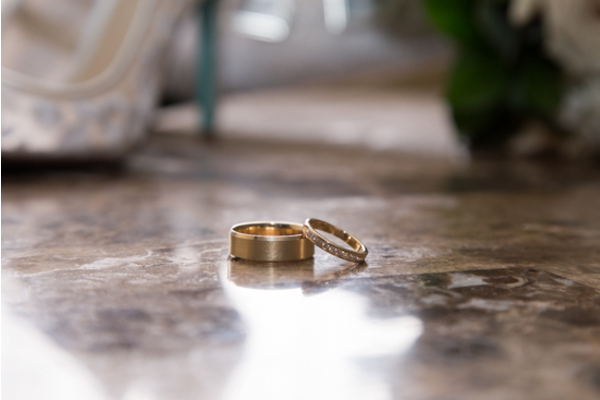 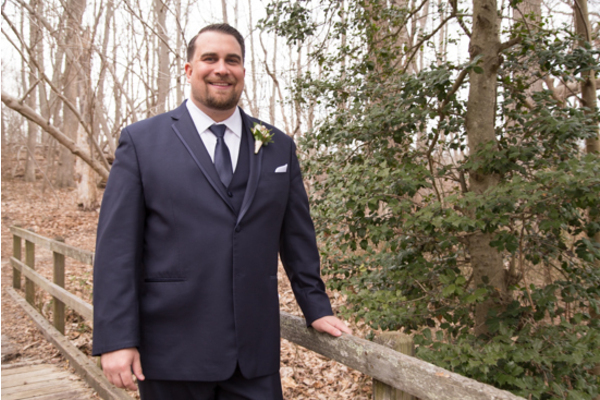 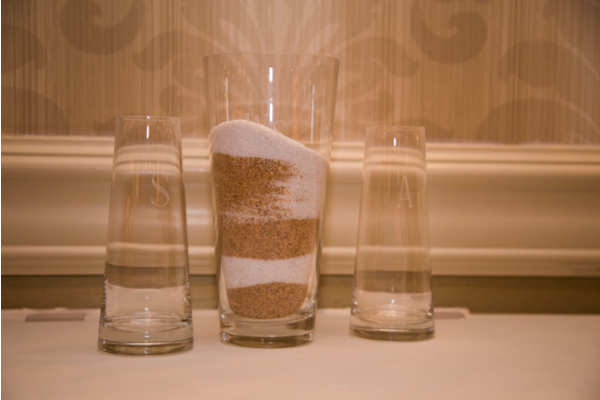 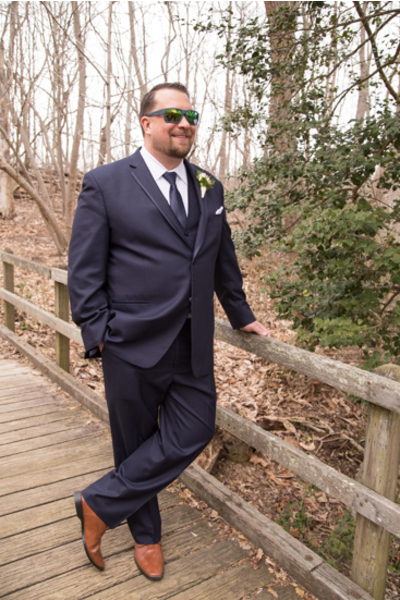 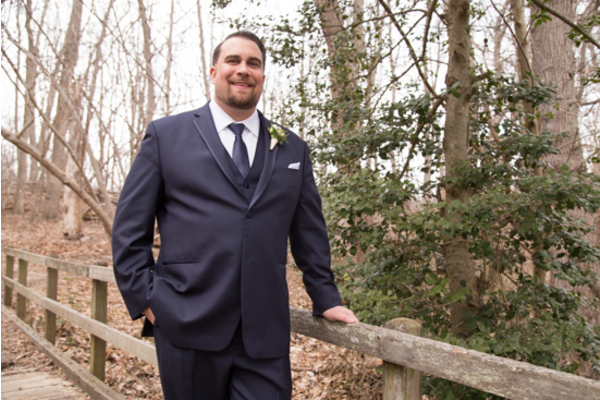 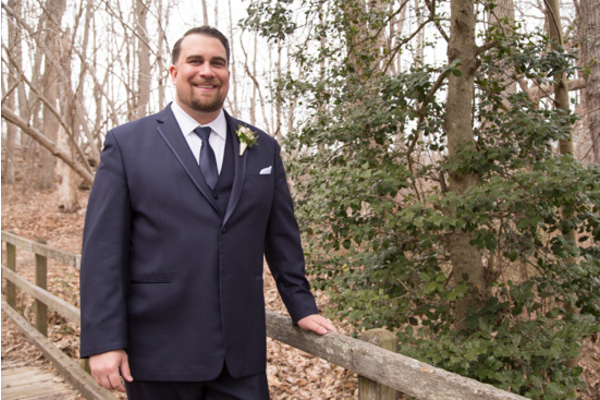 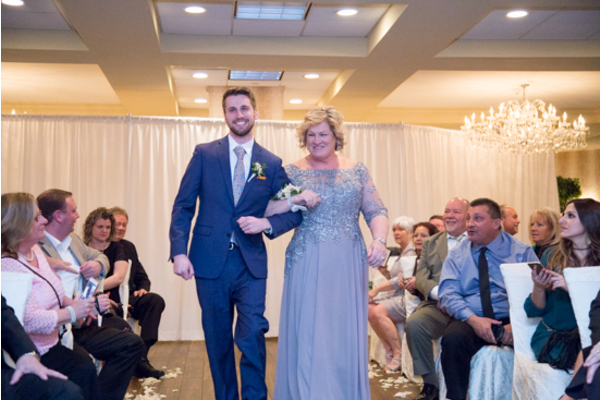 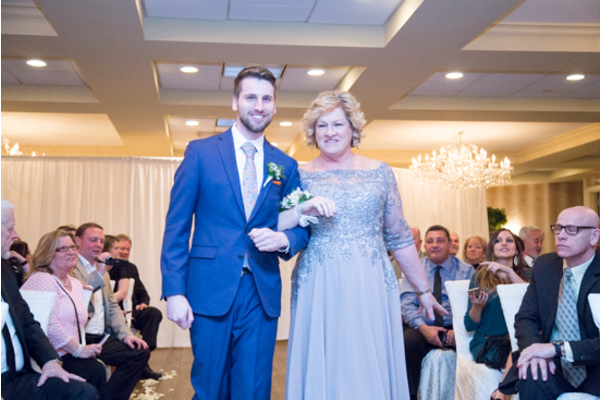 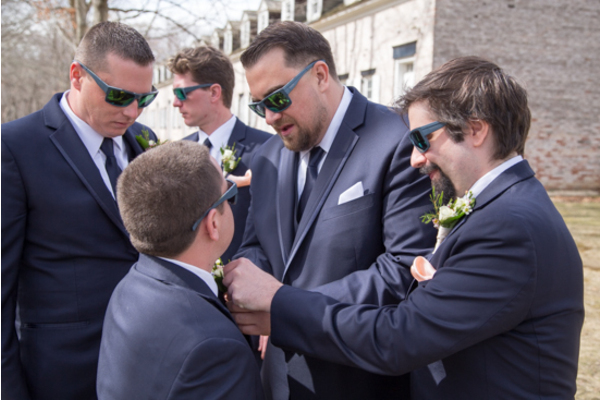 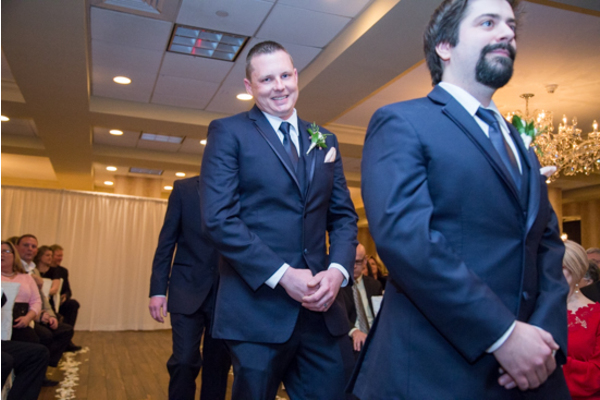 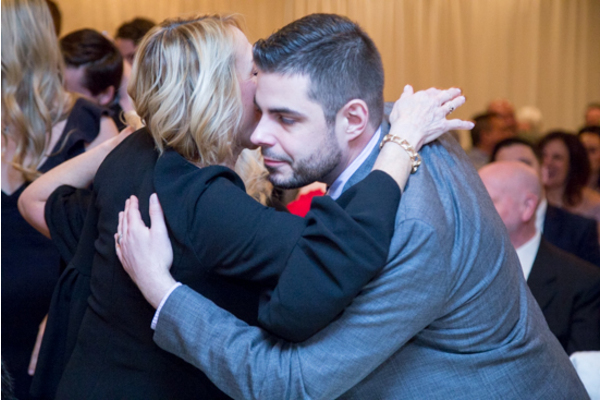 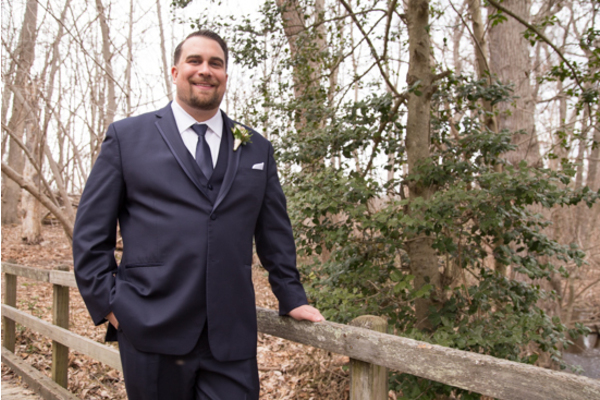 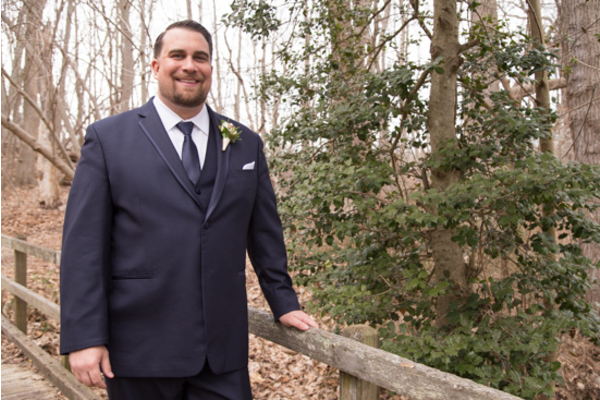 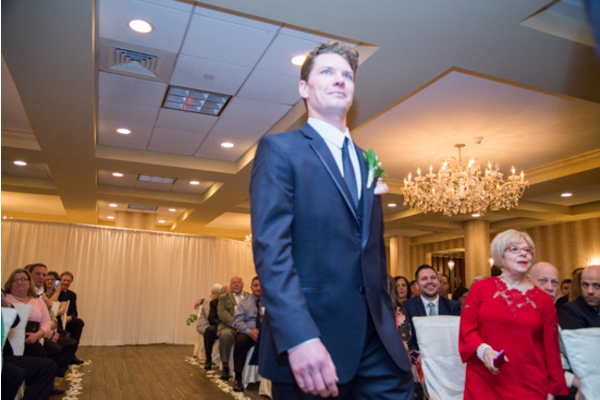 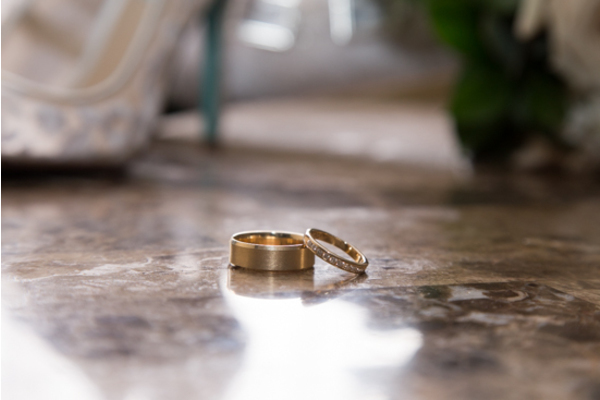 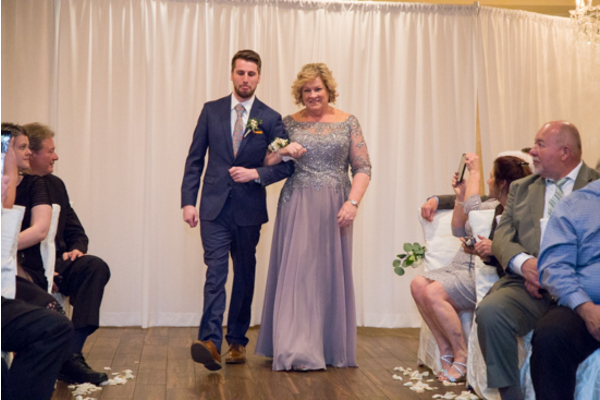 After kissing his bride, Sean walked her down the aisle to begin their reception celebration! 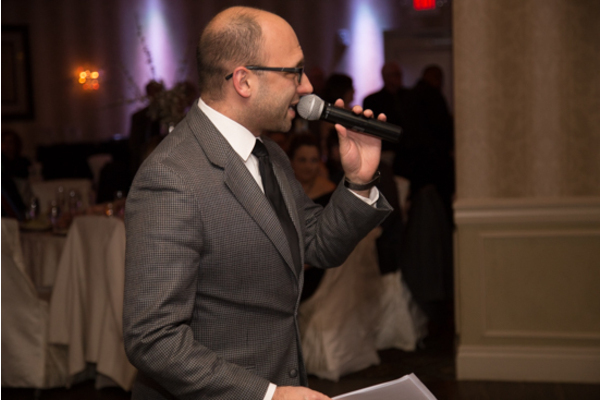 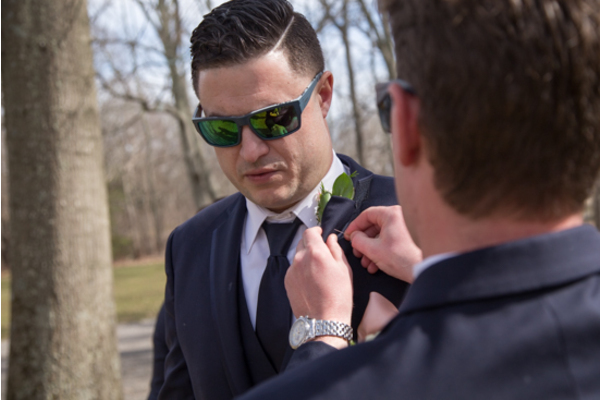 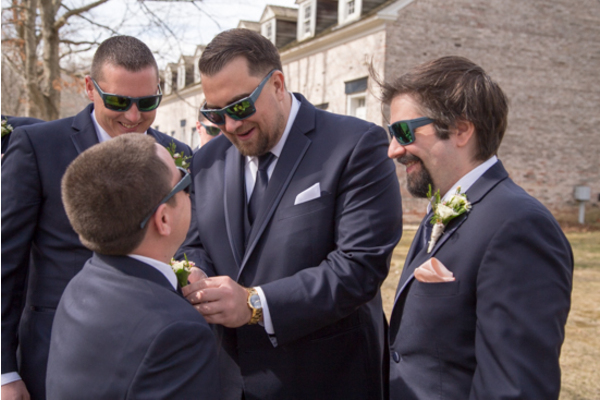 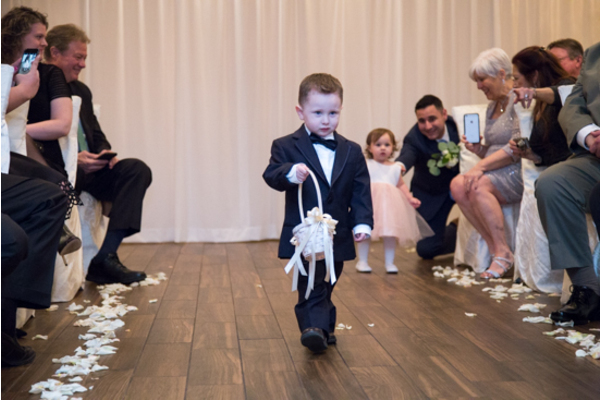 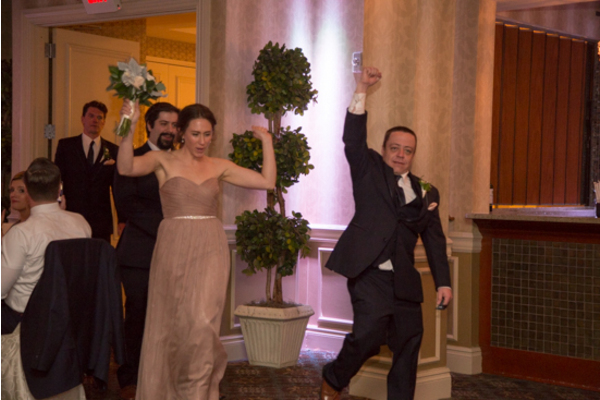 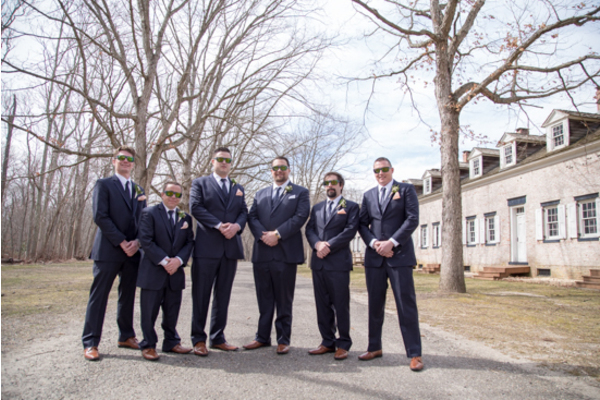 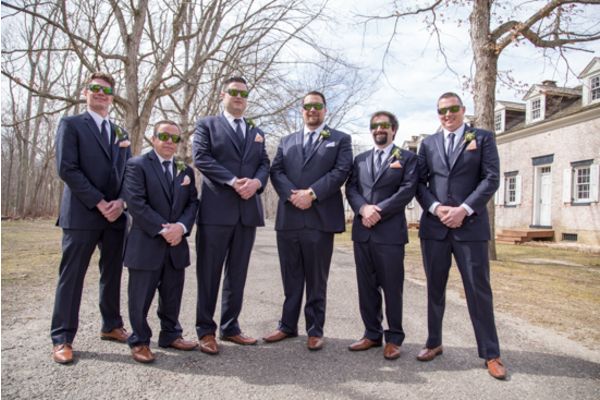 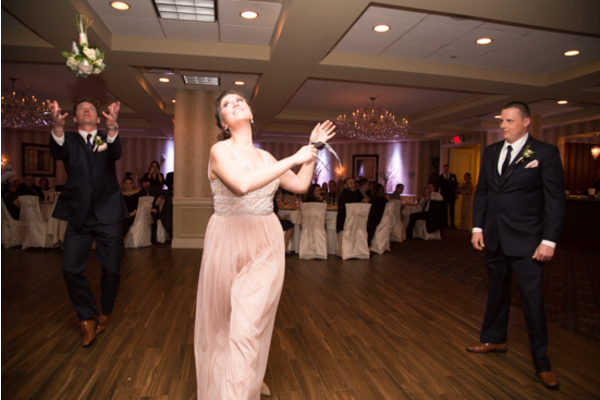 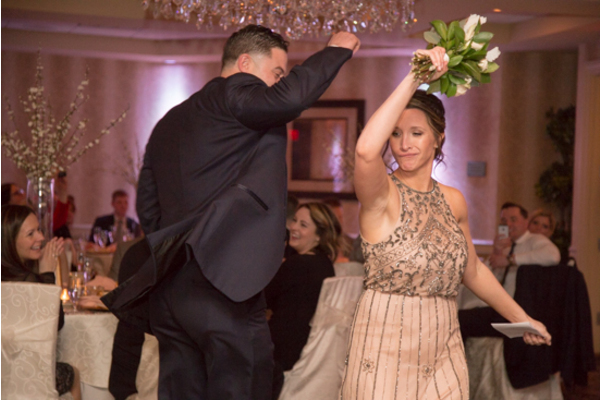 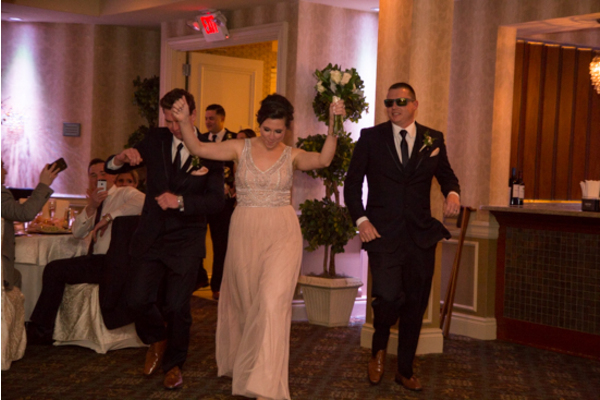 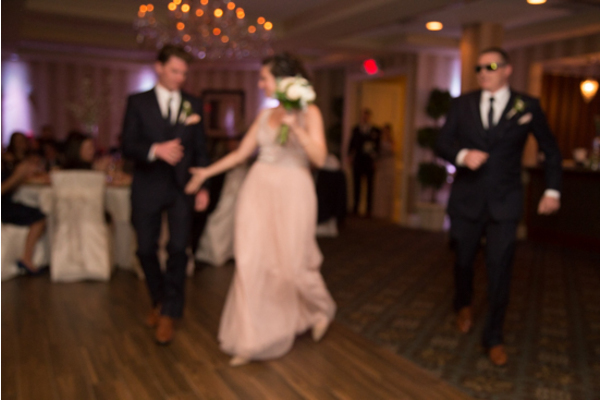 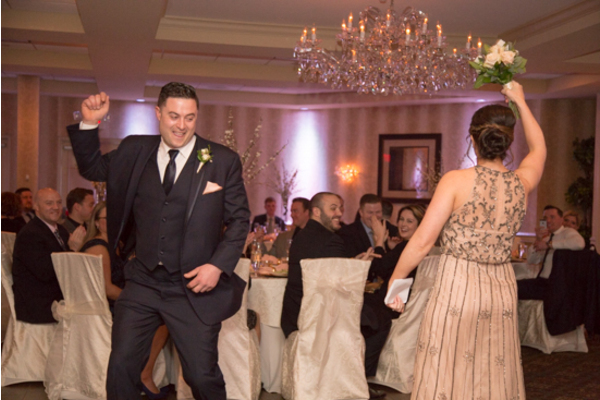 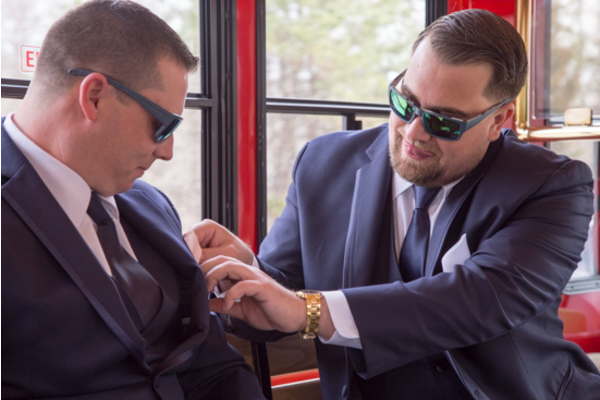 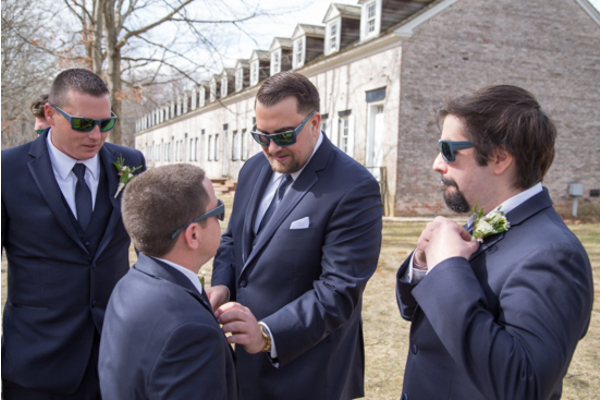 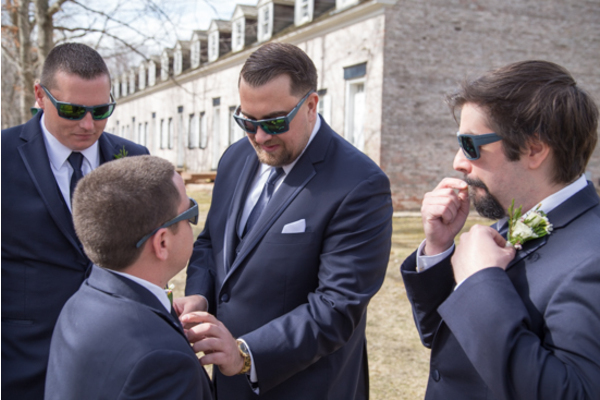 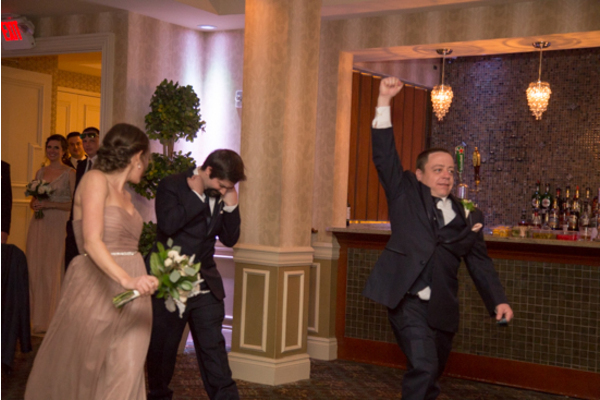 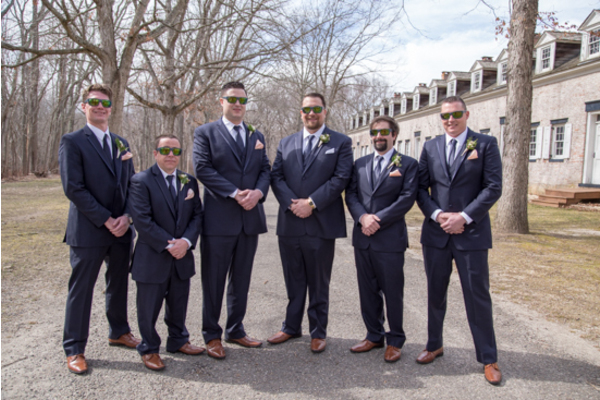 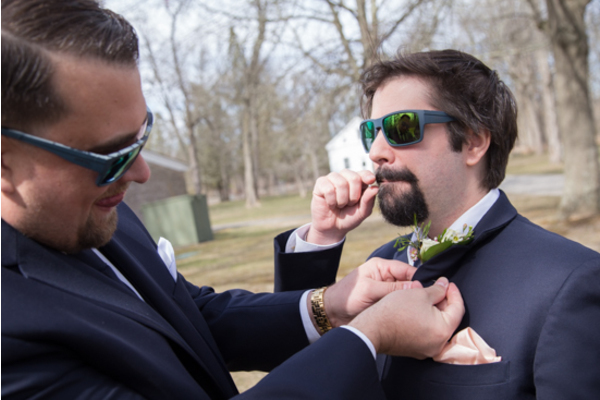 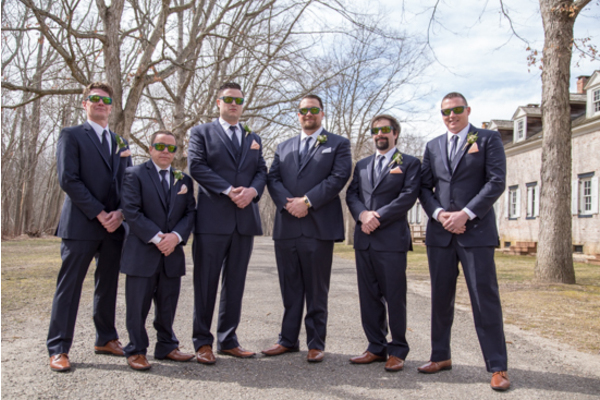 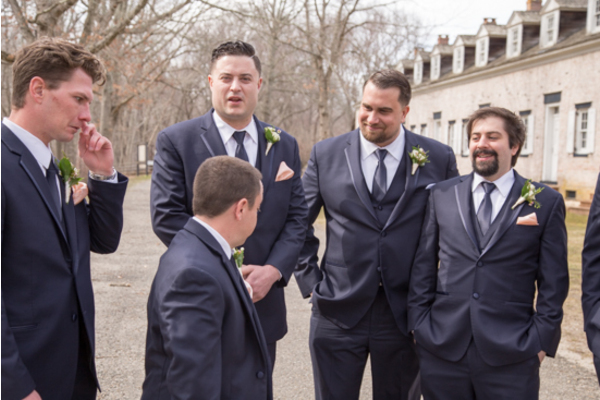 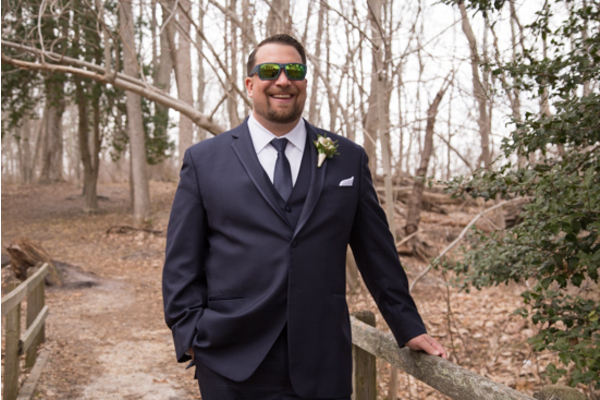 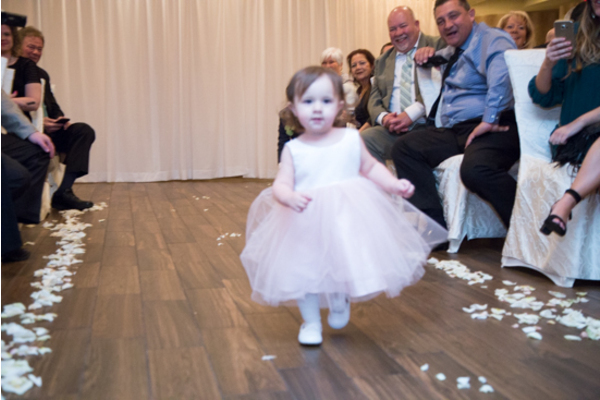 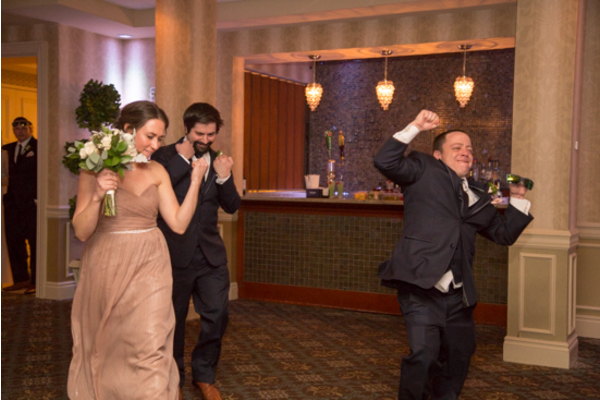 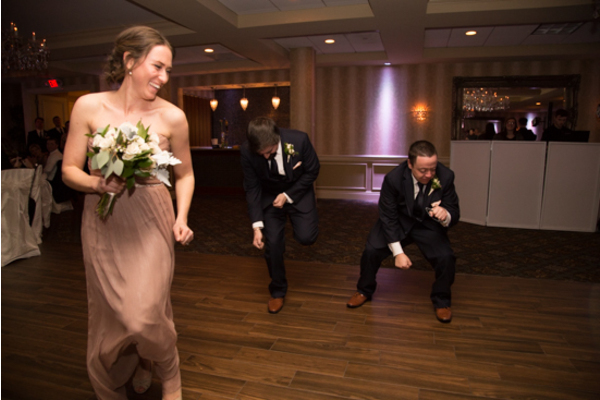 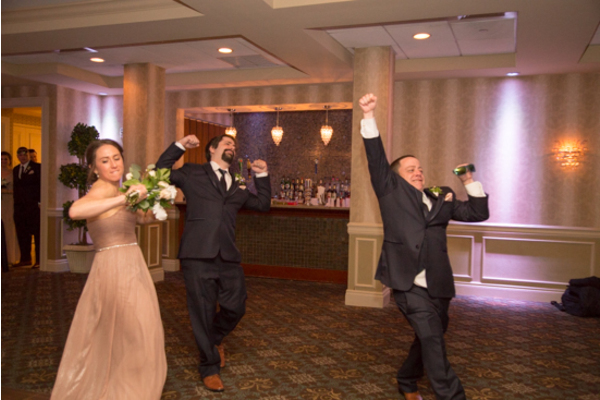 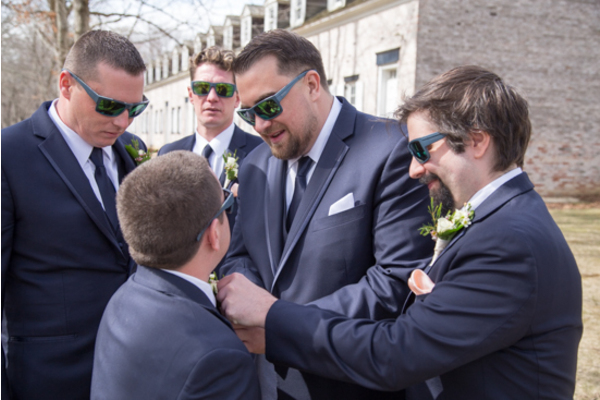 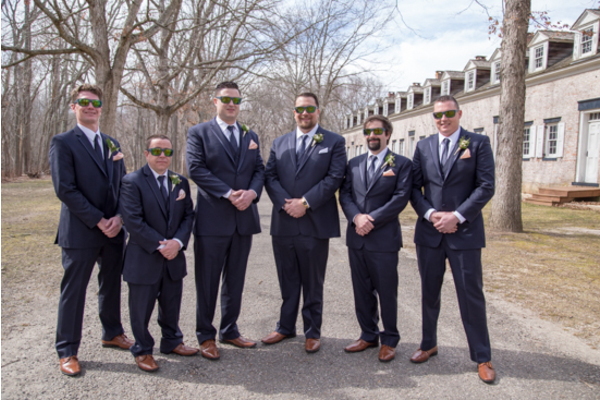 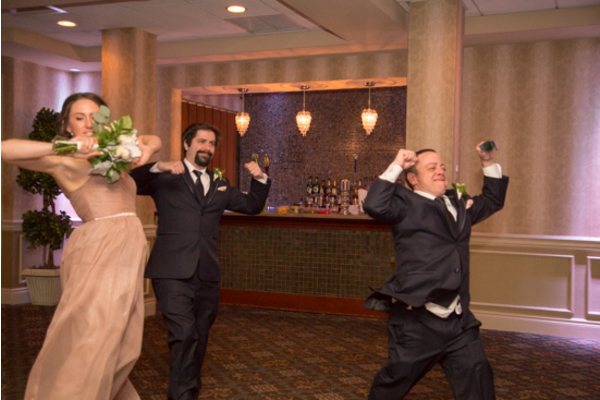 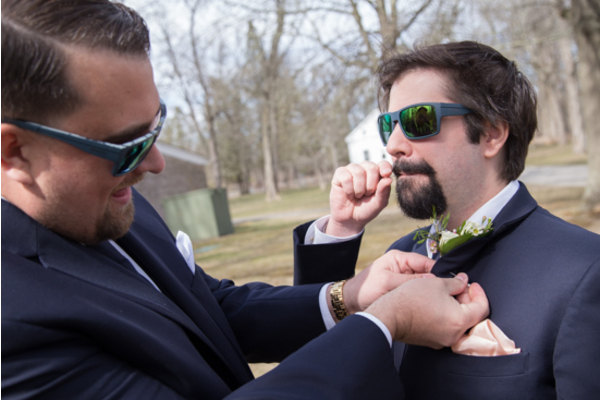 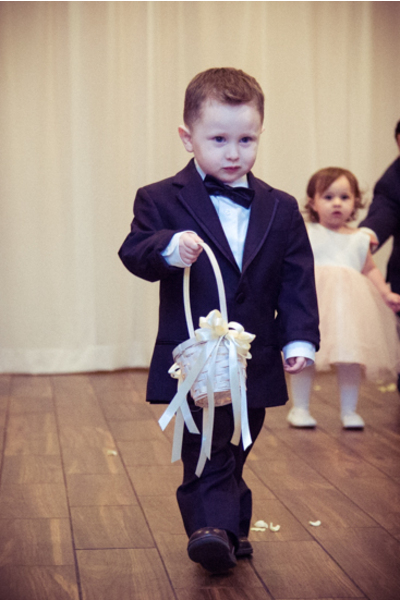 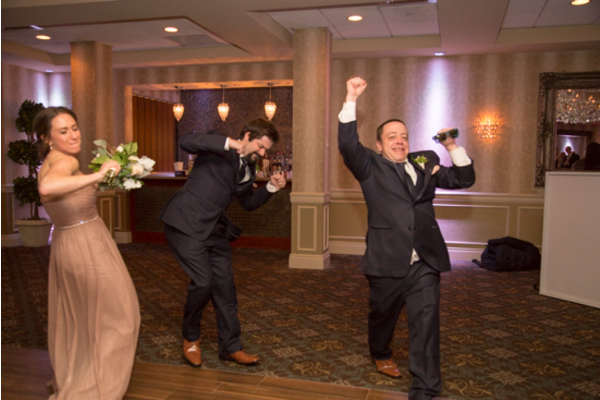 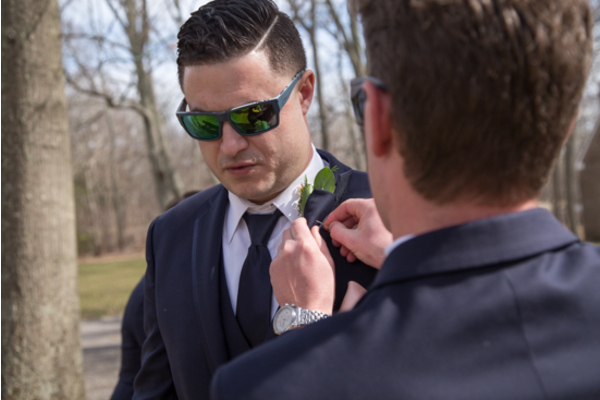 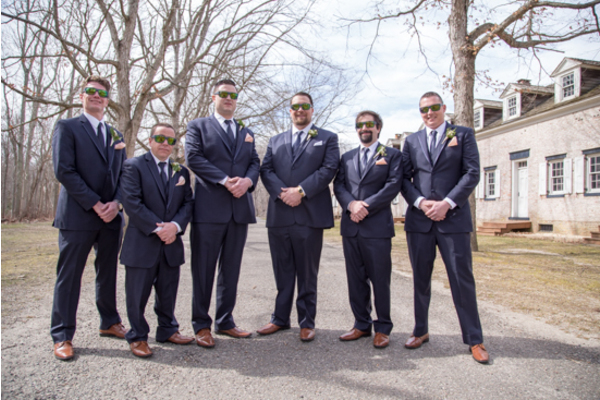 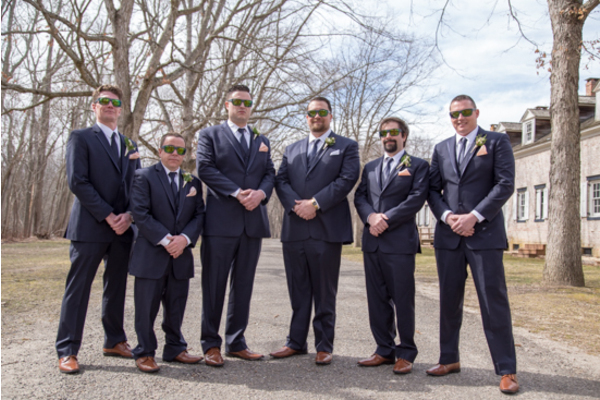 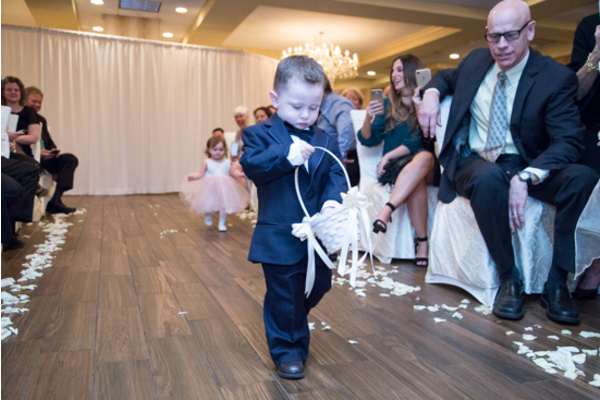 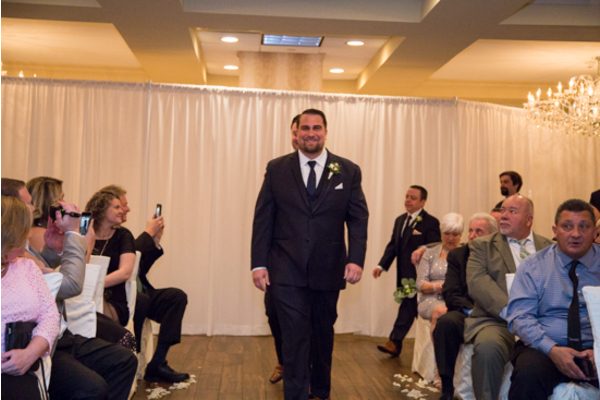 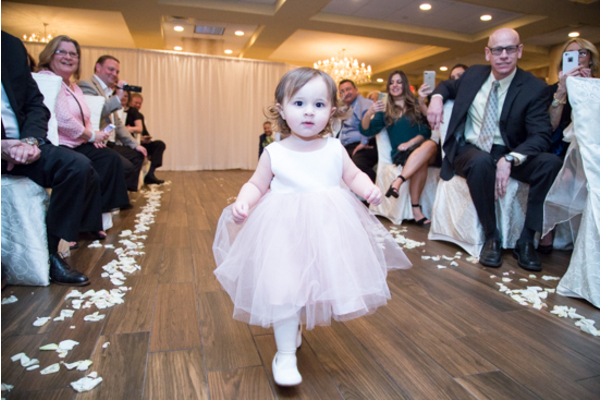 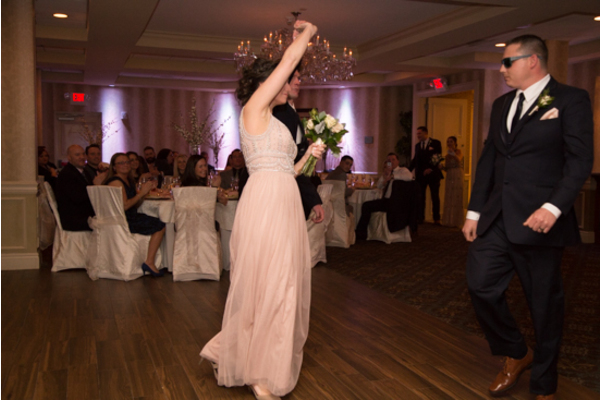 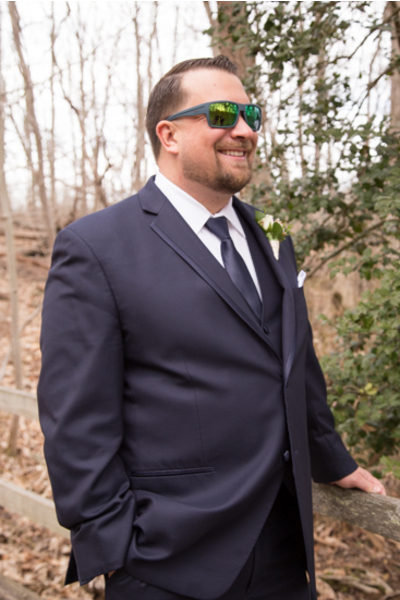 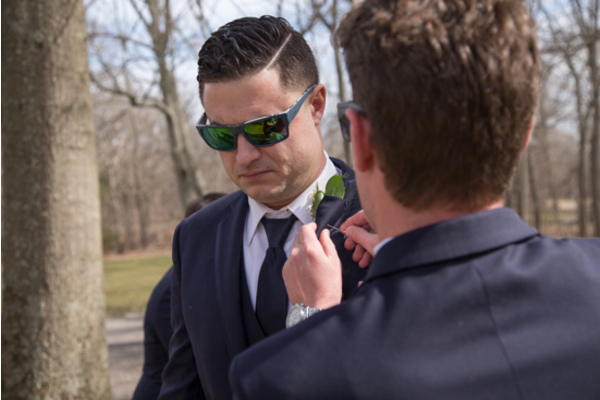 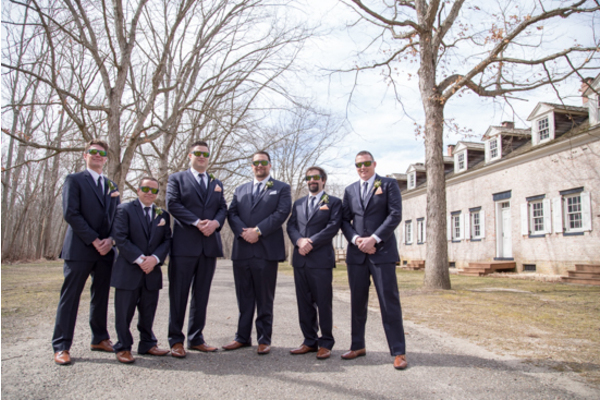 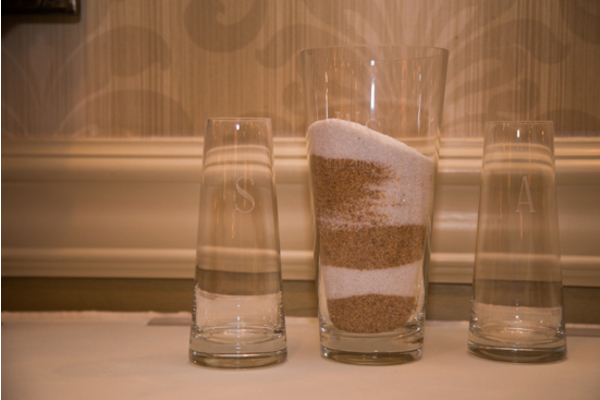 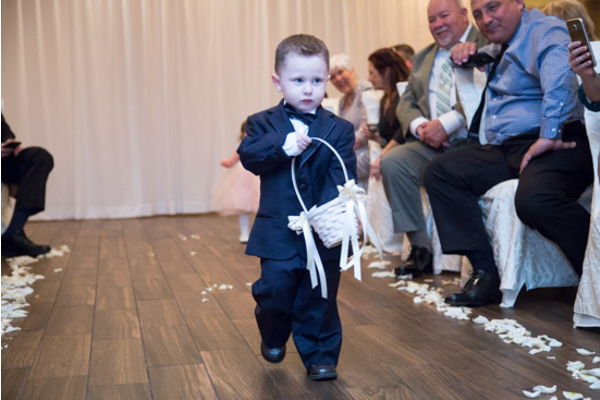 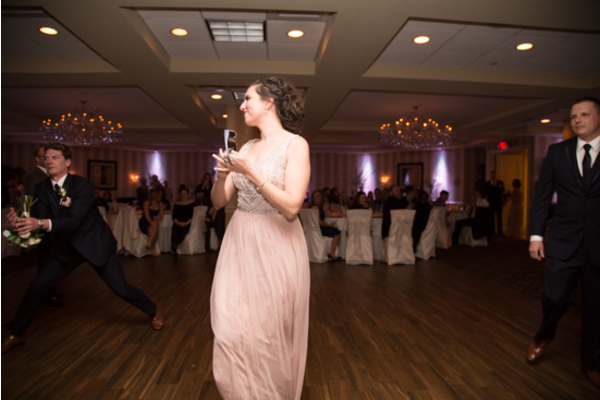 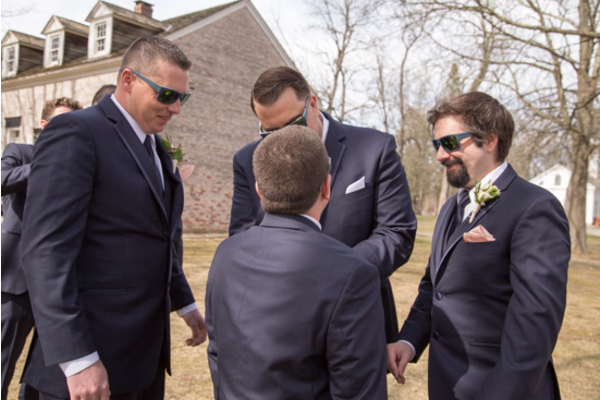 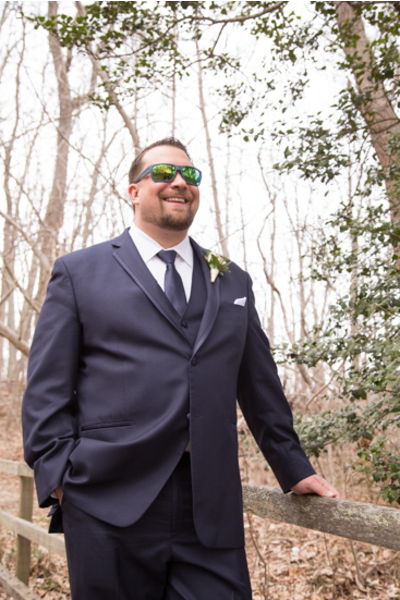 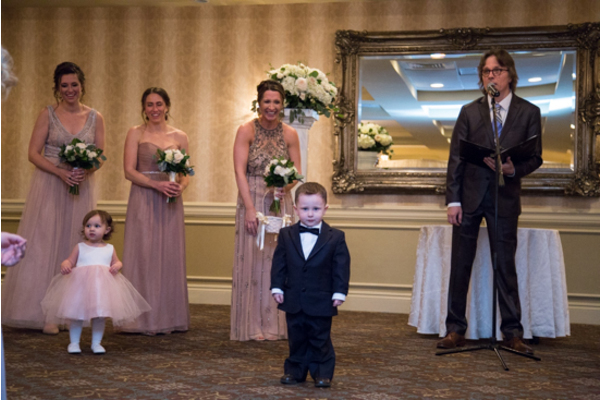 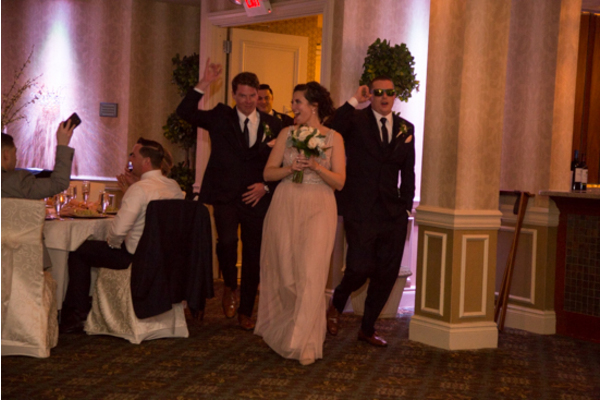 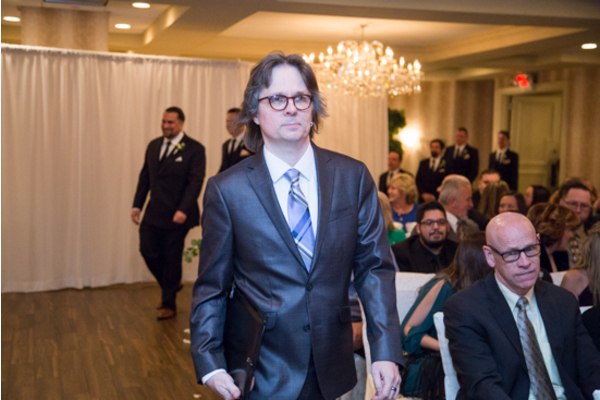 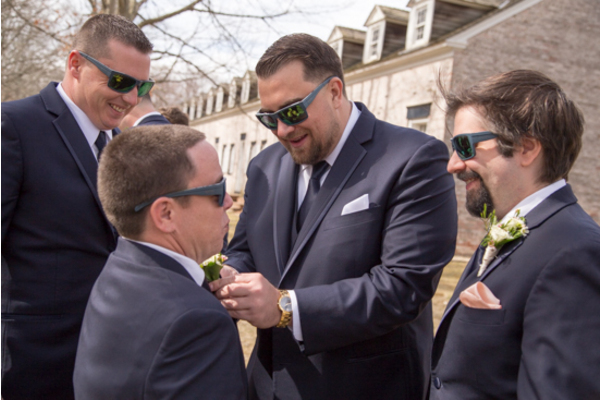 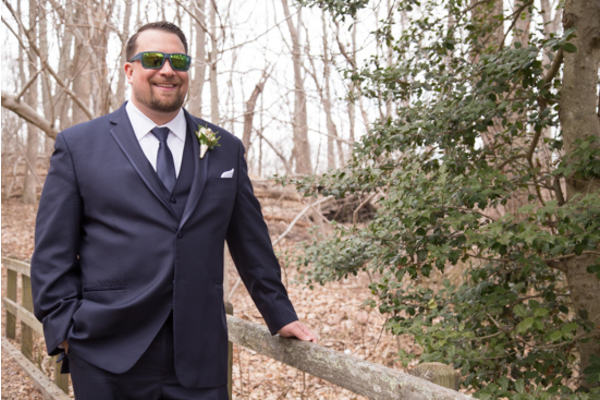 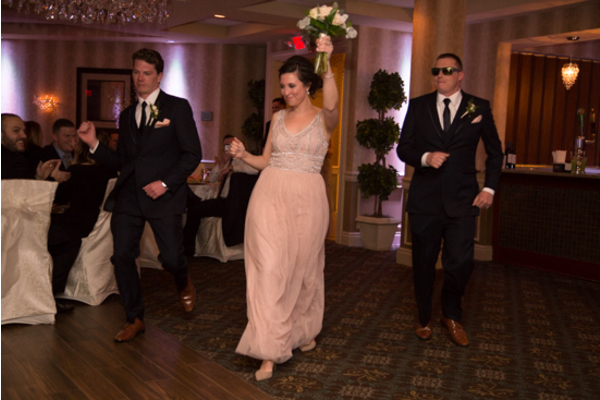 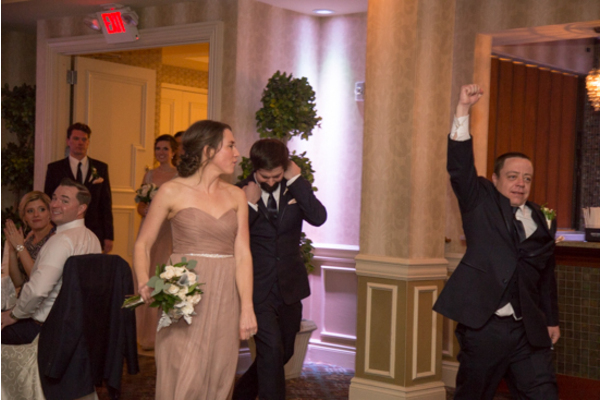 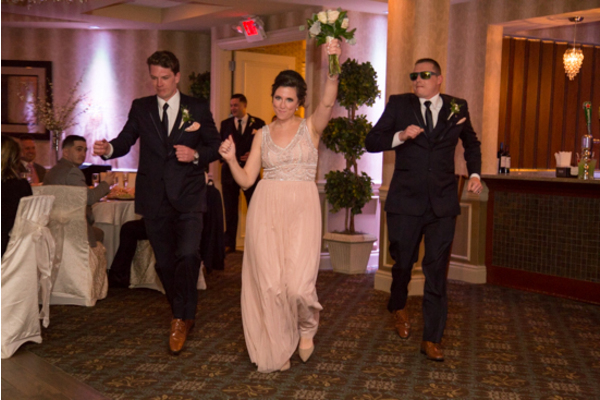 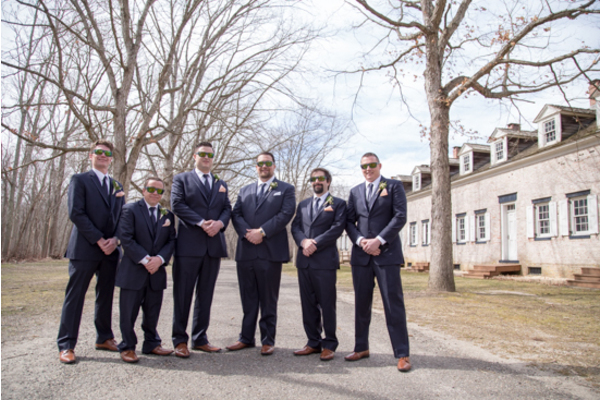 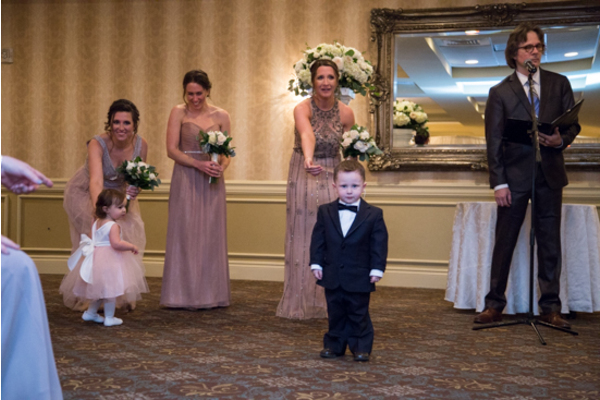 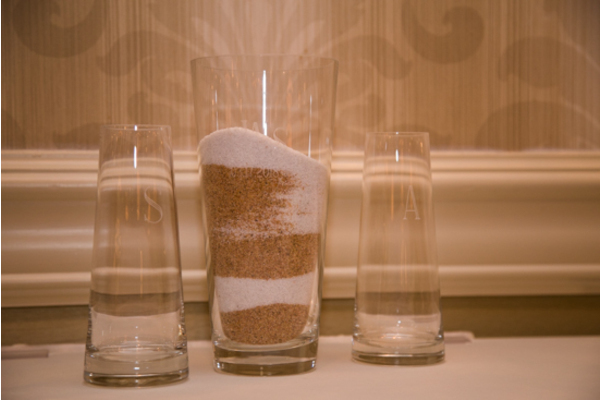 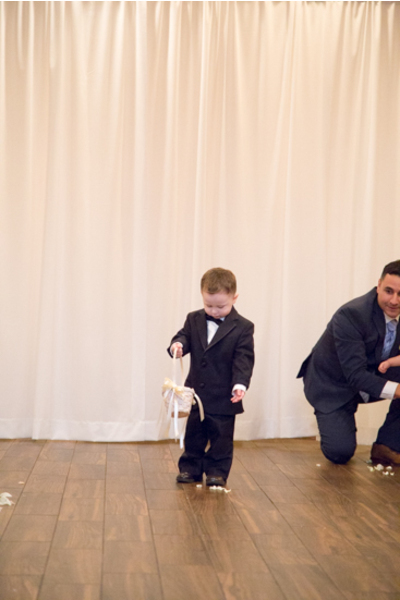 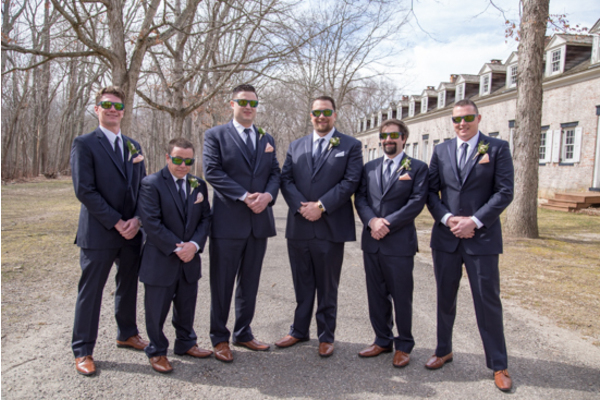 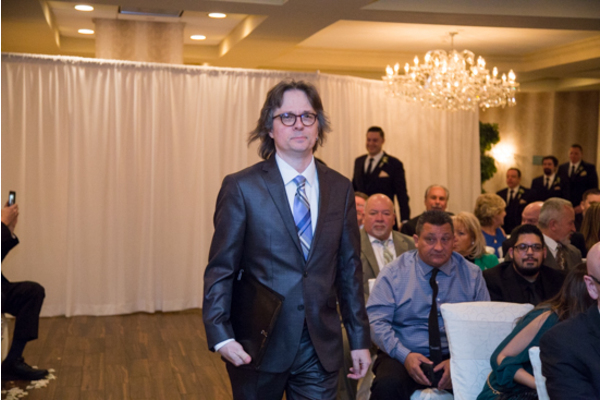 Our NJ Wedding DJ was fully prepared to get this party started all night long. 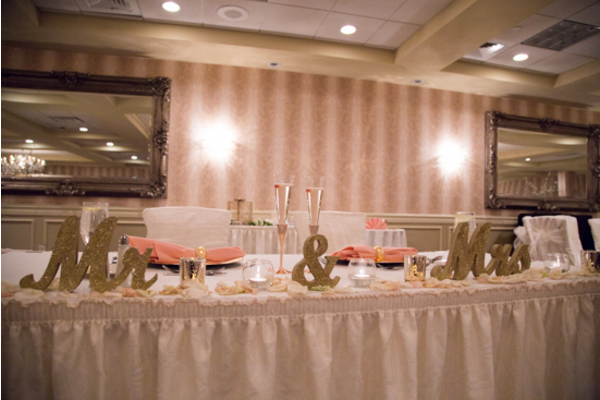 The sweetheart table for Ali and Sean was decorated with Mr. and Mrs. letter signs, flowers, and touches of the pinkish mauve color as shown in the bridesmaid dresses. 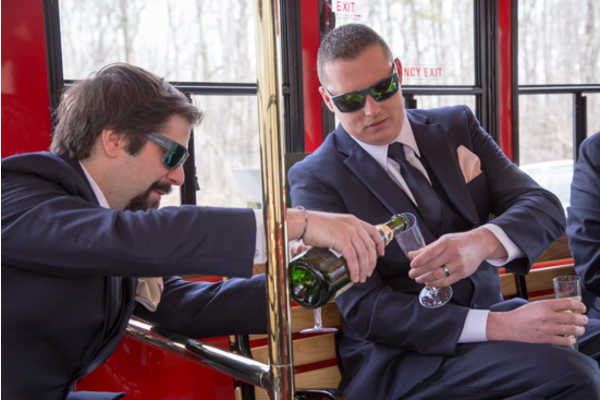 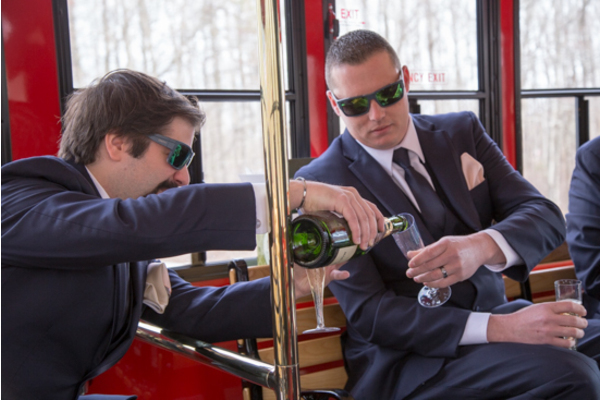 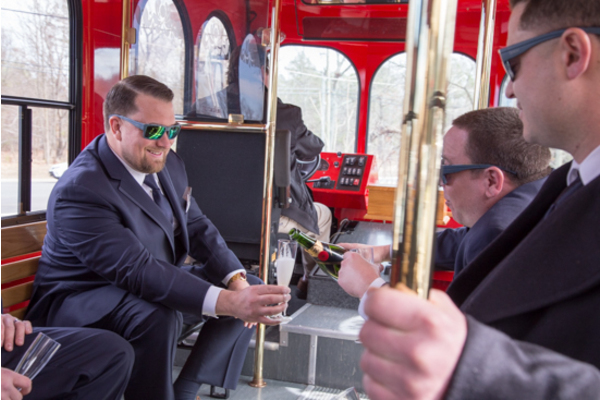 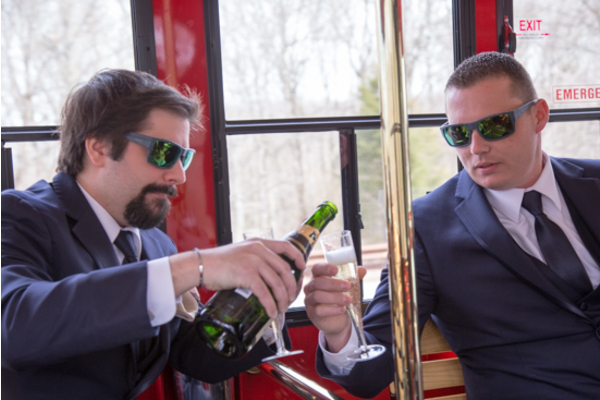 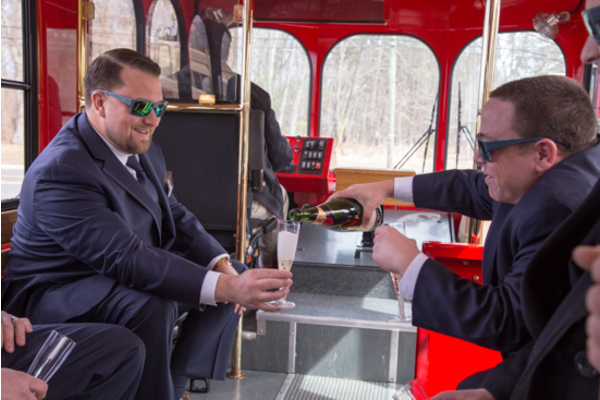 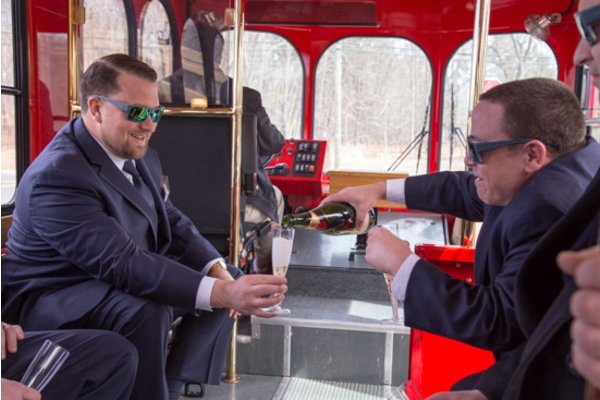 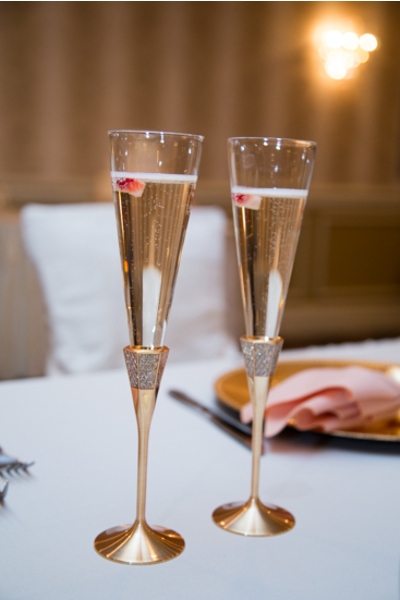 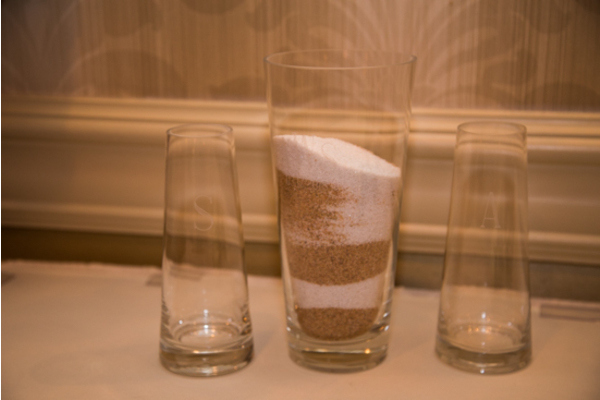 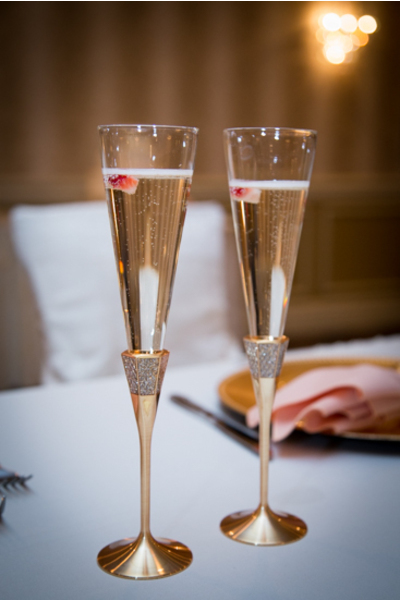 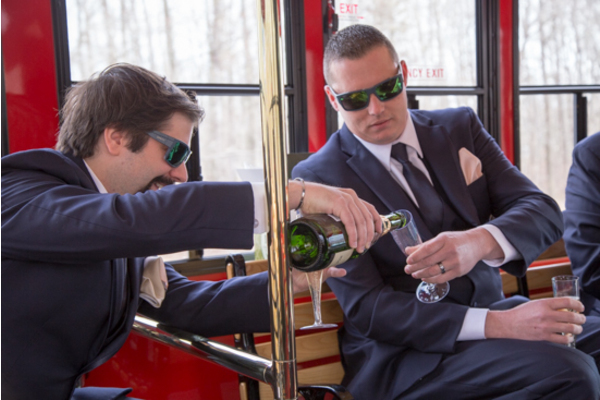 Of course, we can’t forget the mandatory two glasses of champagne! 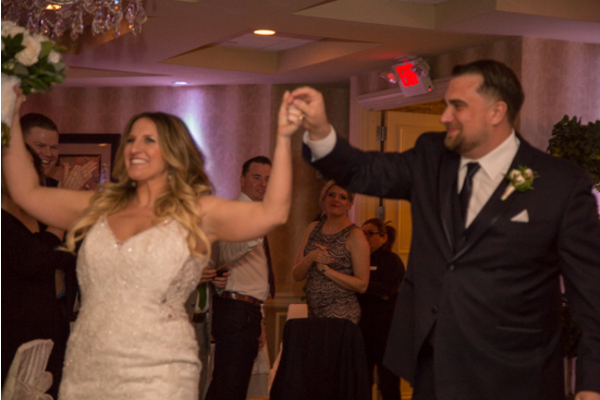 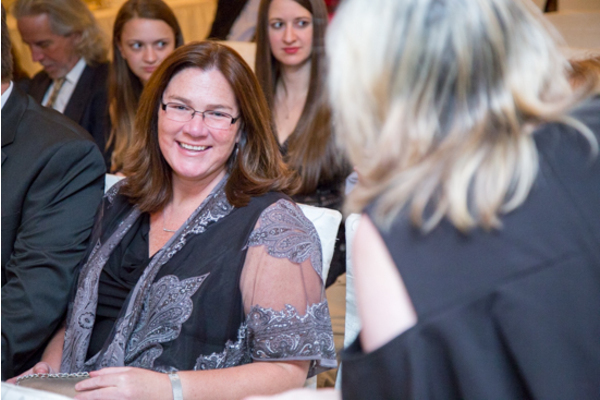 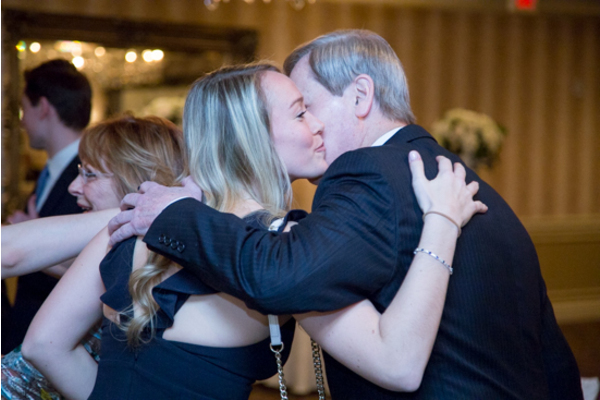 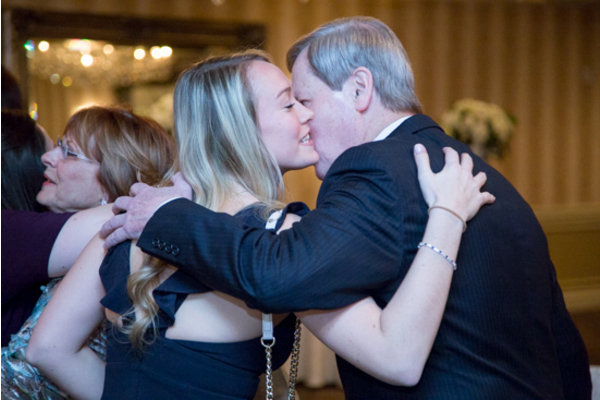 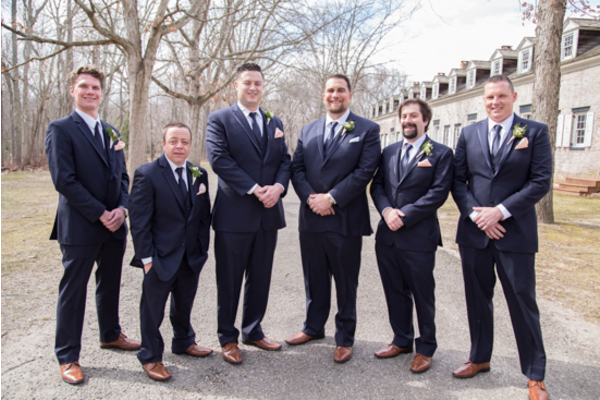 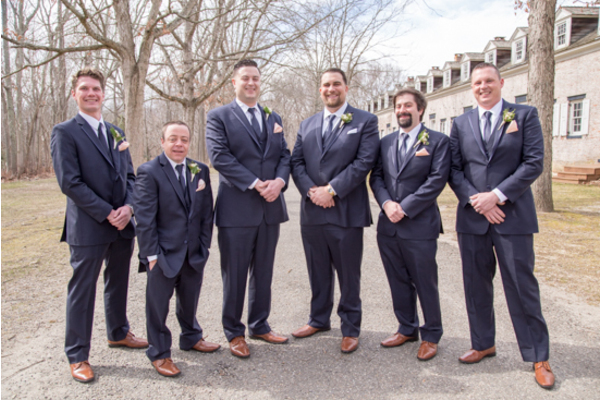 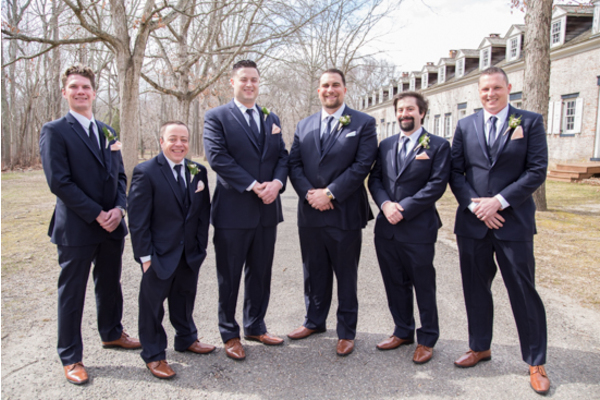 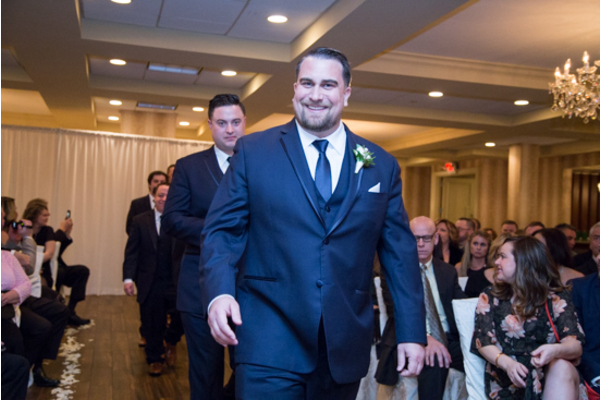 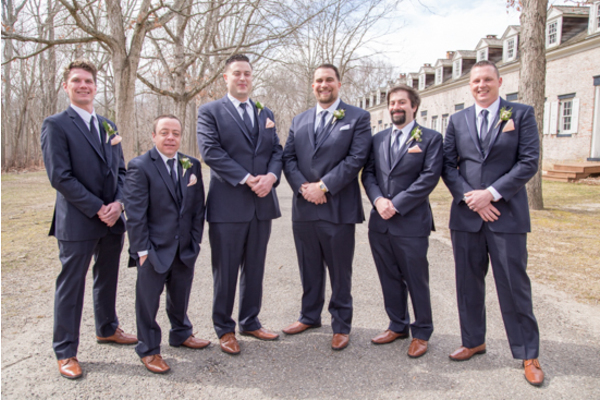 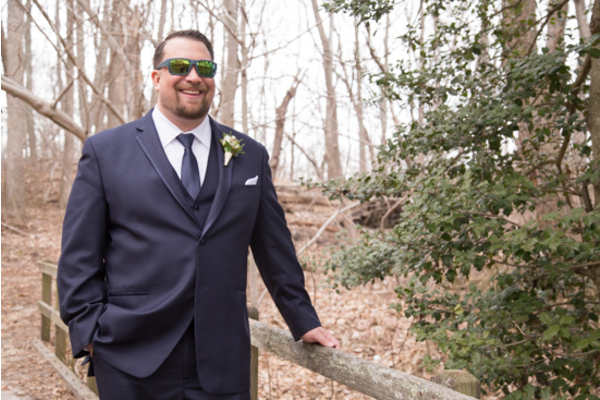 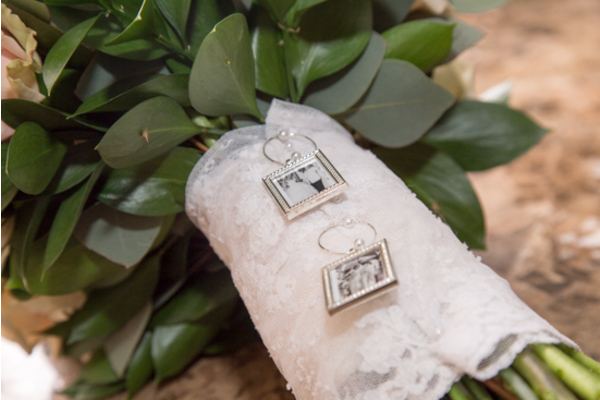 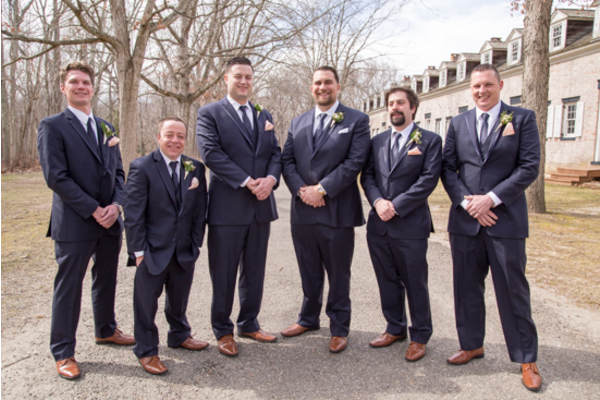 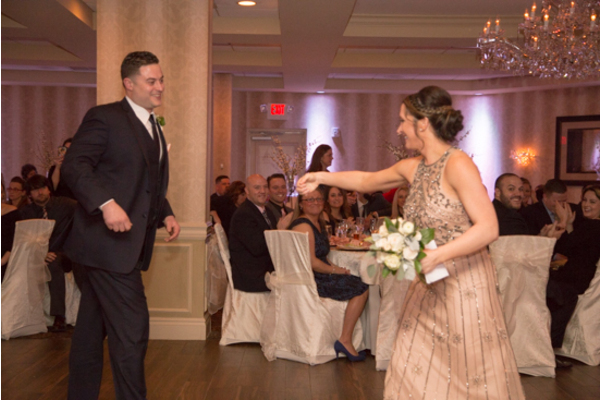 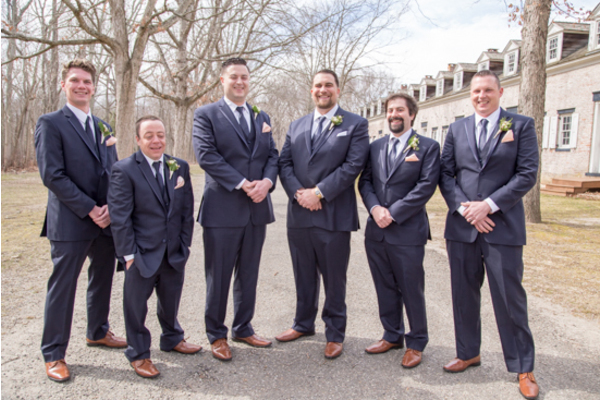 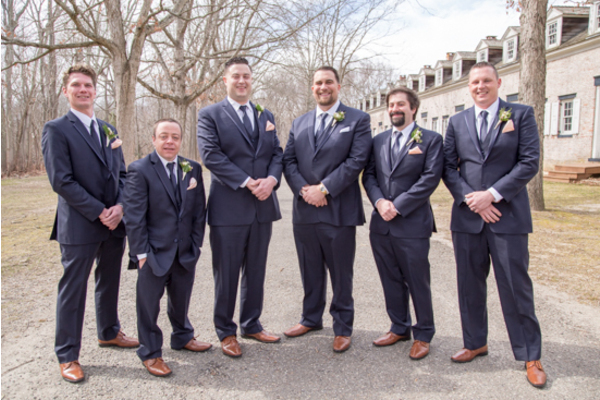 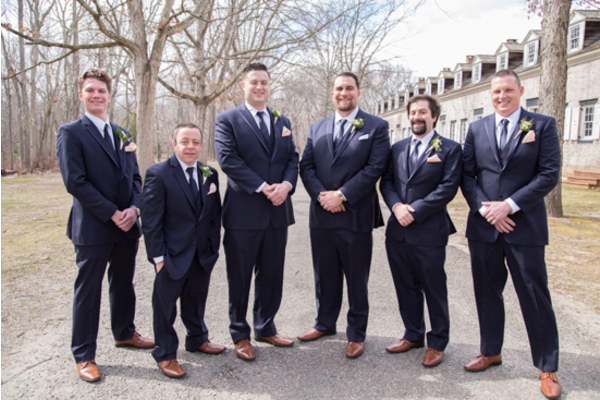 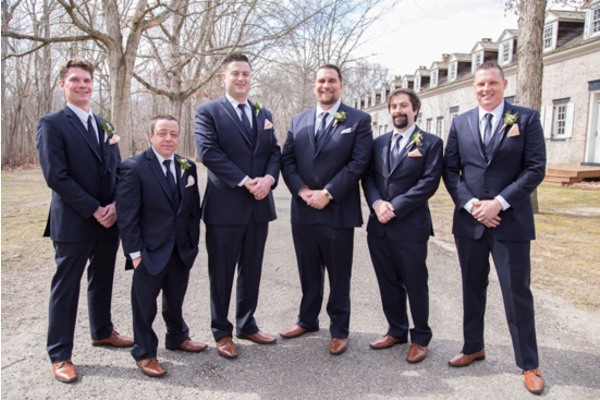 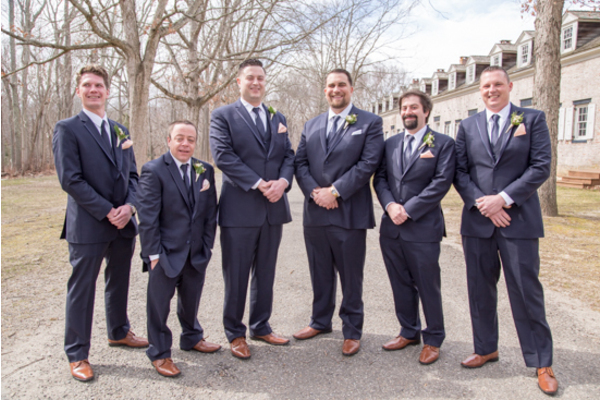 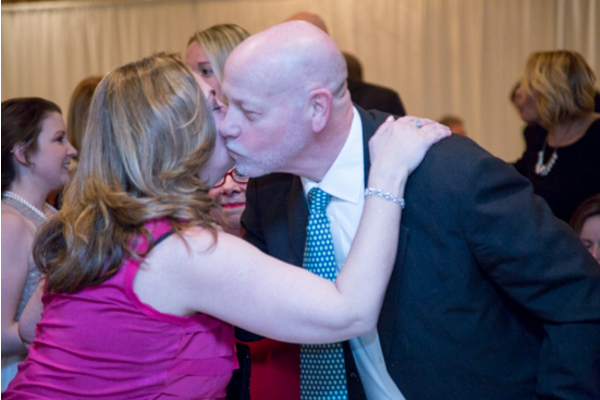 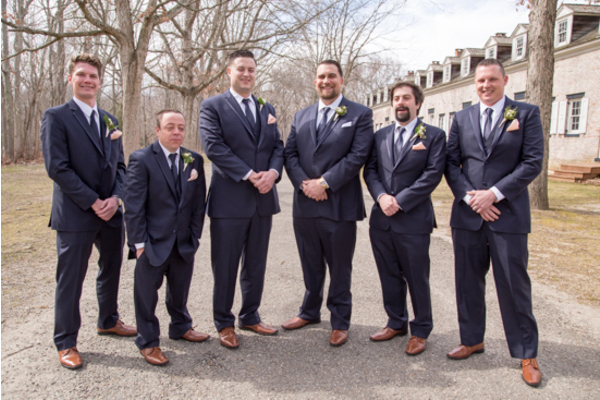 The night was an unforgettable one, and our NJ Wedding Photo Booth Session allowed guests to remember the moments. 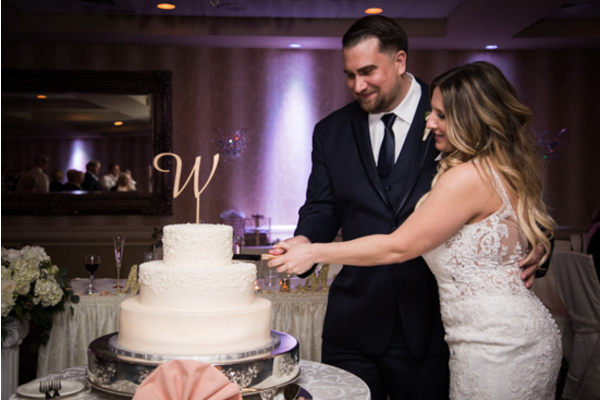 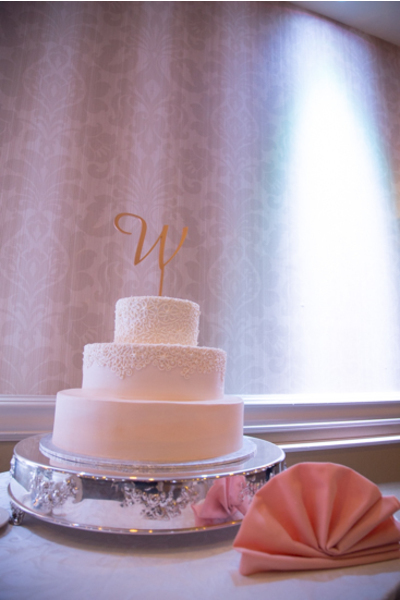 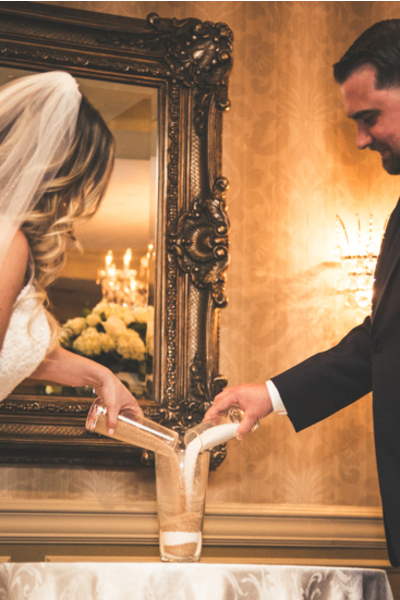 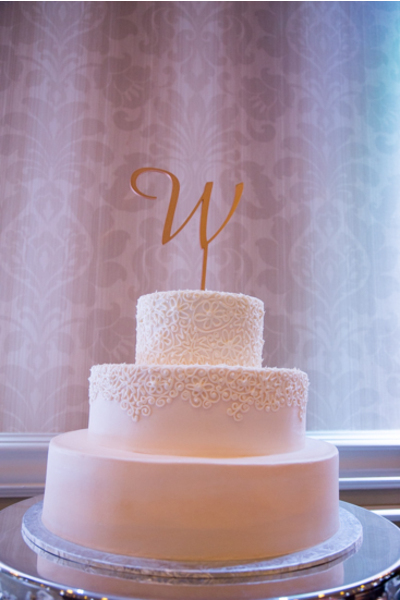 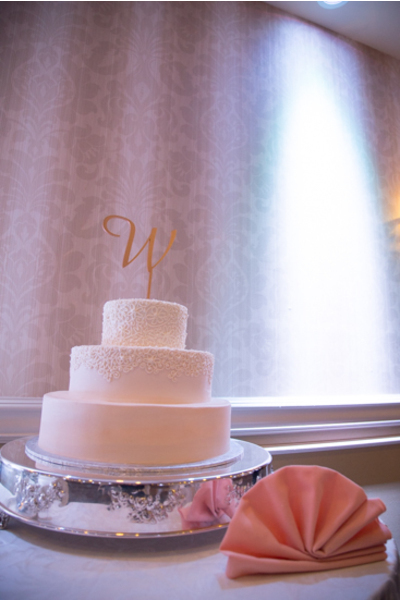 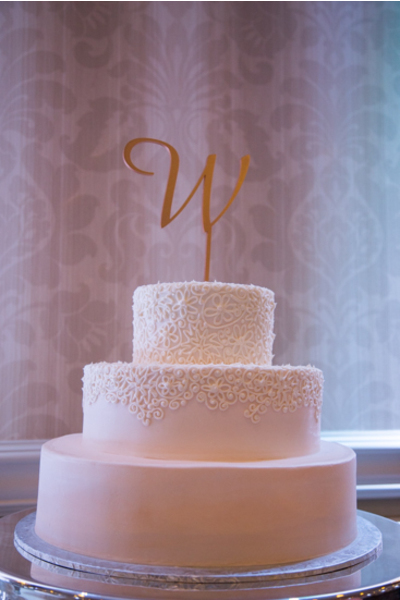 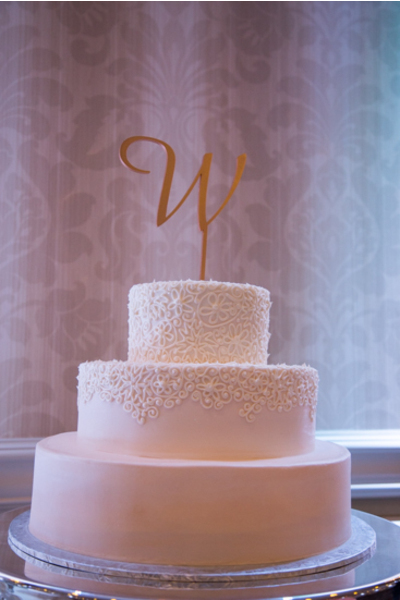 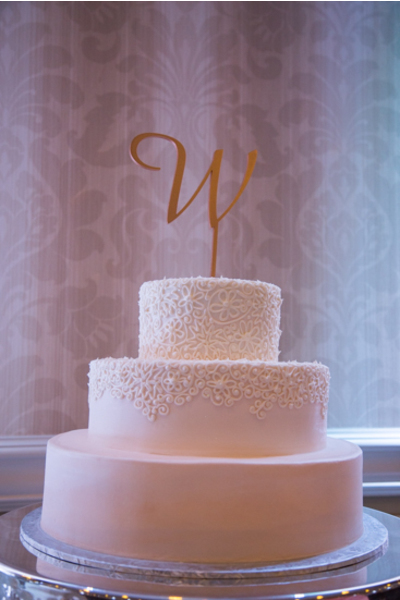 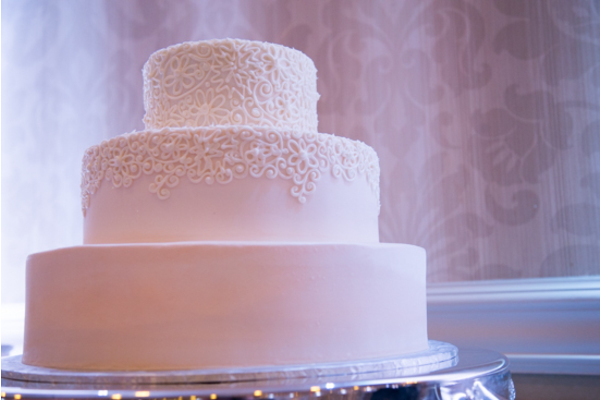 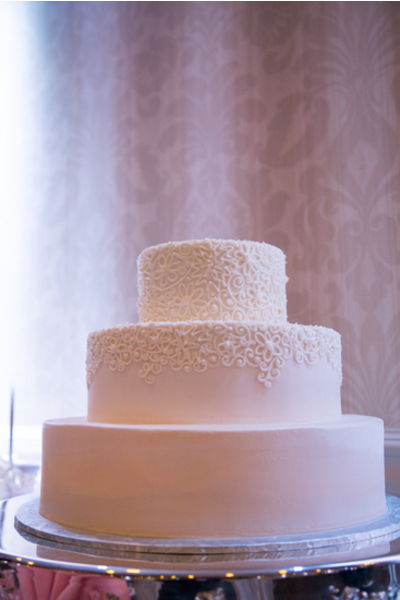 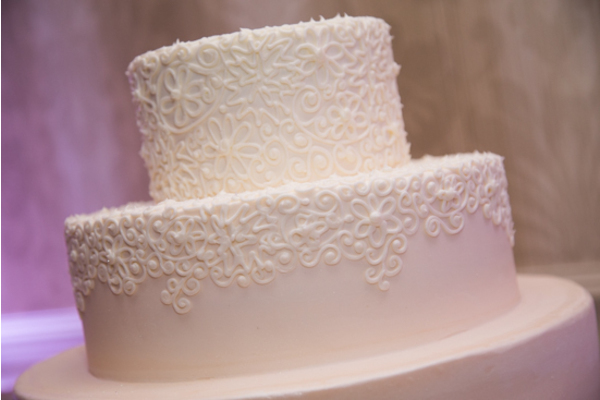 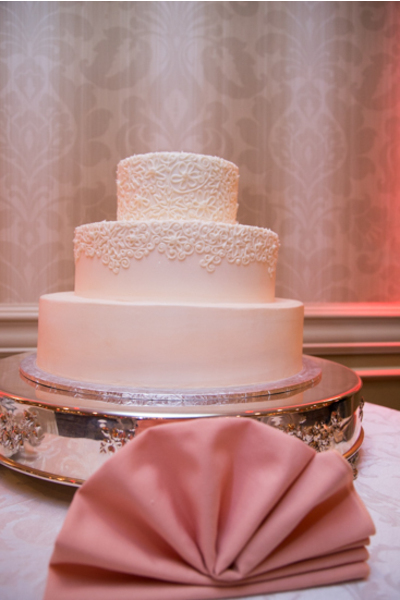 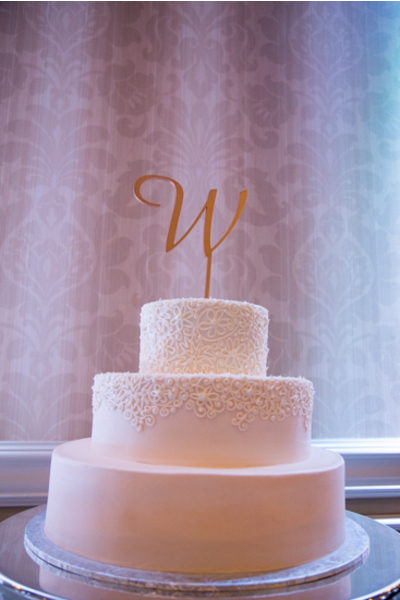 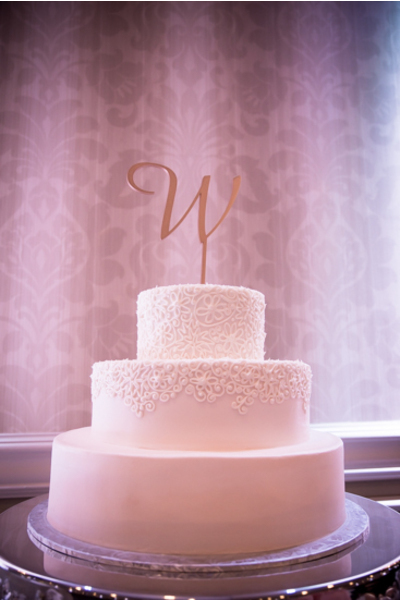 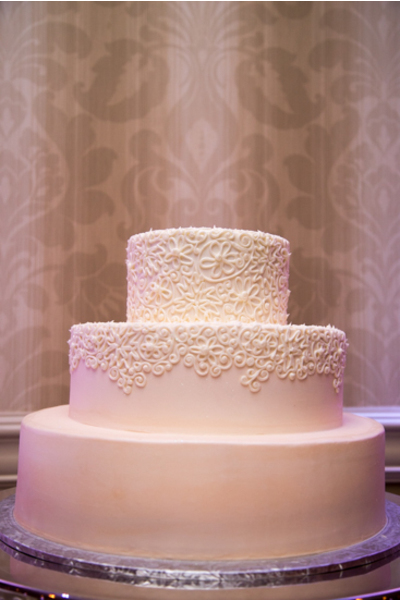 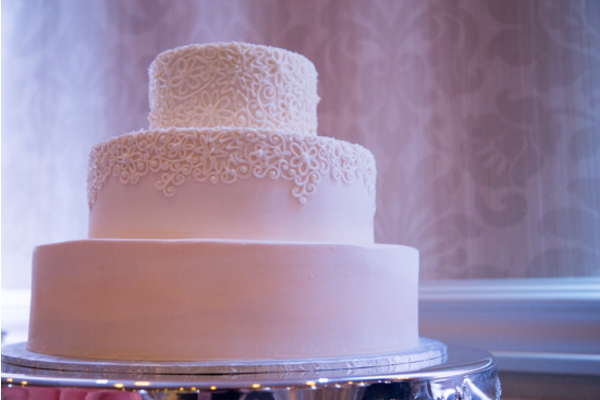 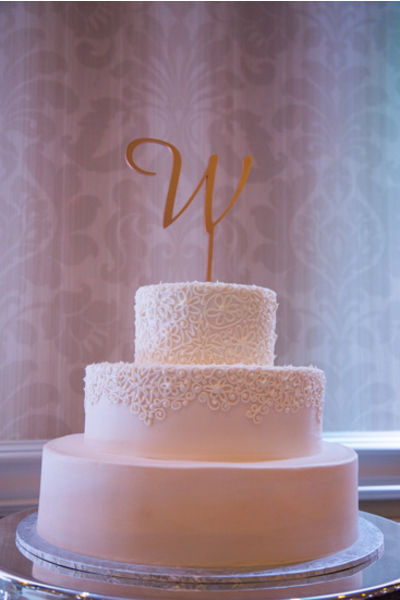 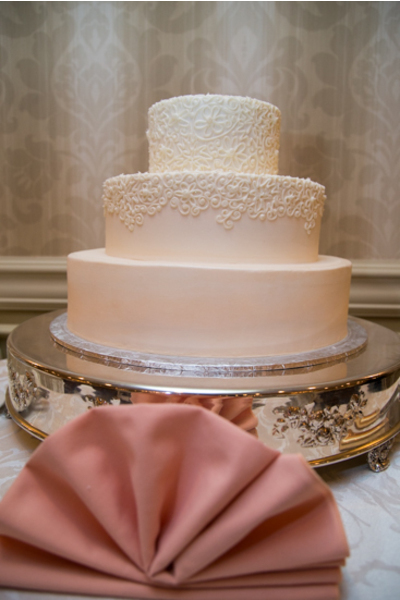 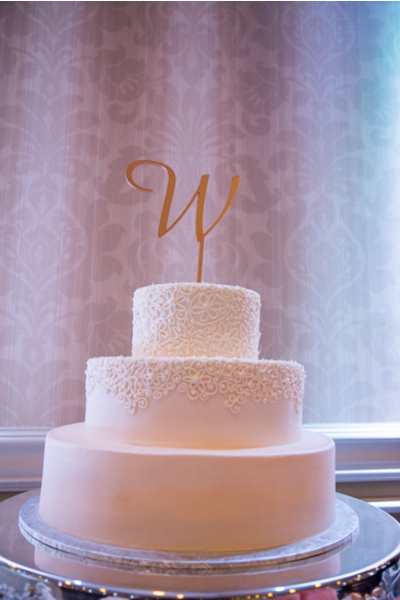 Cutting into their classic white wedding cake, Ali and Sean lived happily ever after! 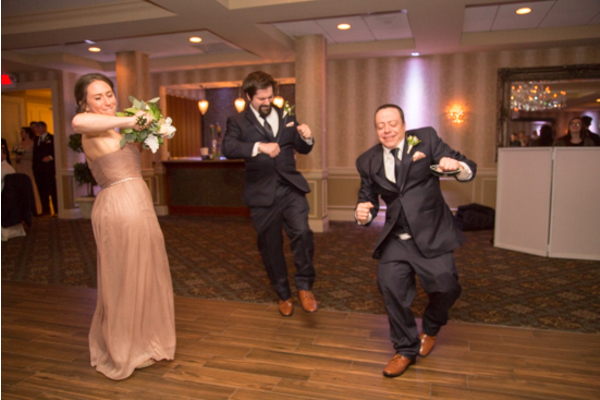 Congratulations, again, to Ali and Sean. 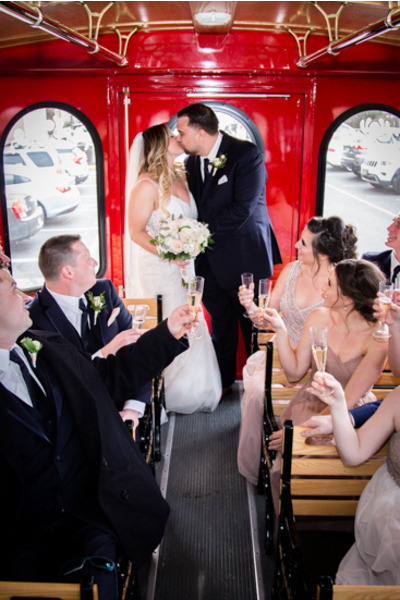 We hope the rest of your days are as special together as this one looked!